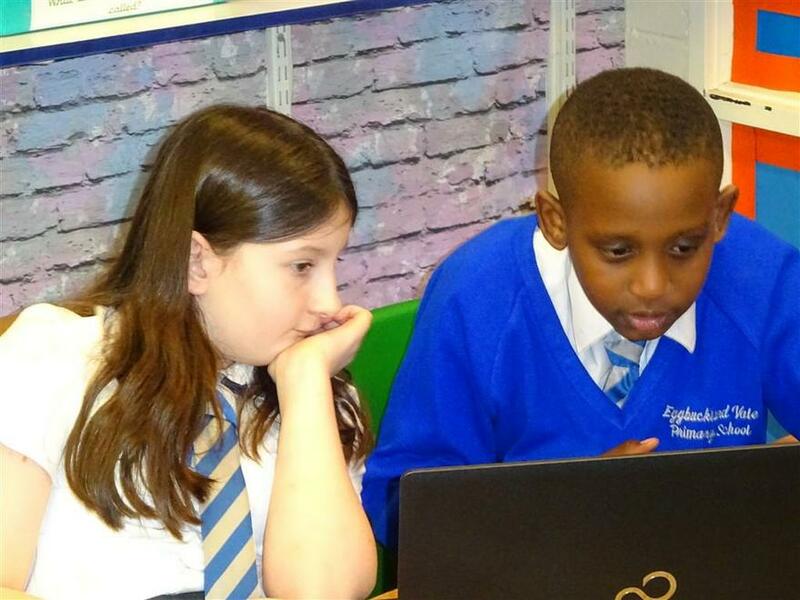 The topics that the Year 5 pupils will be covering during the first half of the Summer Term (Term 5) can be seen below. 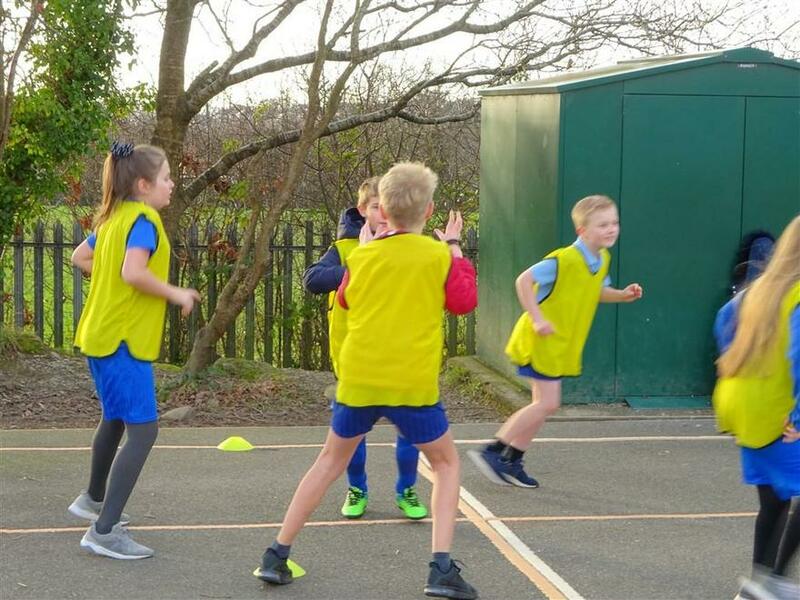 The pace plan for Year 5 for this half term can be seen below. 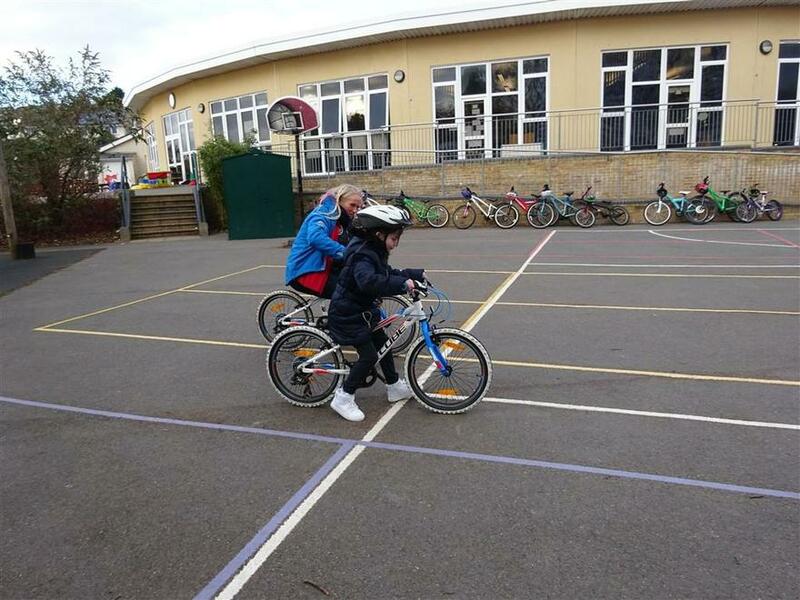 Each pace plan tracks when particular areas of learning will be in focus across a term. 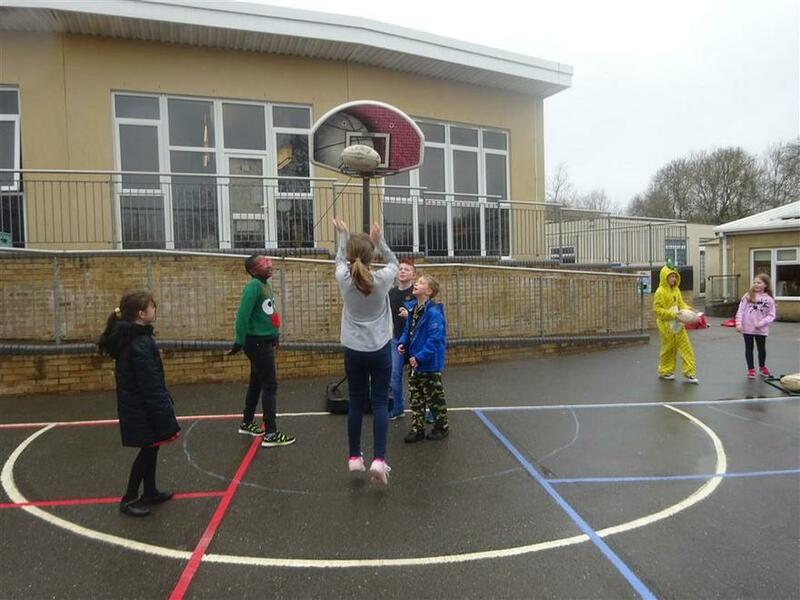 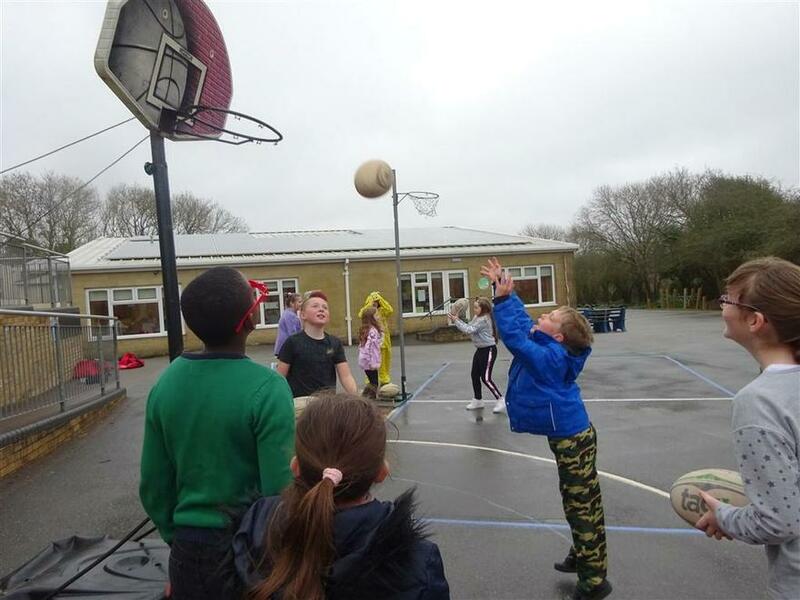 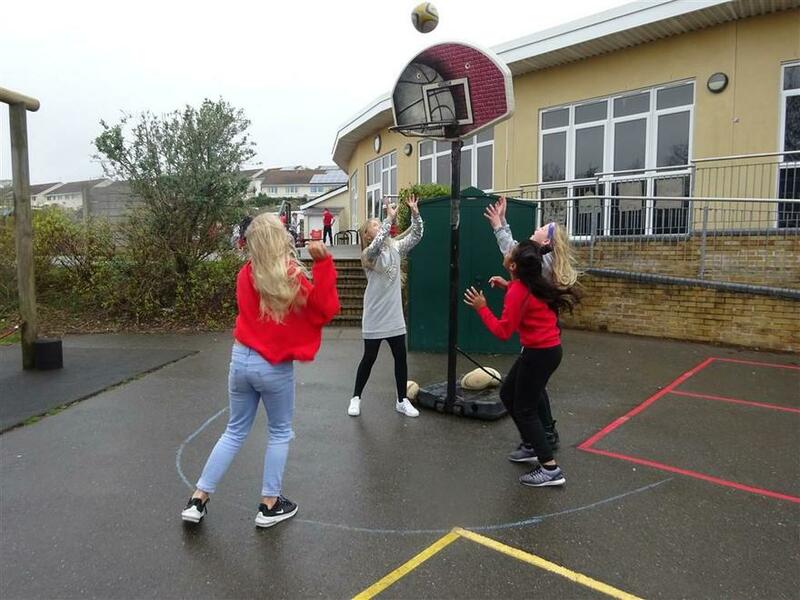 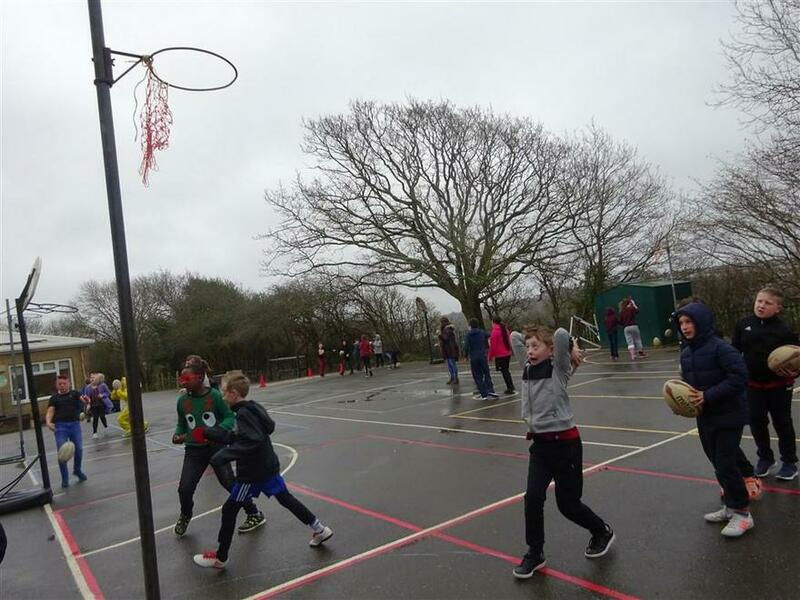 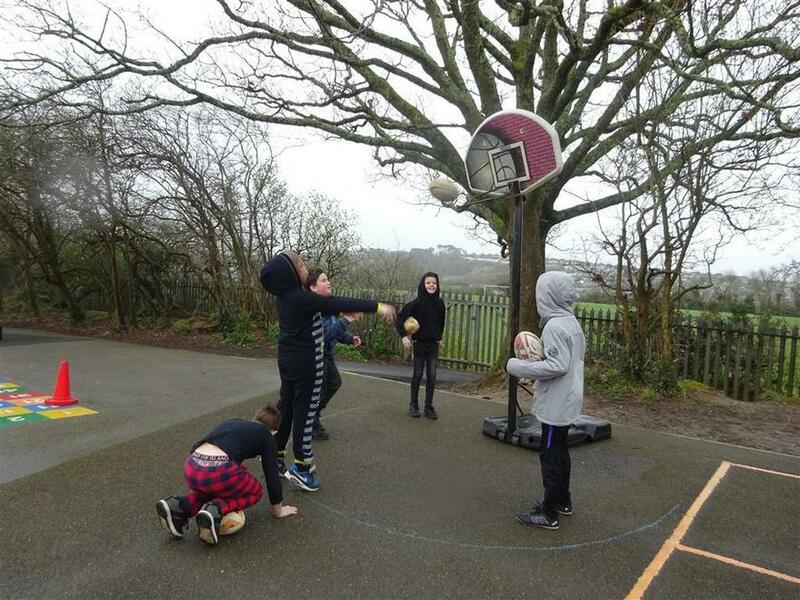 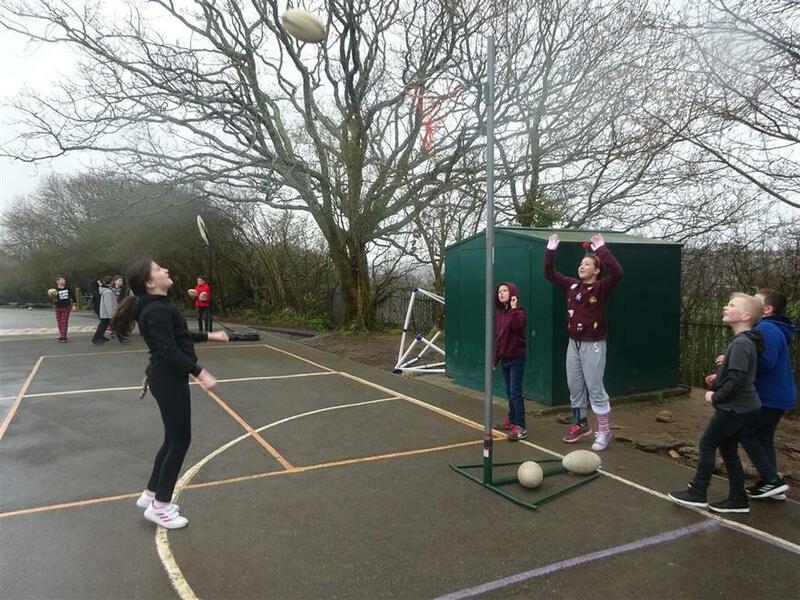 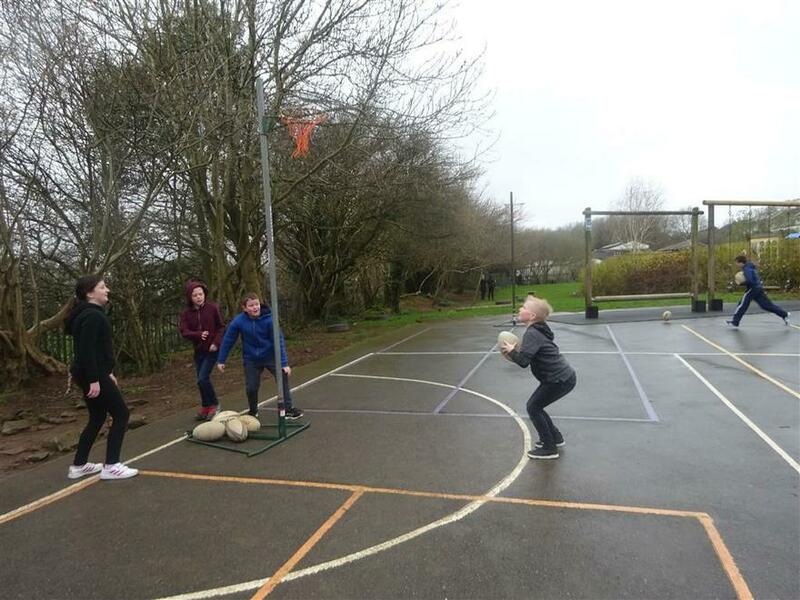 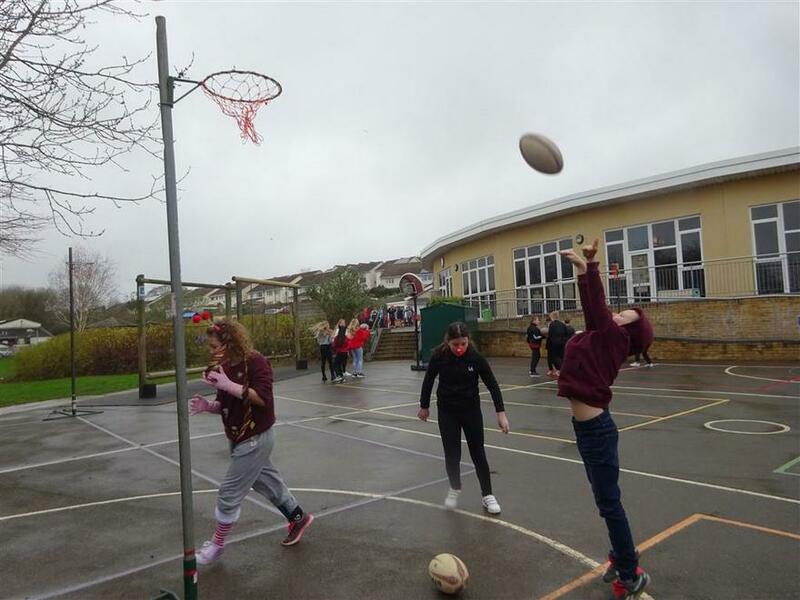 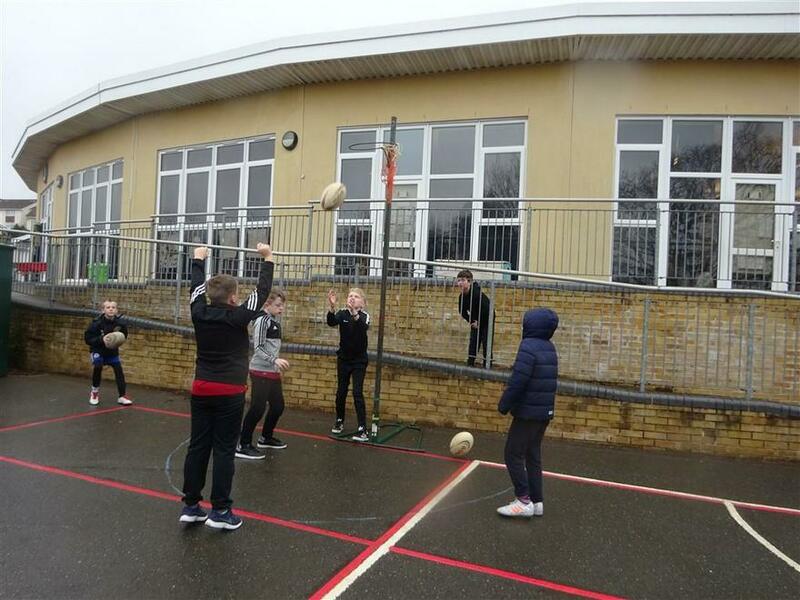 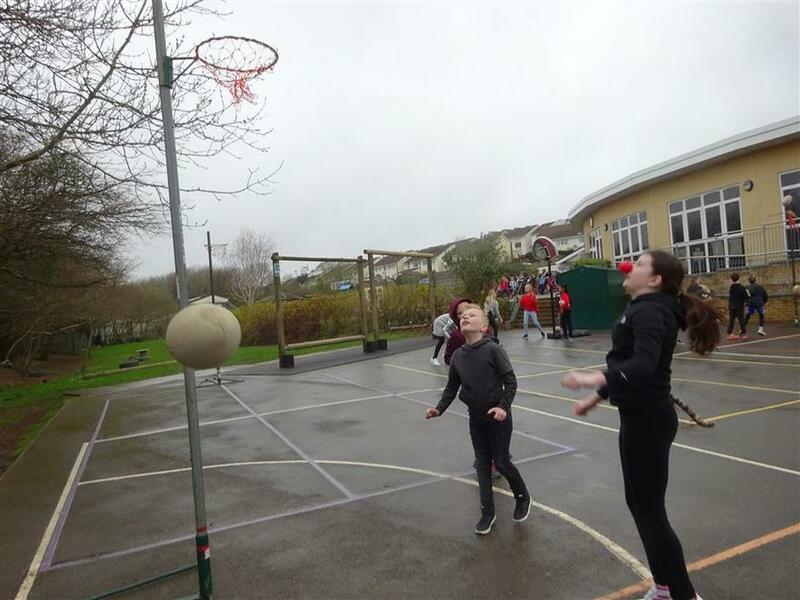 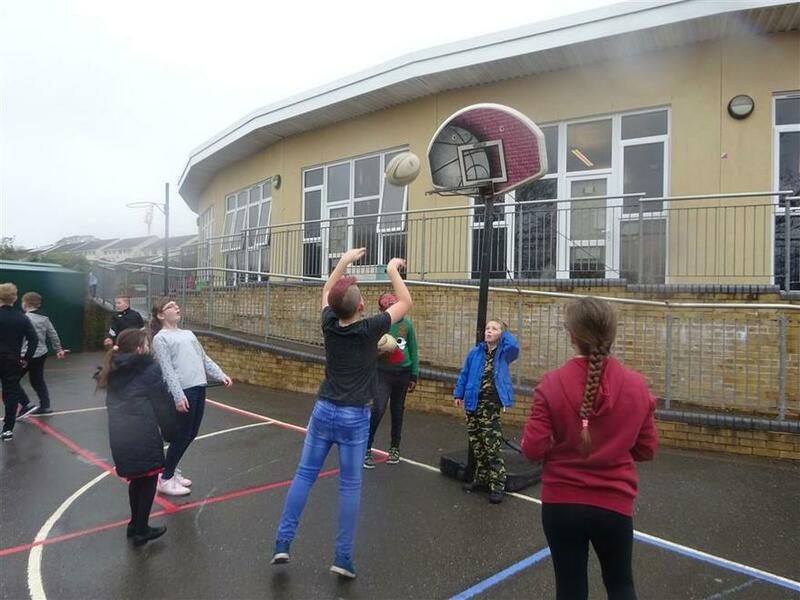 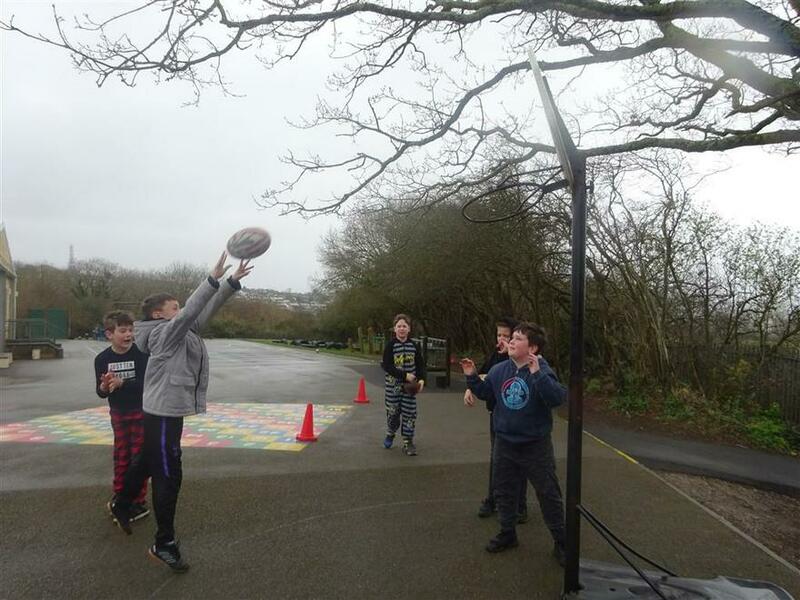 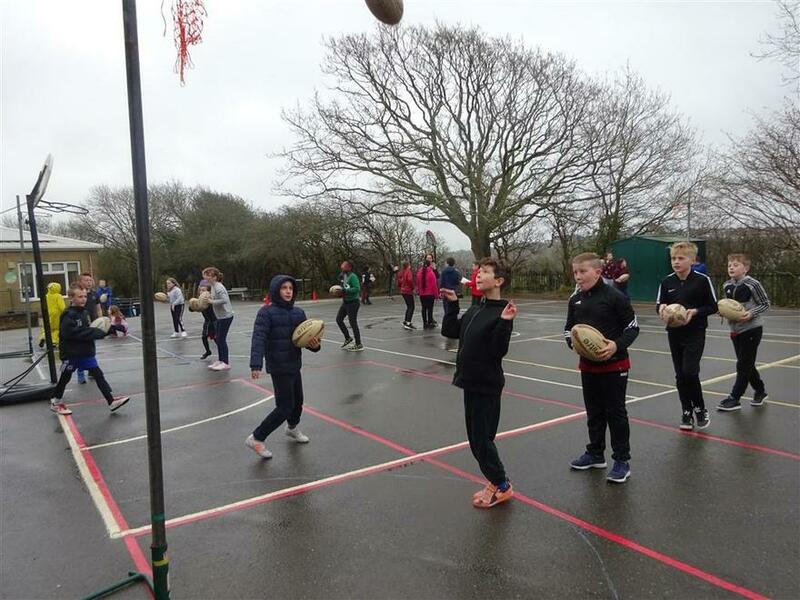 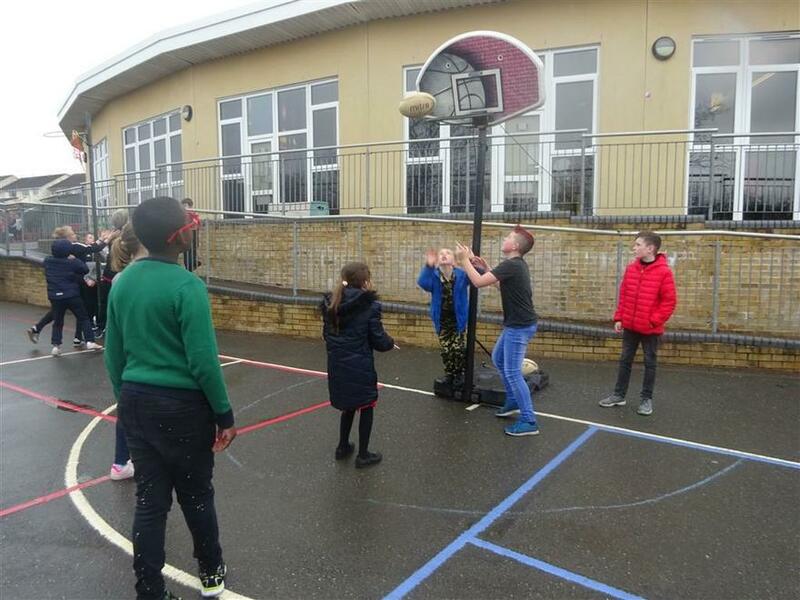 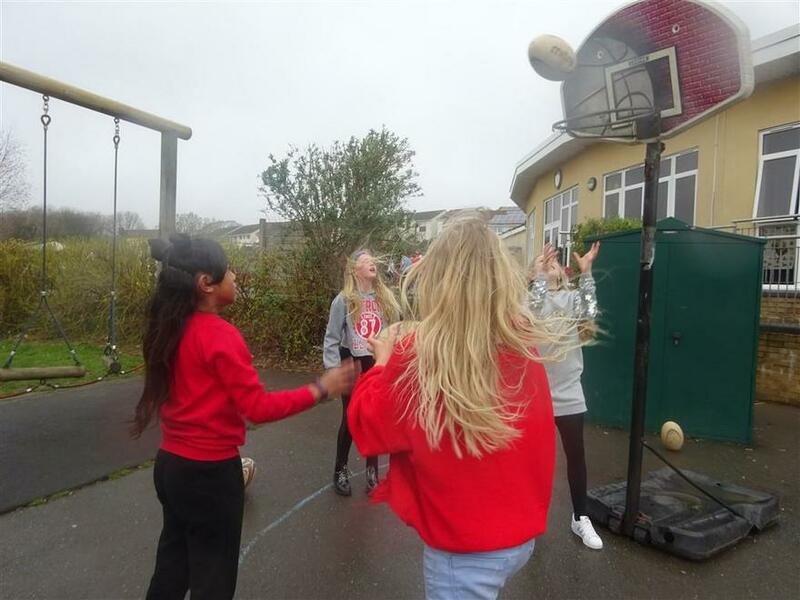 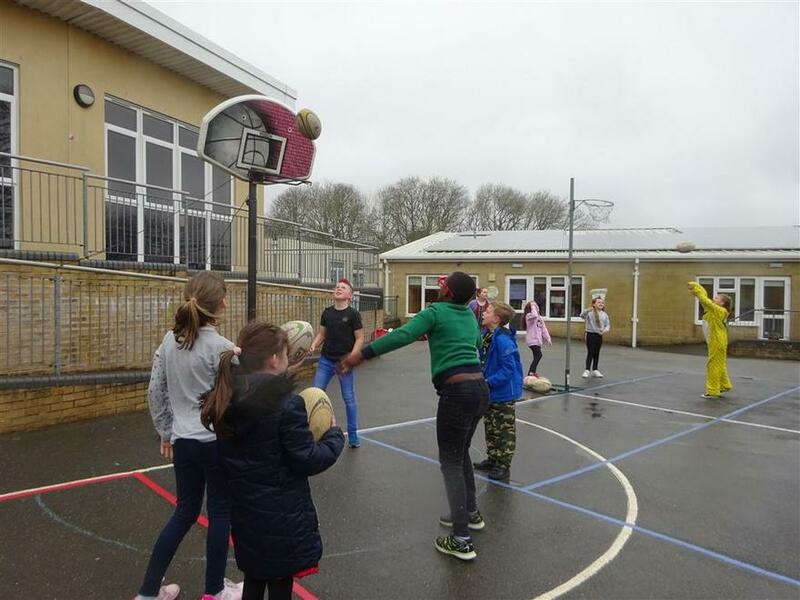 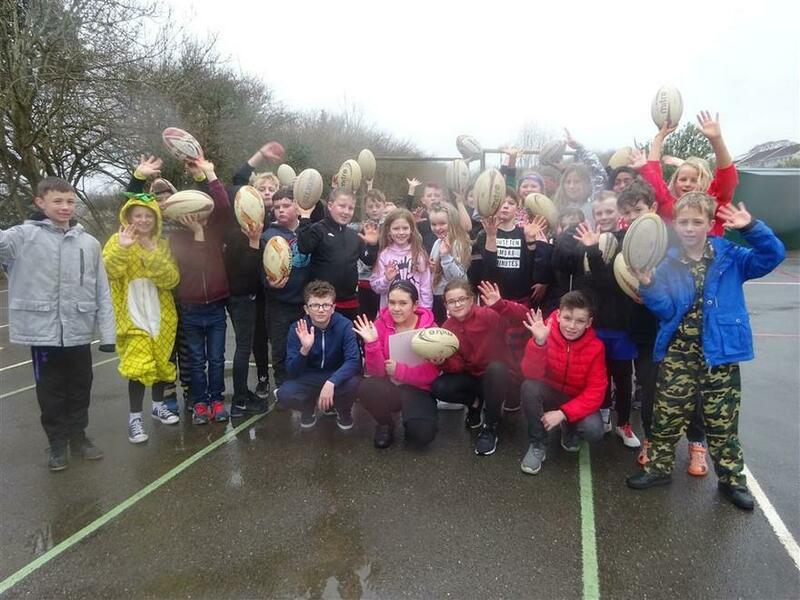 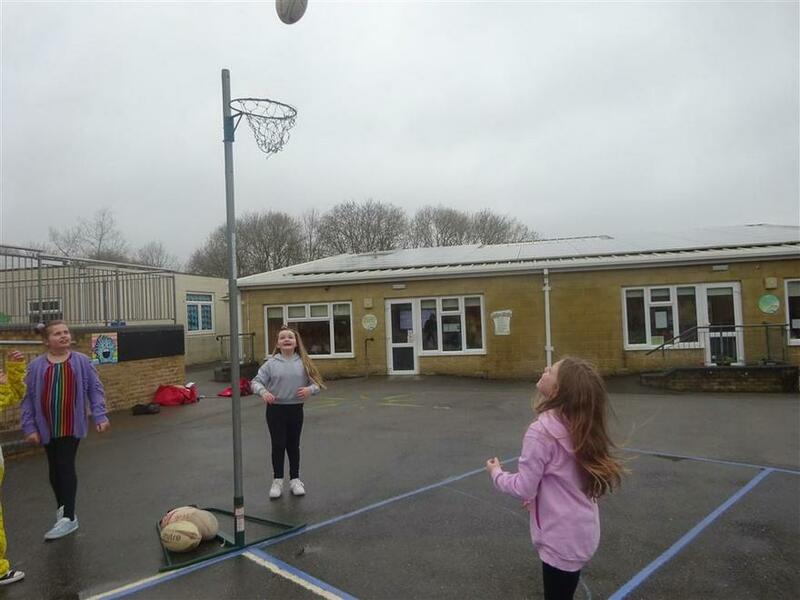 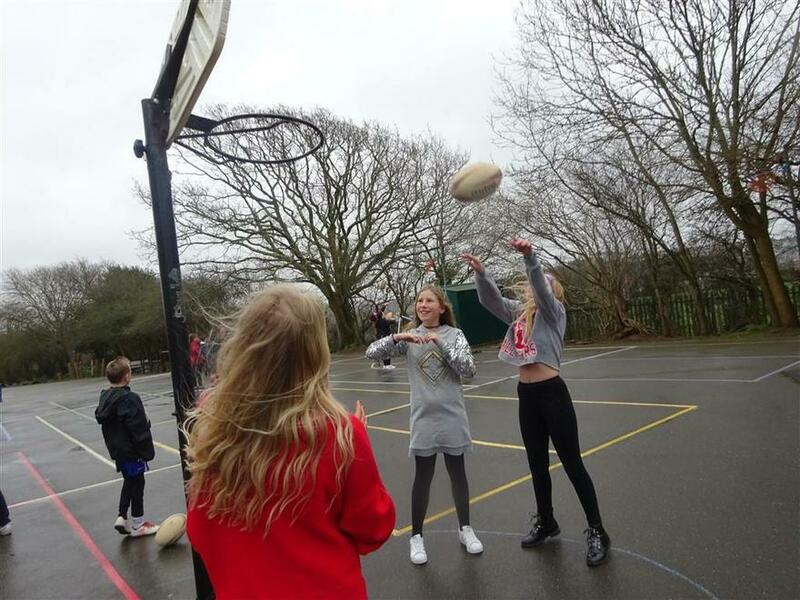 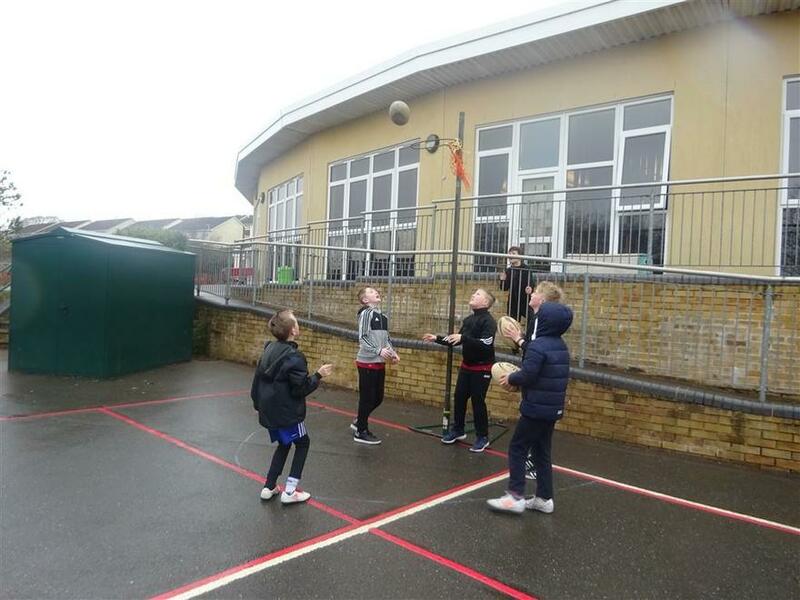 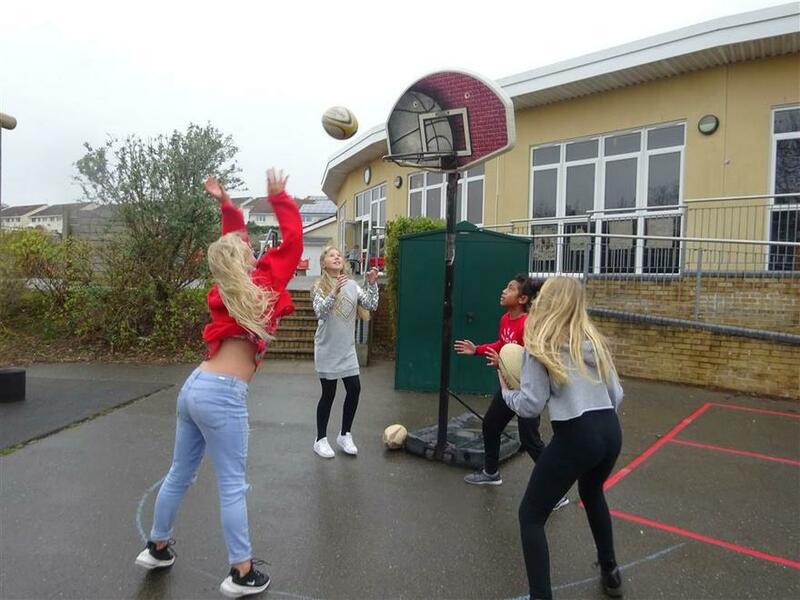 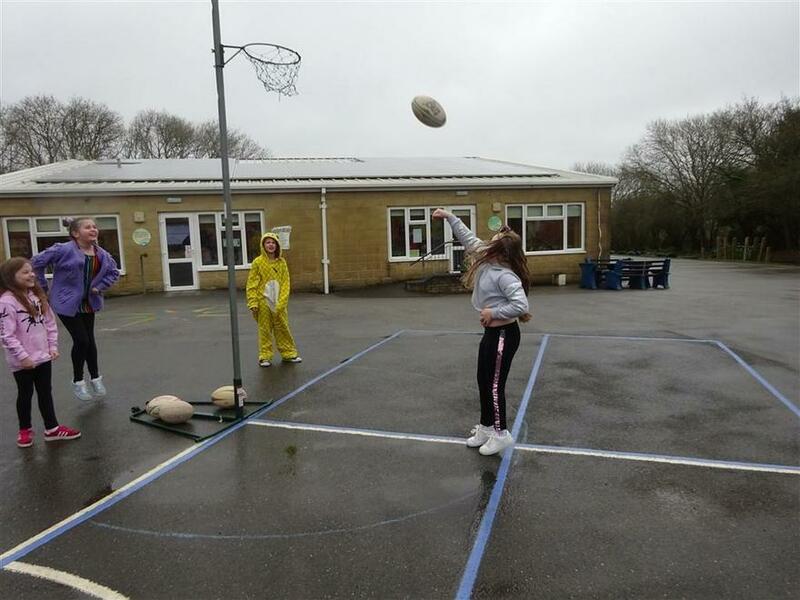 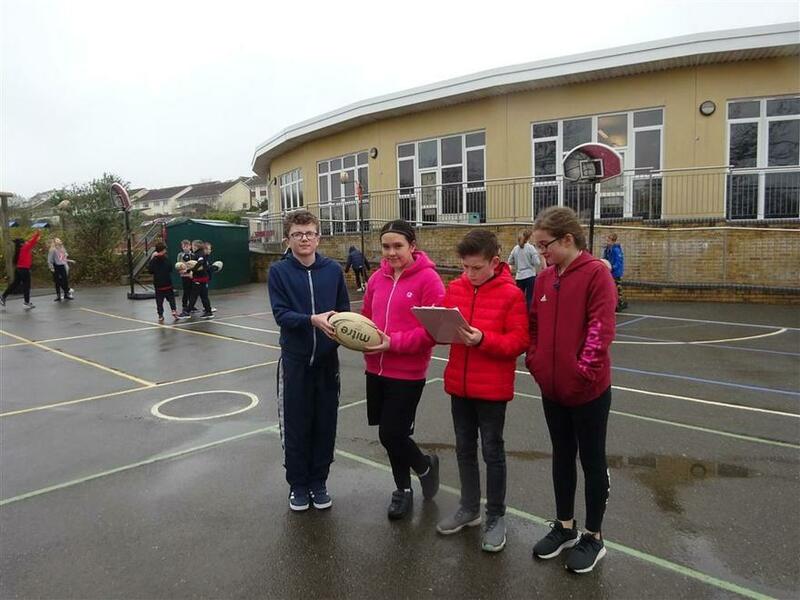 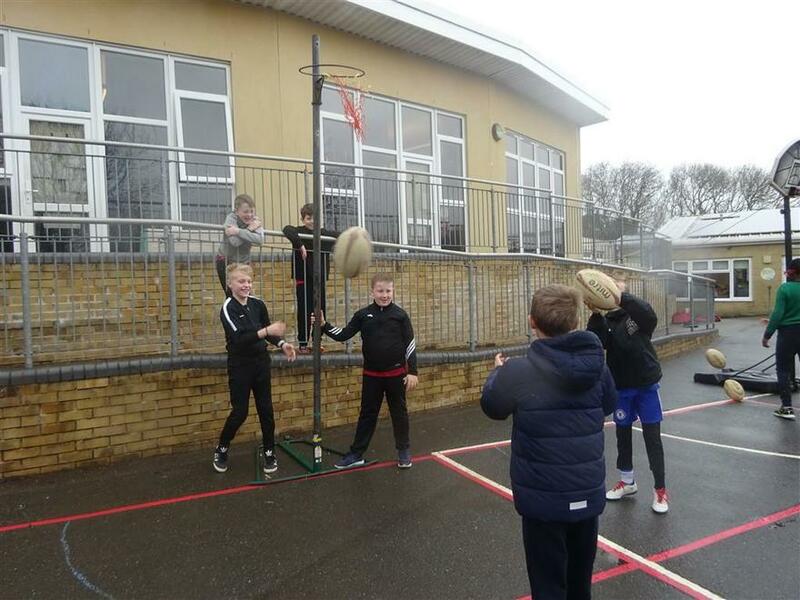 Our Comic Relief Personal Challenge was to score as many nets as we could taking shots using rugby balls instead of netballs or basketballs. 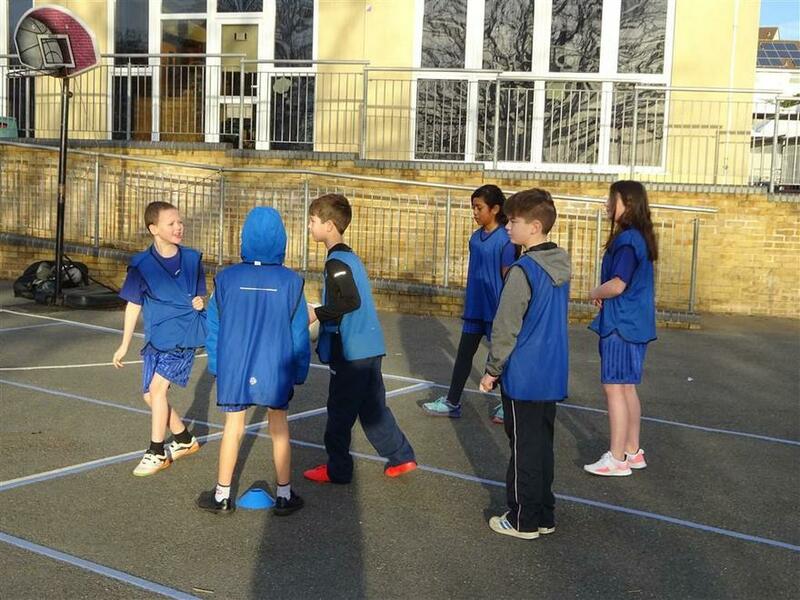 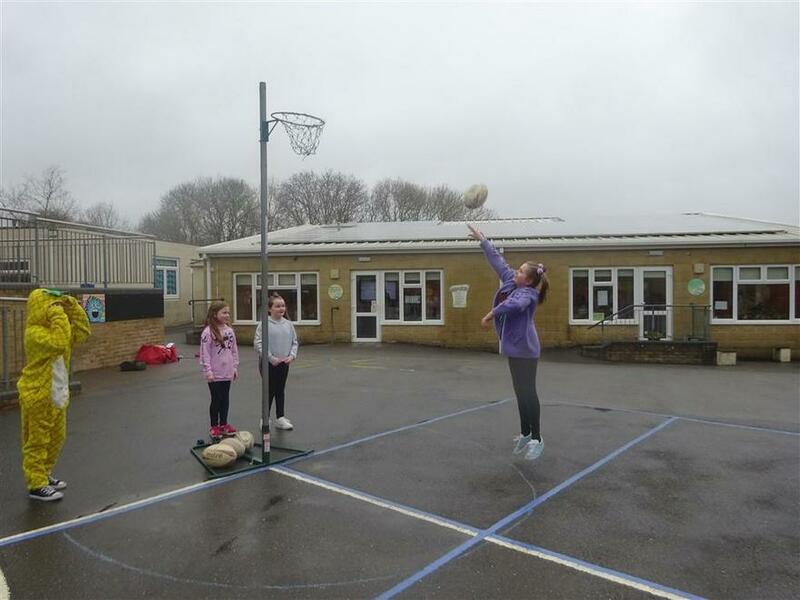 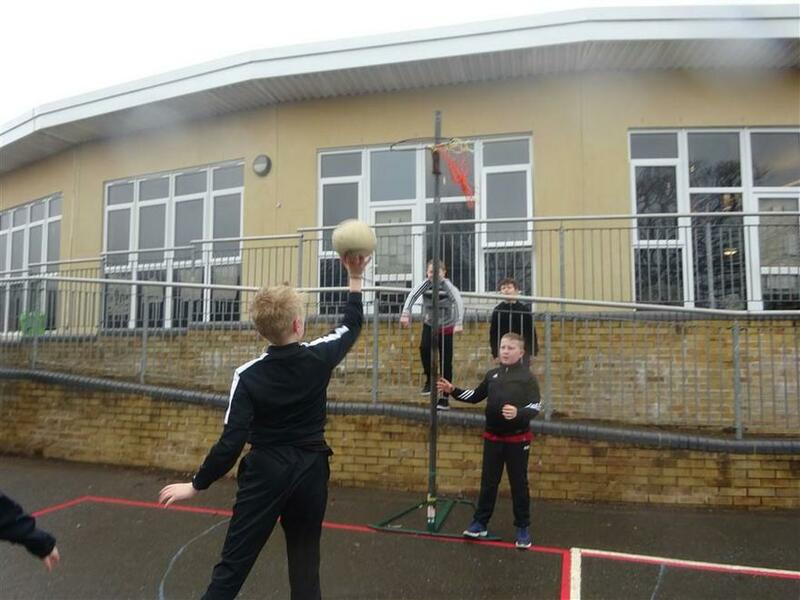 We nearly all improved our scores during the week as we adapted our shooting styles. 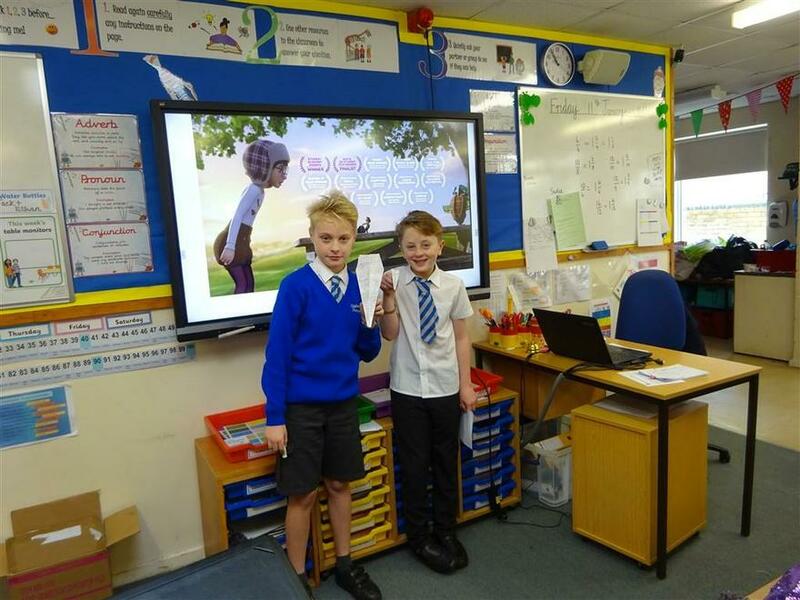 Look at how successful we were! 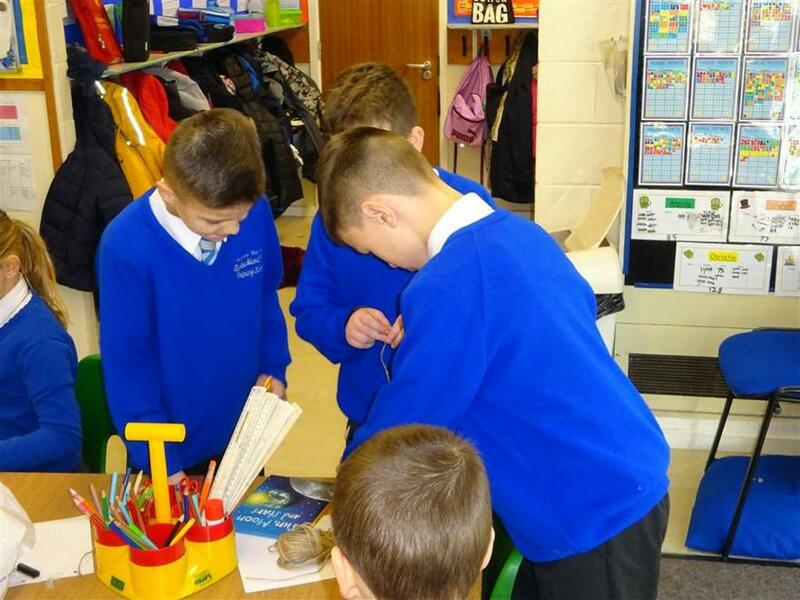 We kicked off the Spring term with our whole school Curiosity Week. 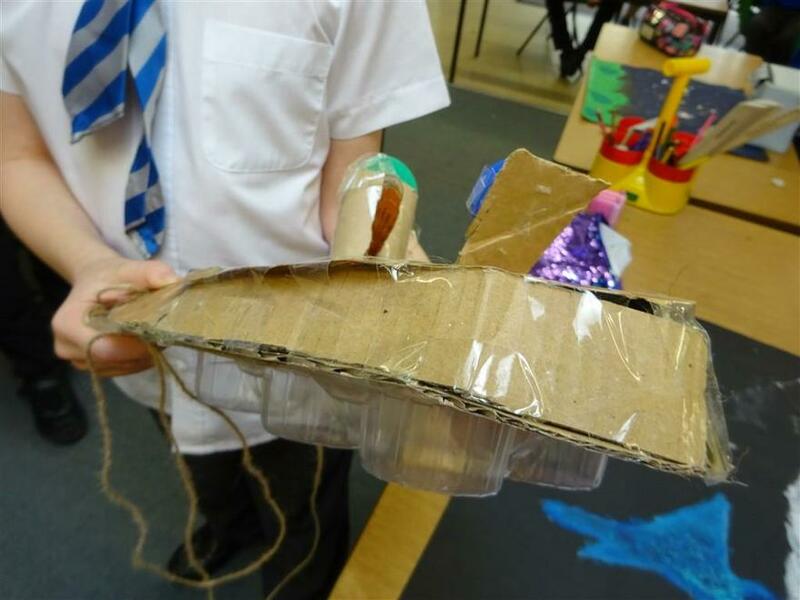 It was inspired by the short animated film, ‘Soar’ about Mara a budding aircraft designer and how she helped her miniature flying companion Lucas. 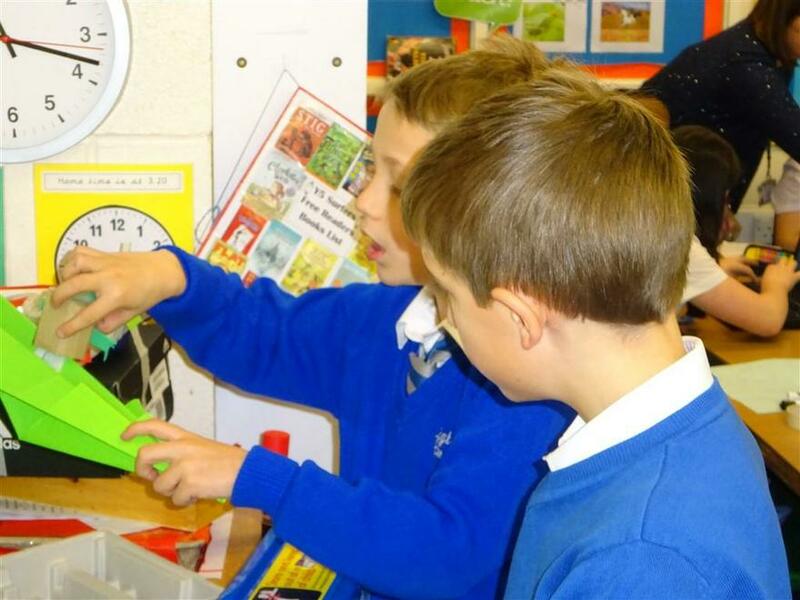 The children chose three of the TSL jigsaw pieces to guide their self-directed learning for the week. 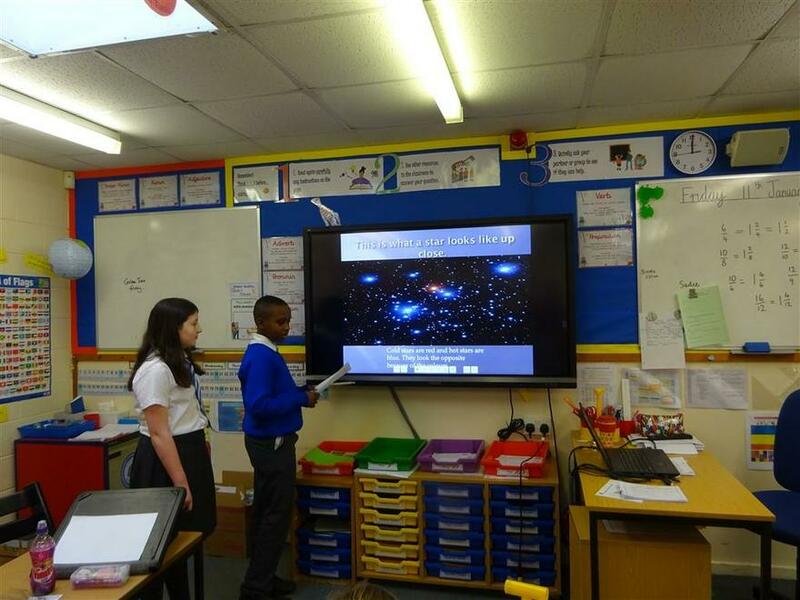 The week culminated in them presenting their learning to their classmates. 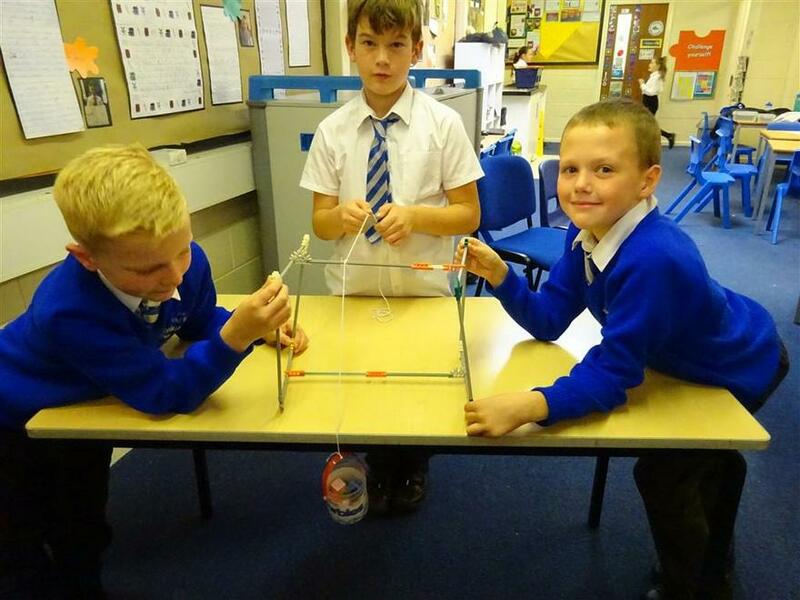 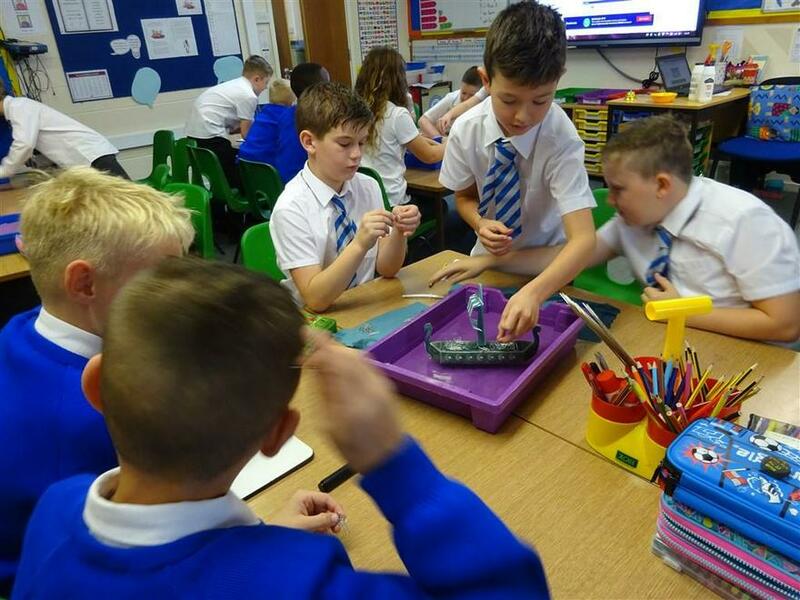 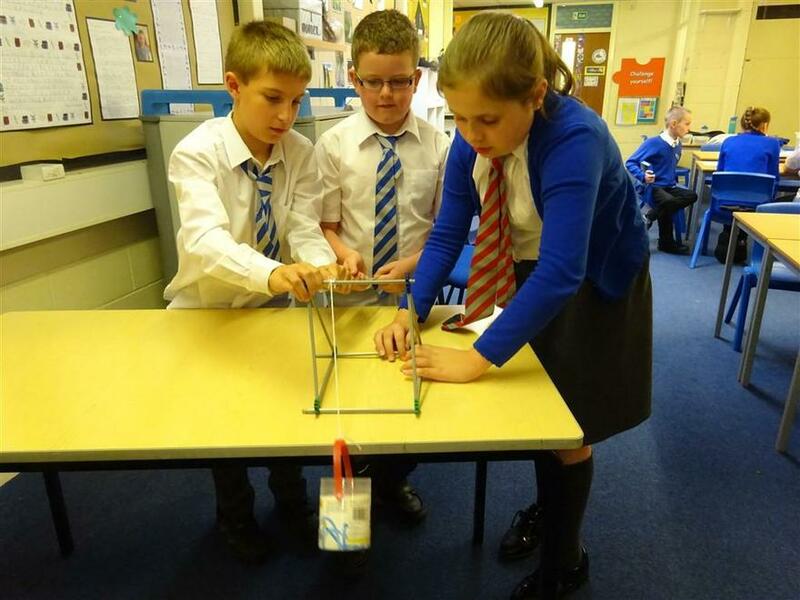 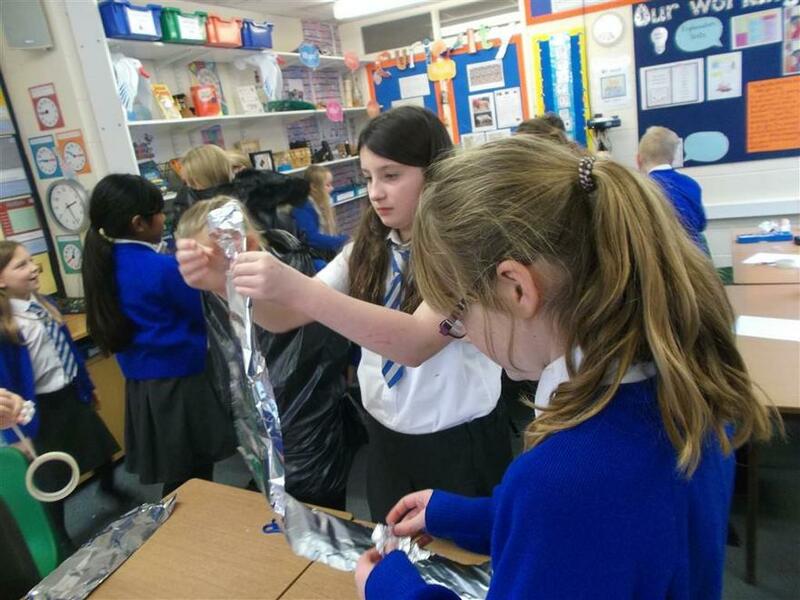 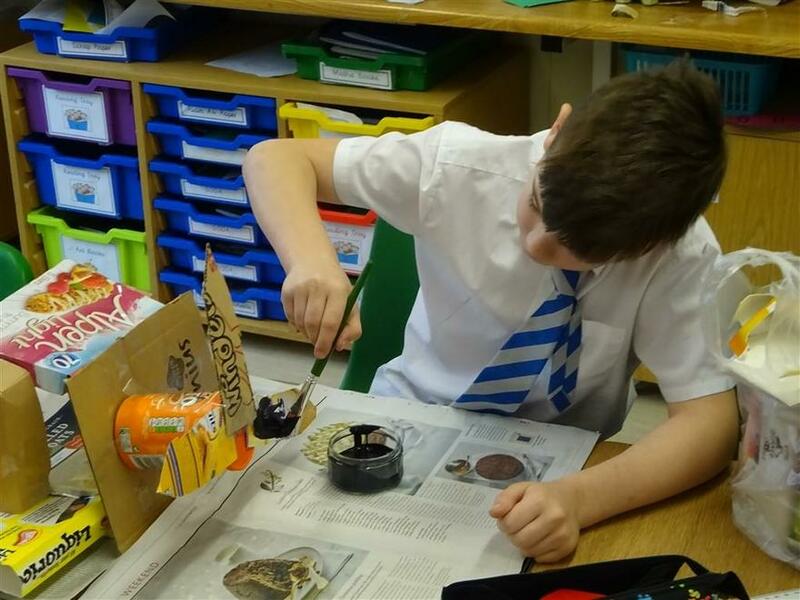 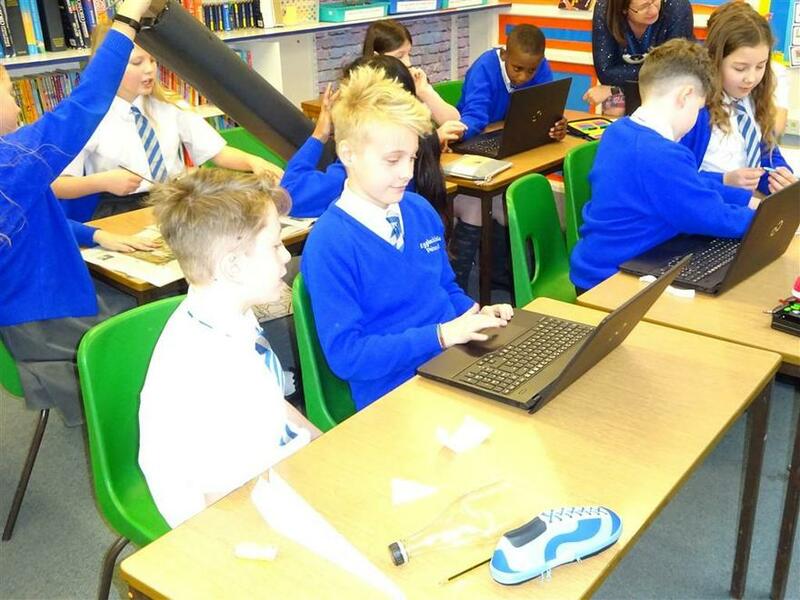 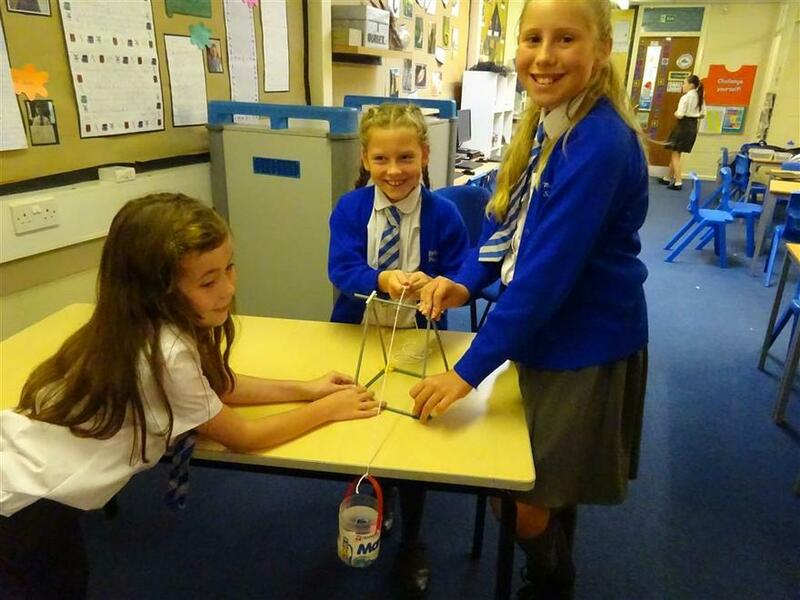 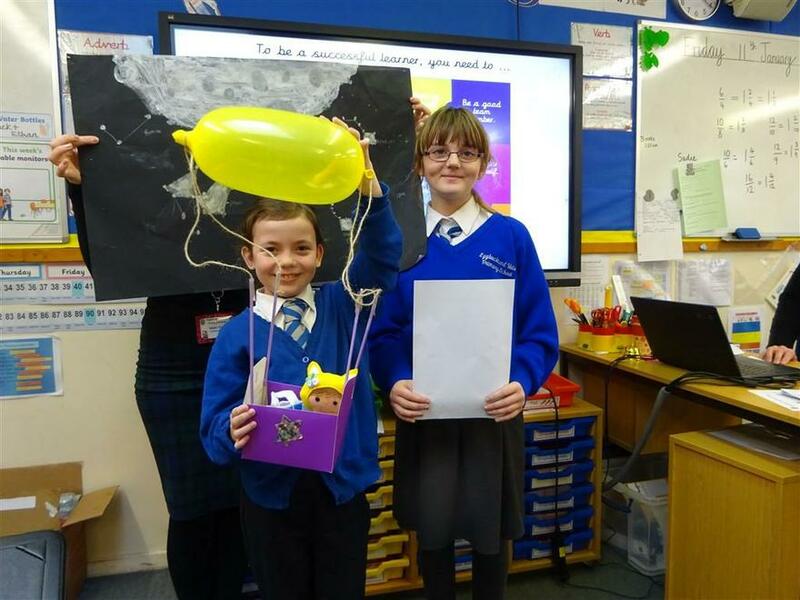 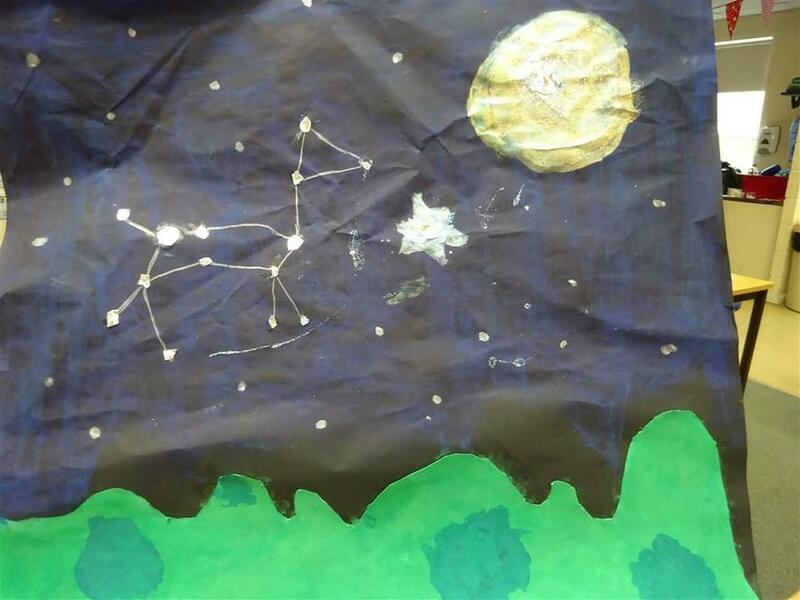 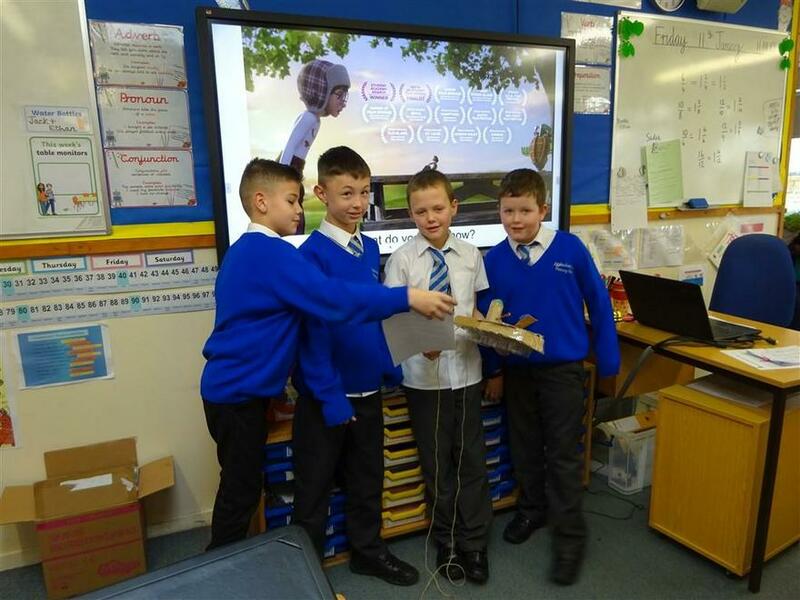 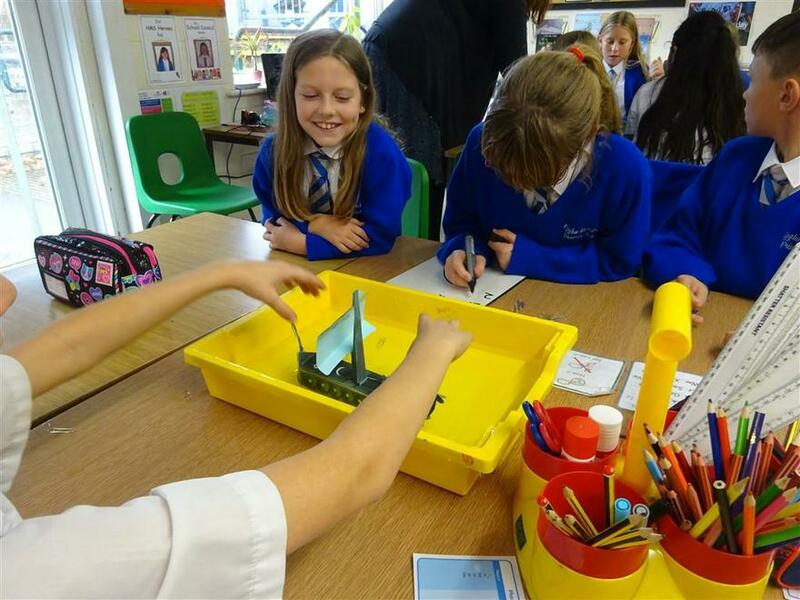 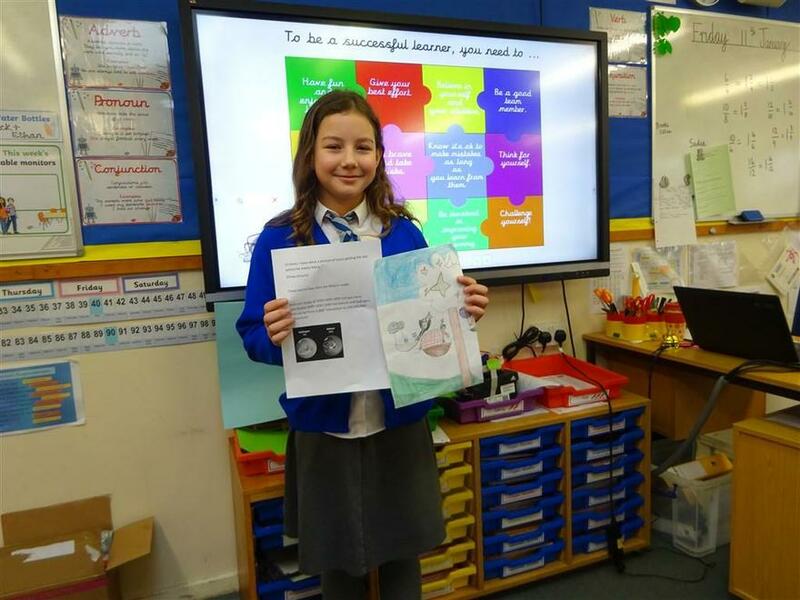 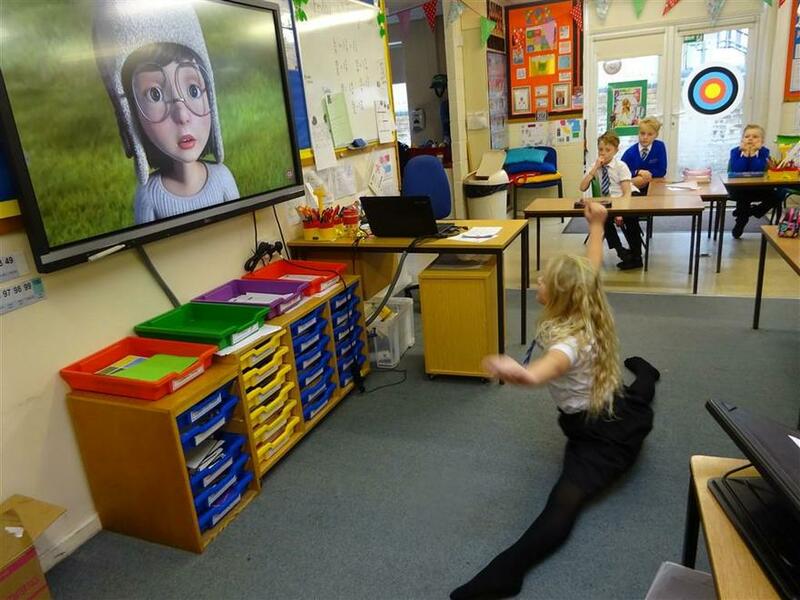 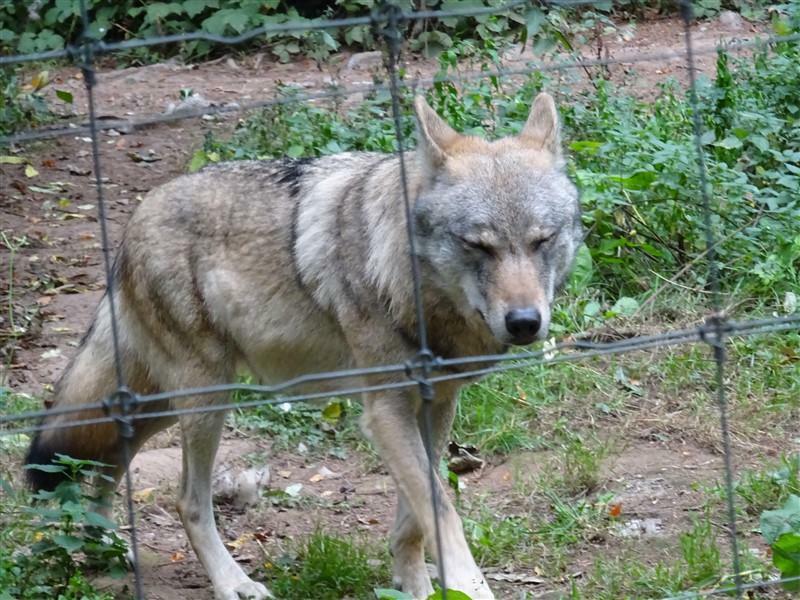 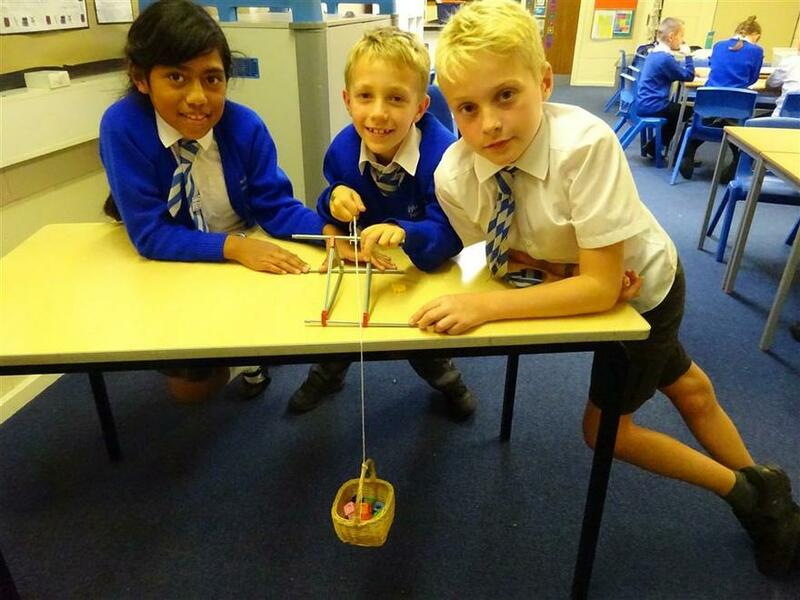 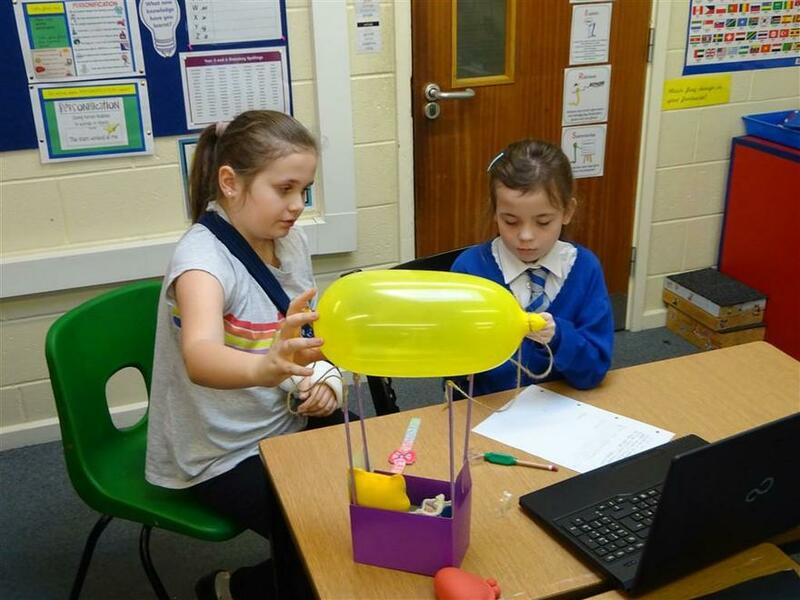 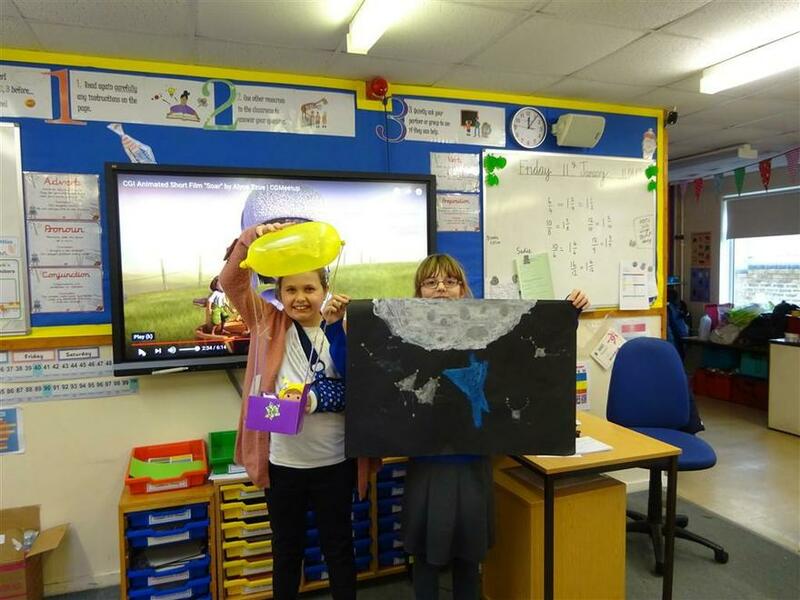 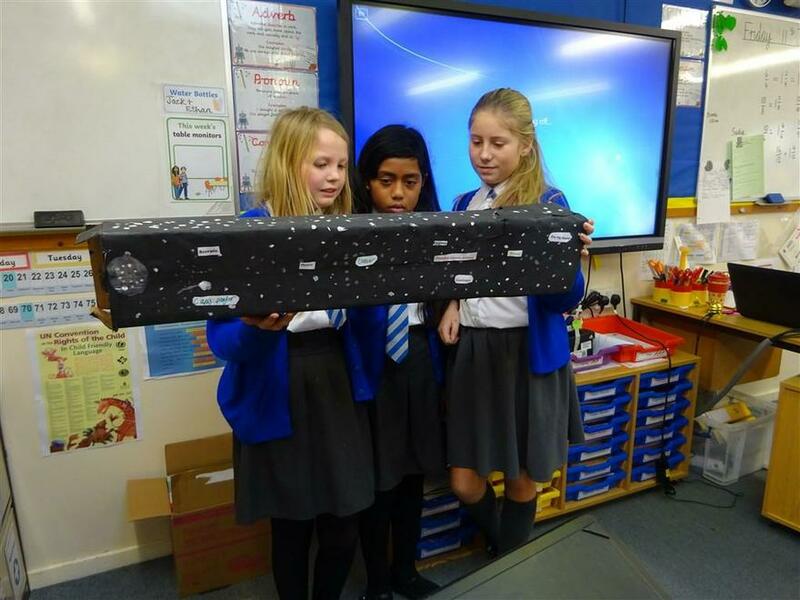 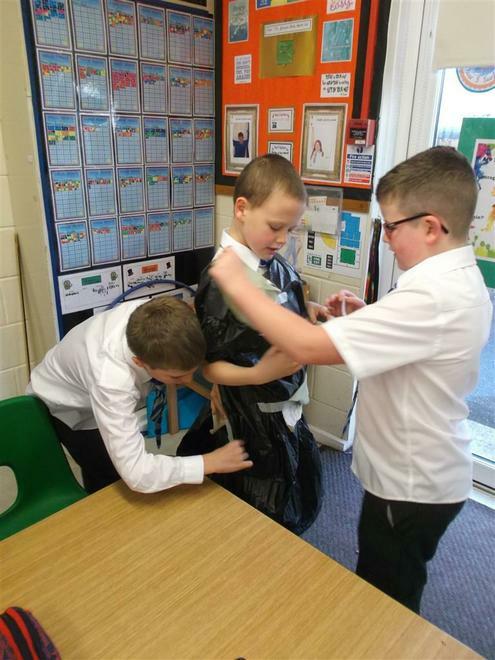 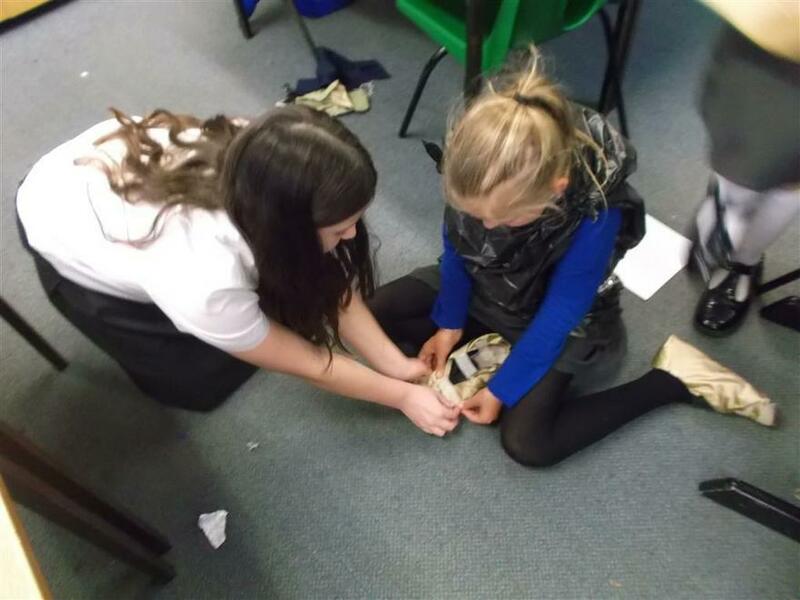 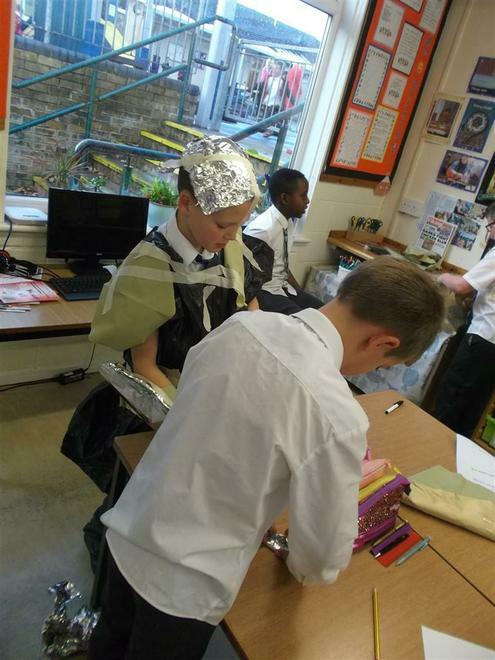 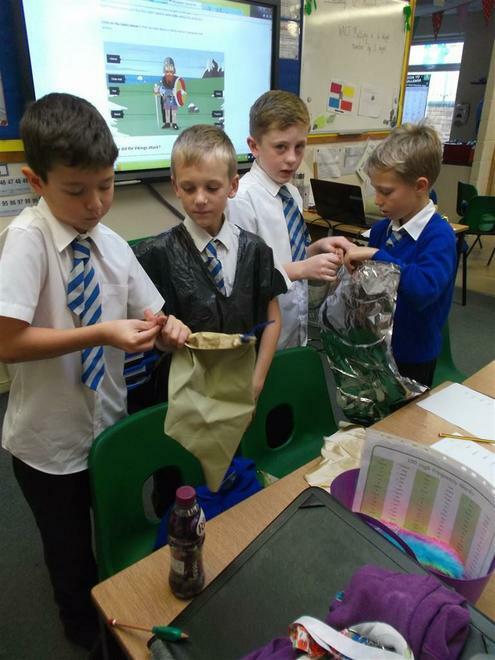 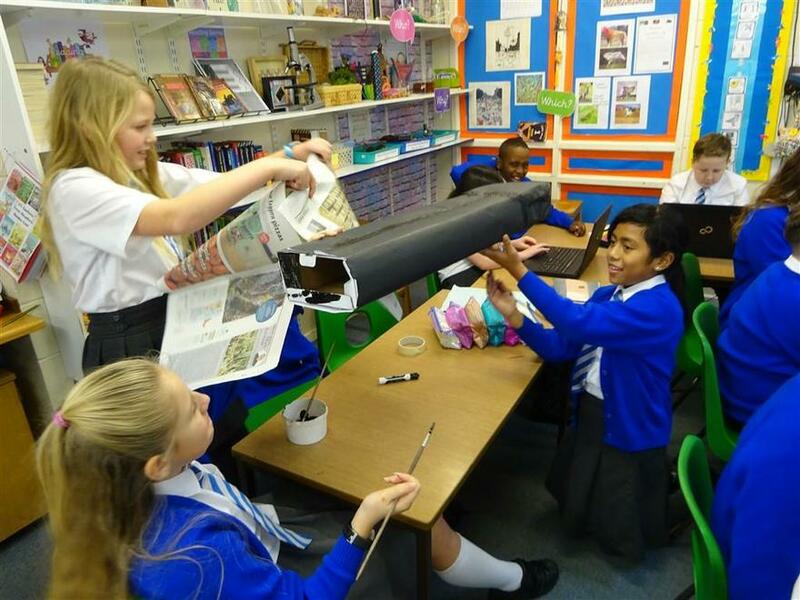 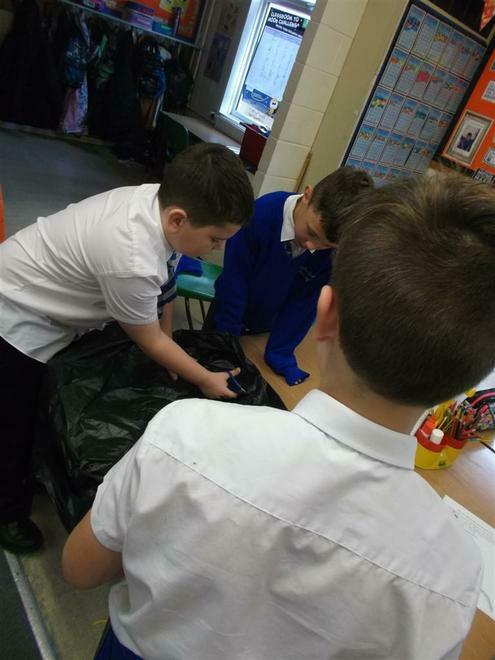 Look at the photos of Year 5’s Curiosity Week. 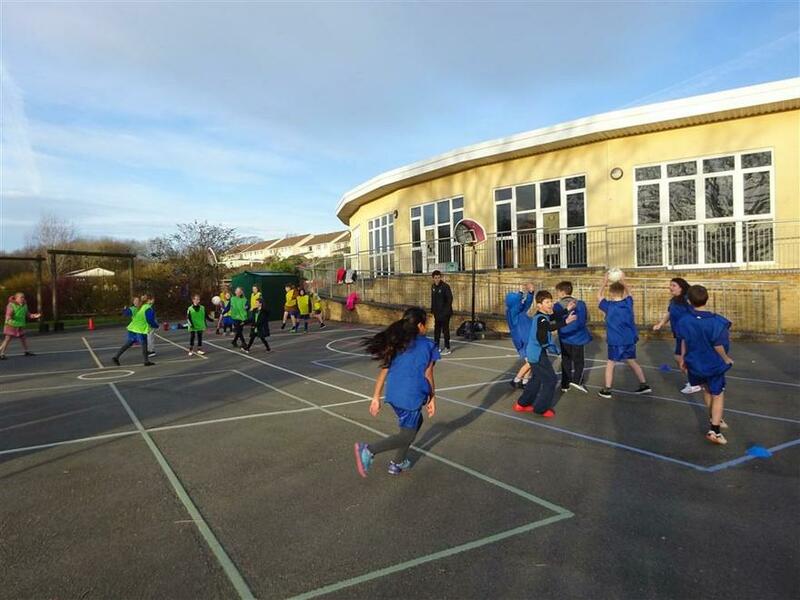 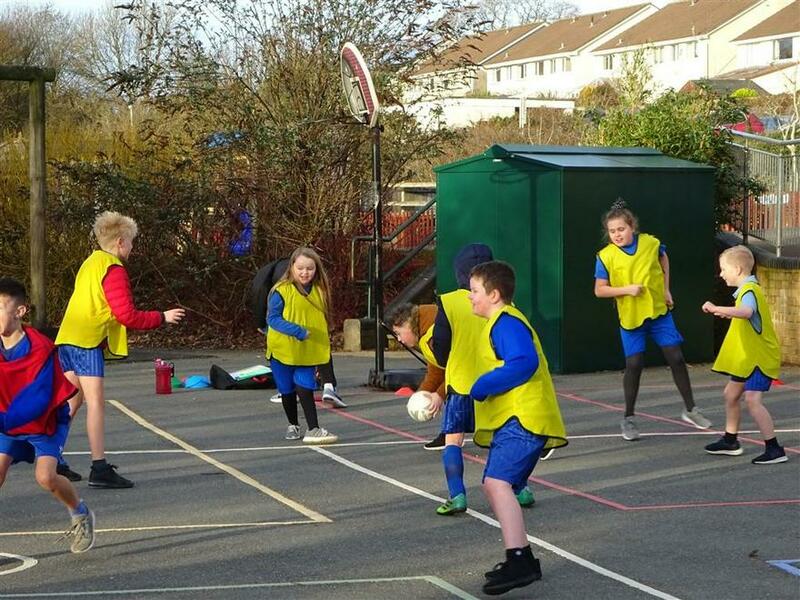 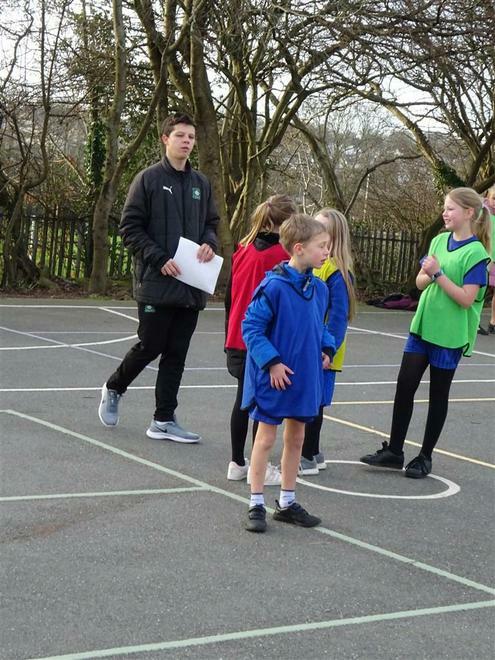 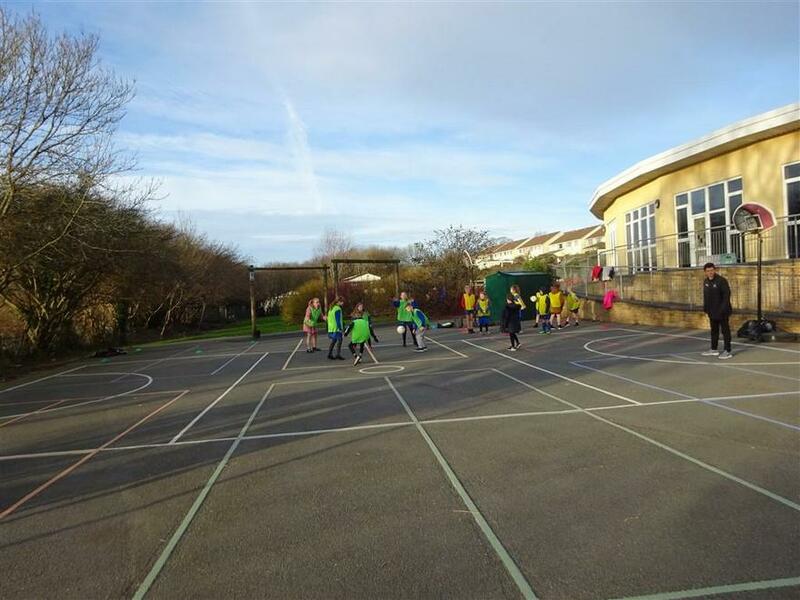 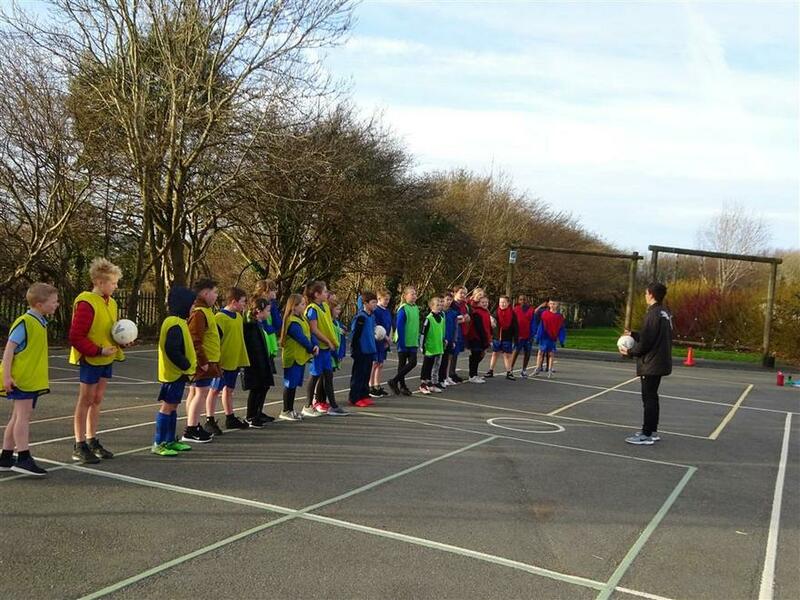 Year 5 have an exciting opportunity this term with Mr Guppy from Plymouth Argyle coming in each Tuesday to deliver a 6 week Premier League, Primary Stars Programme. 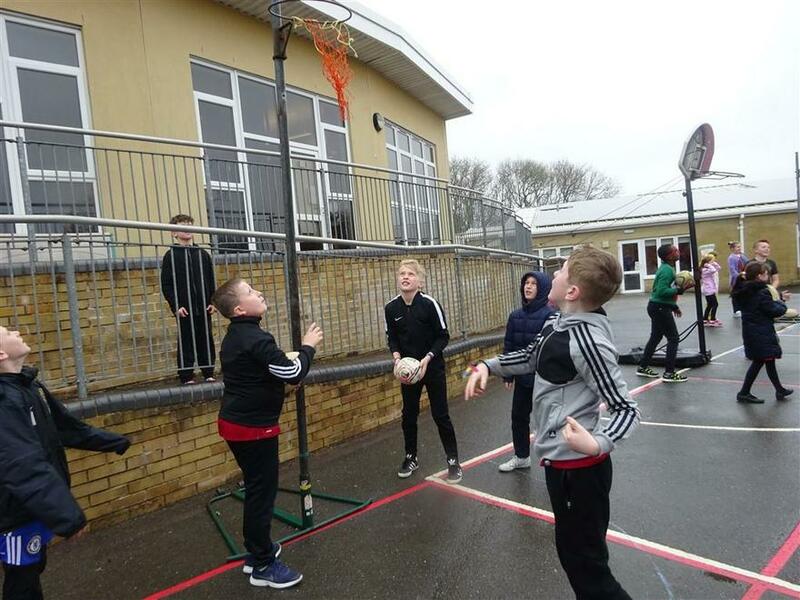 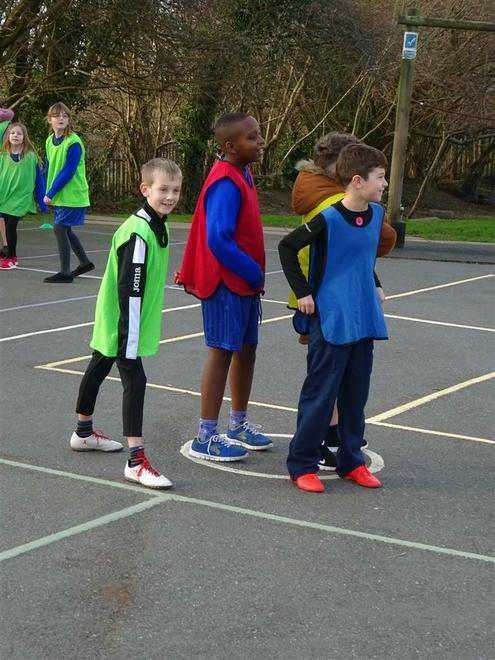 The programme aims to develop skills and ambition both on and off the sports field with resources for children up to 11 years old. 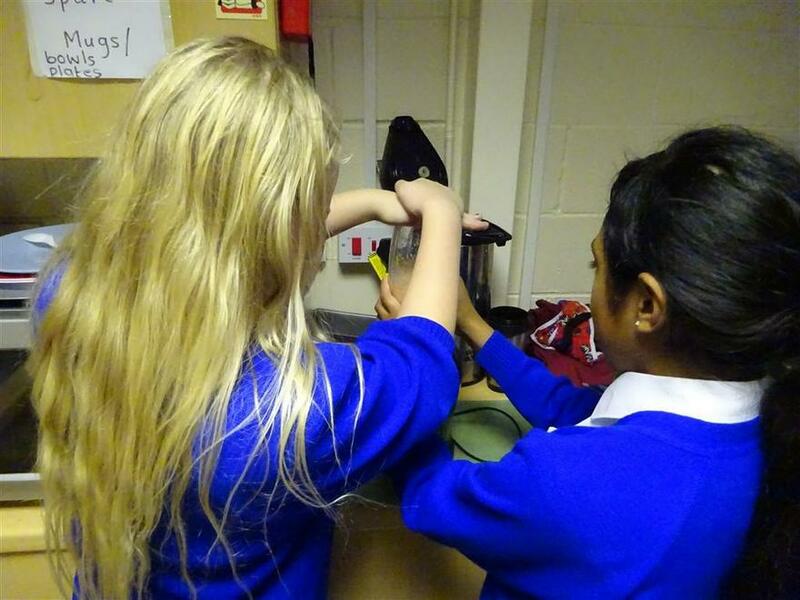 Yesterday the children learnt about the four key skills we will be focusing on over the 6 weeks. 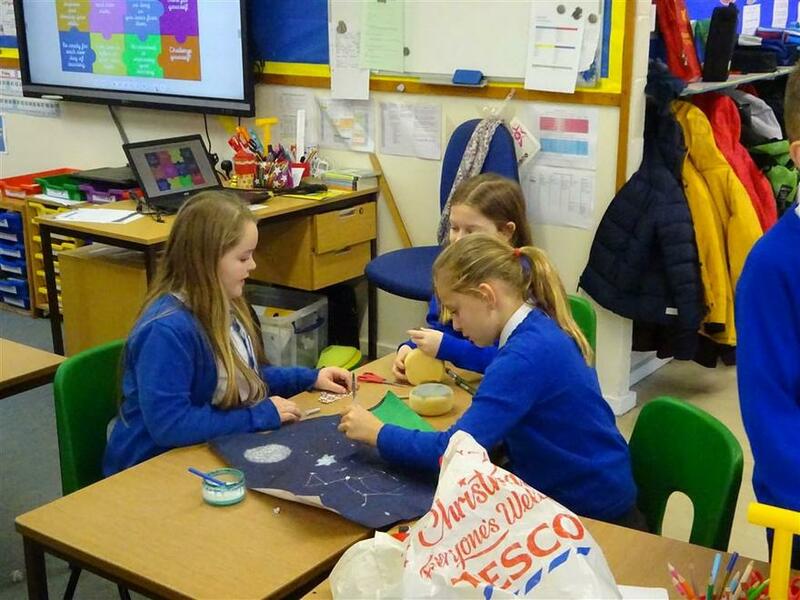 Be Ambitious, Work as a Team, Be Connected and Be Inspiring. 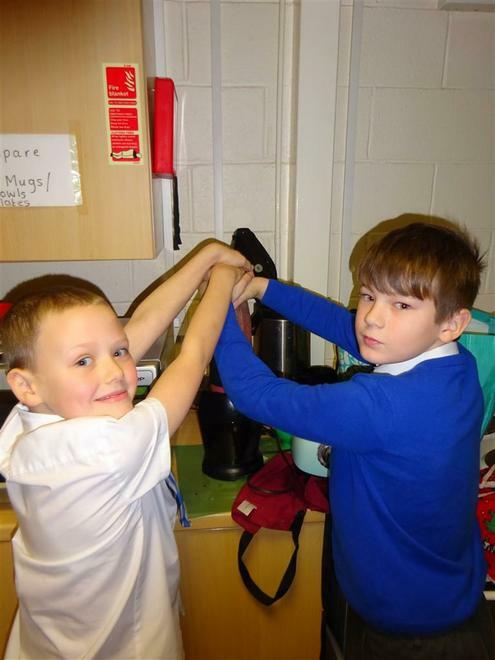 They had lots of fun and worked really hard. 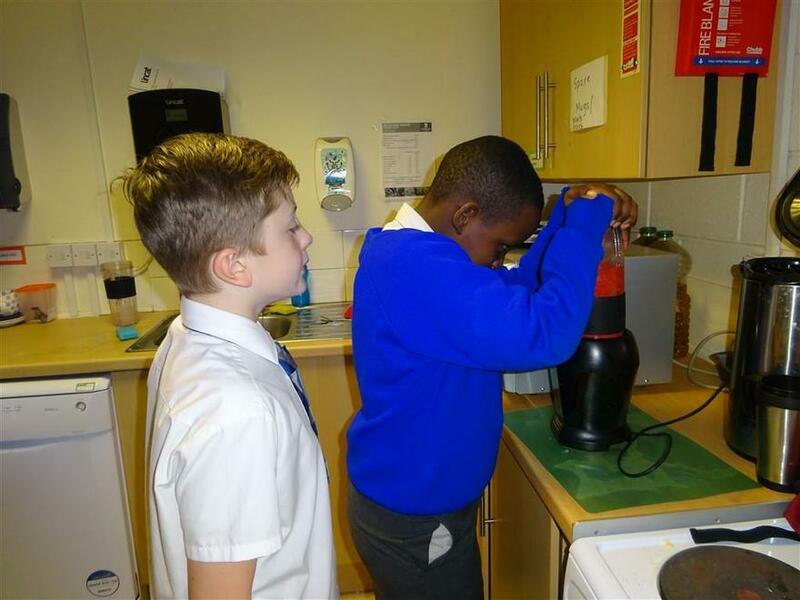 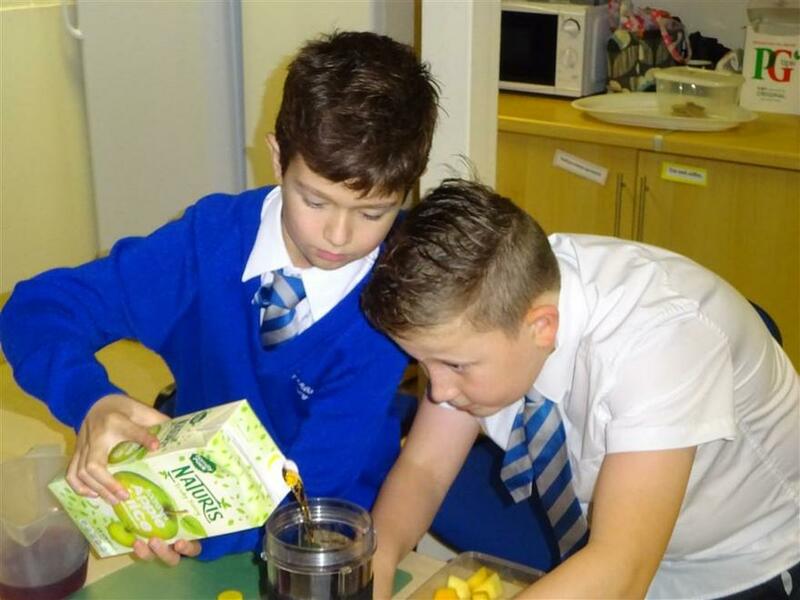 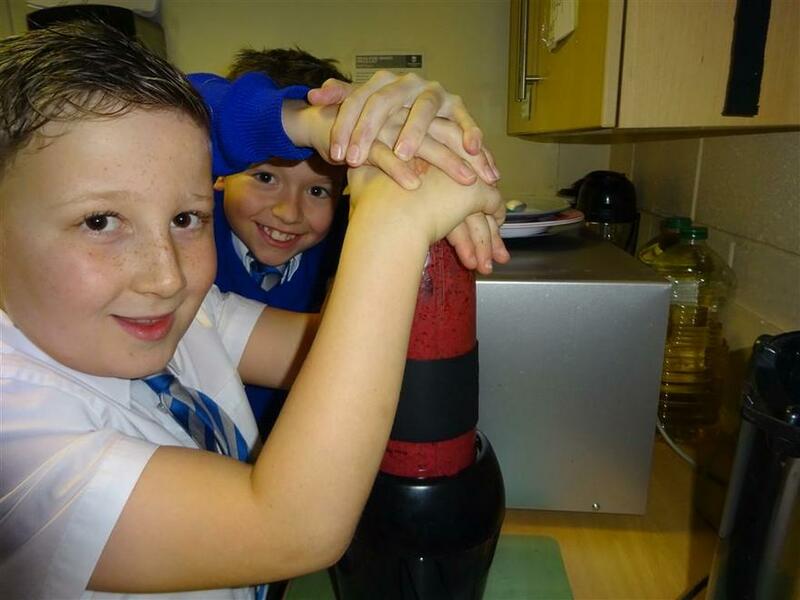 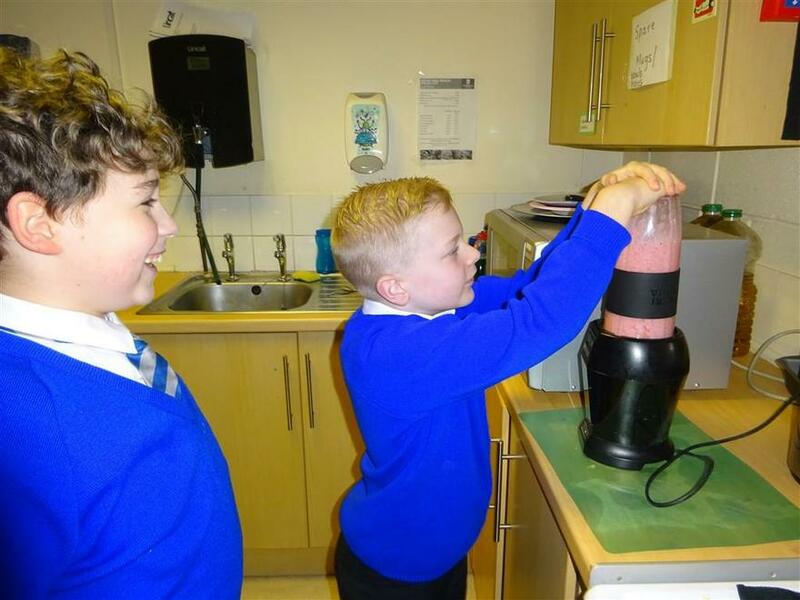 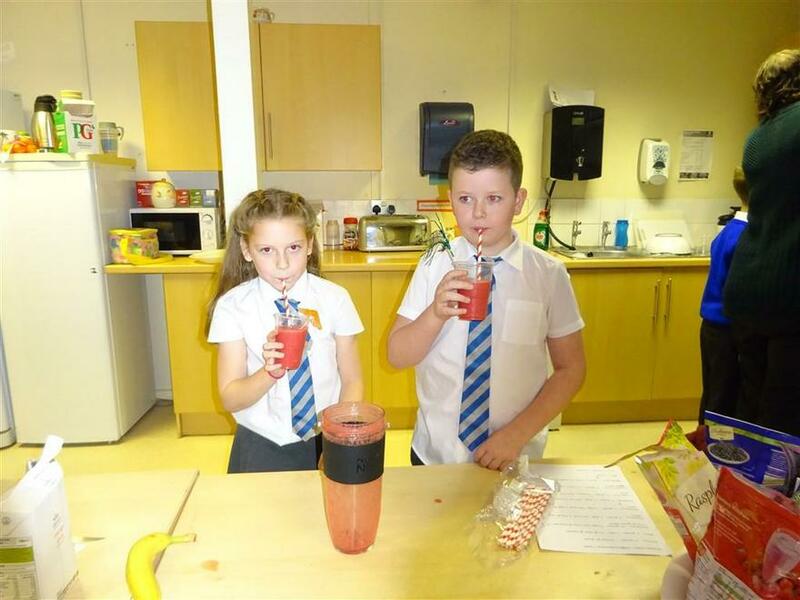 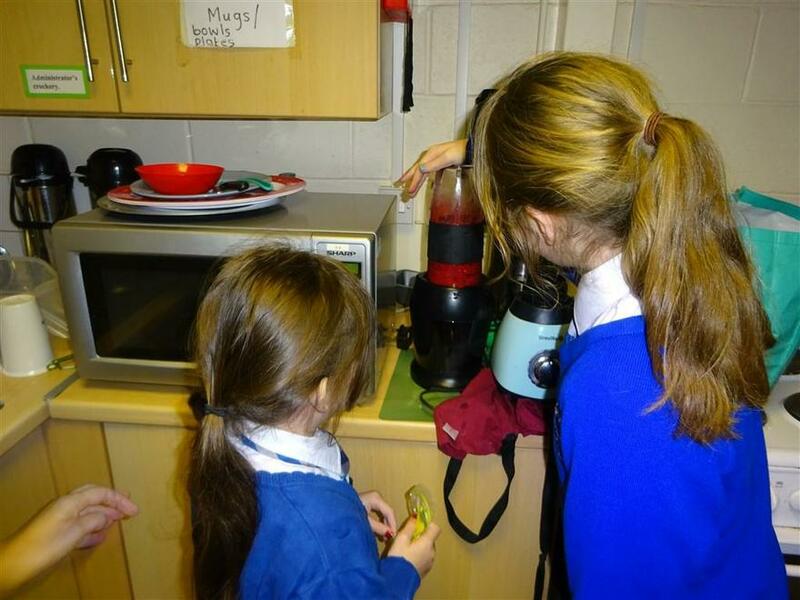 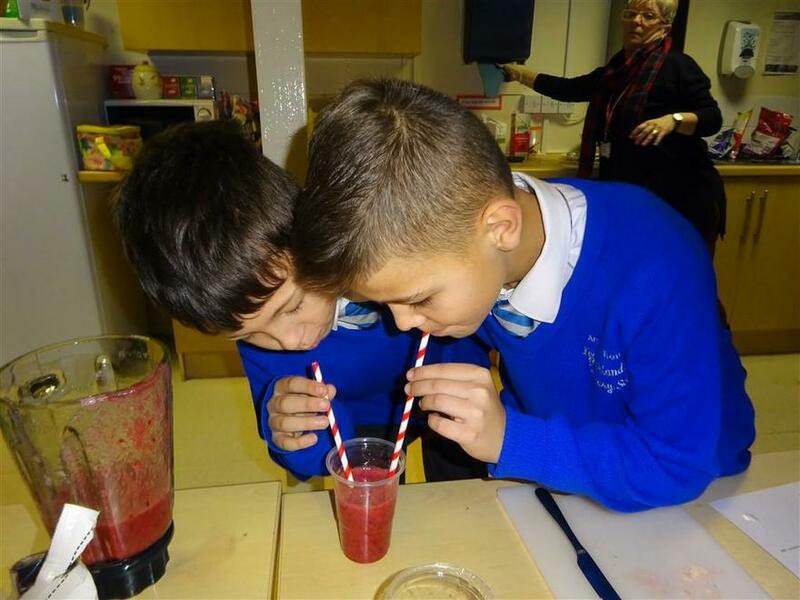 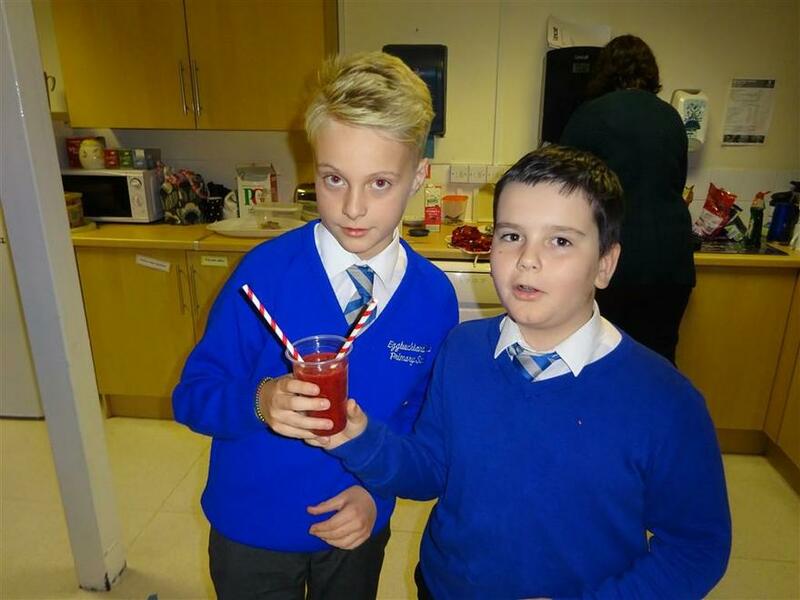 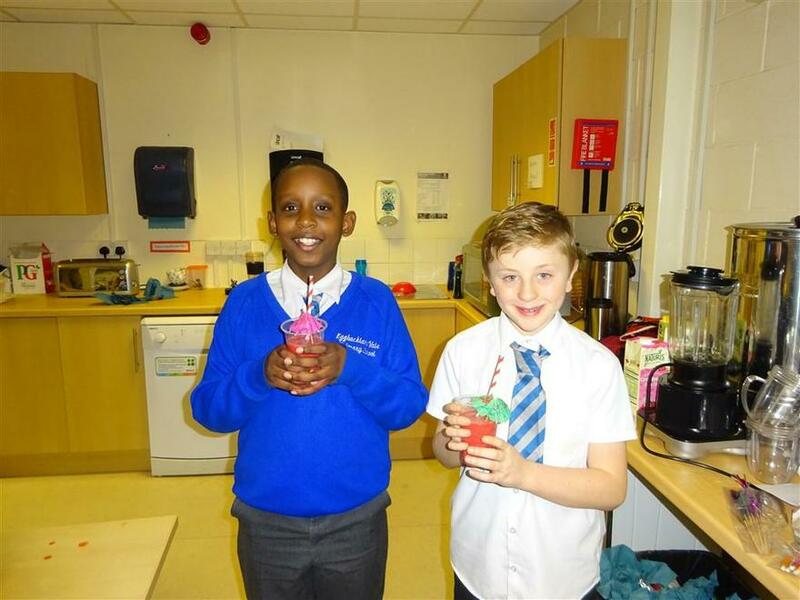 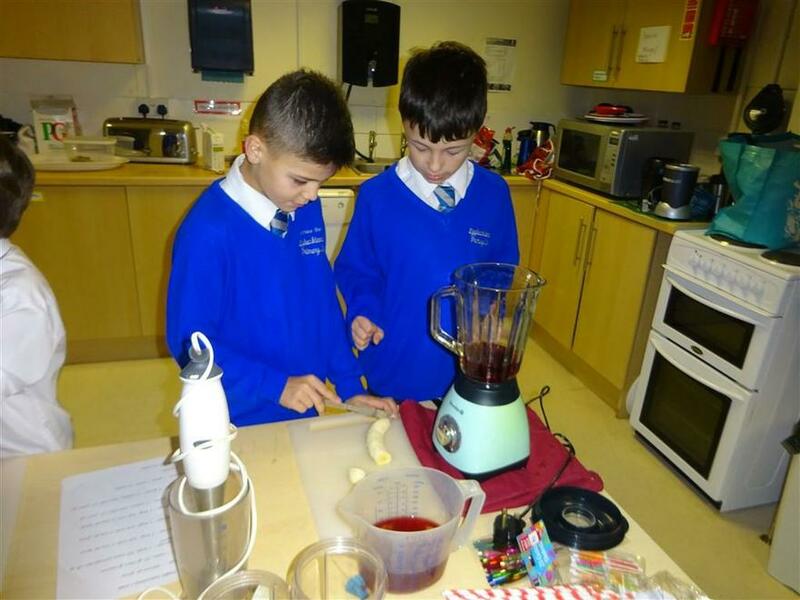 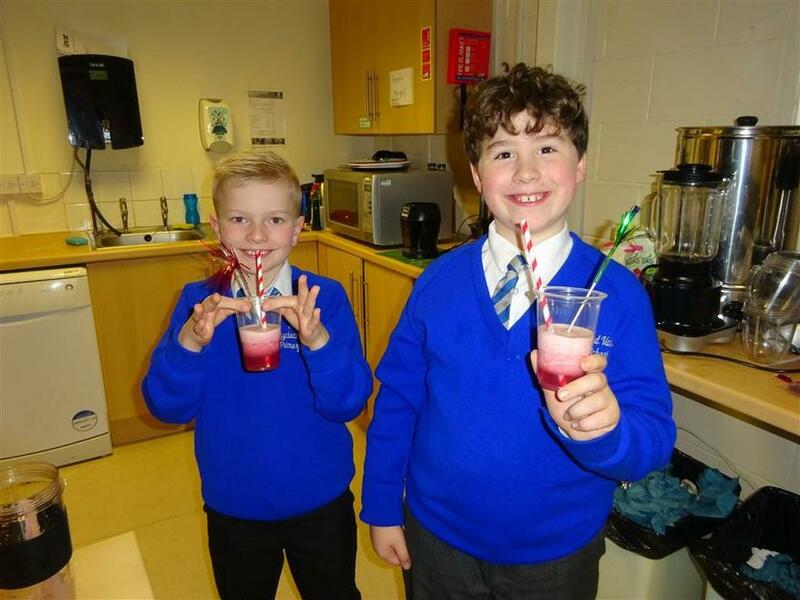 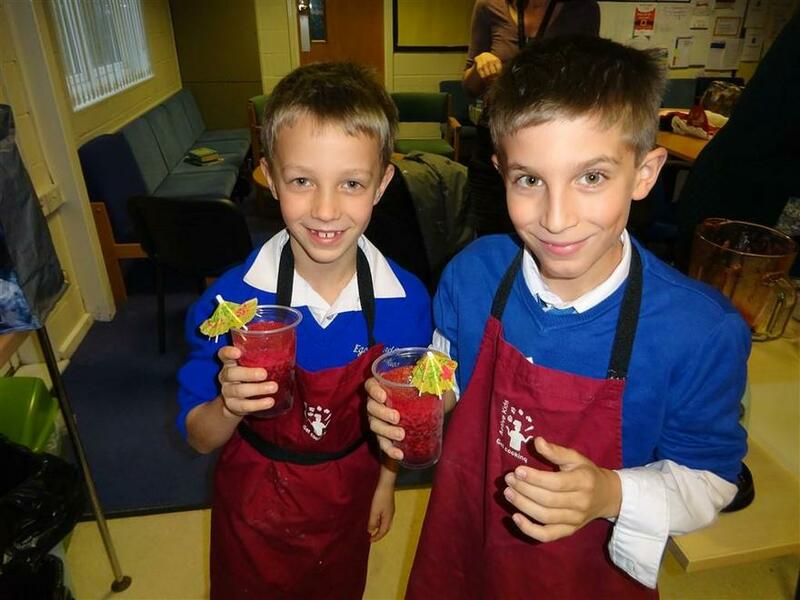 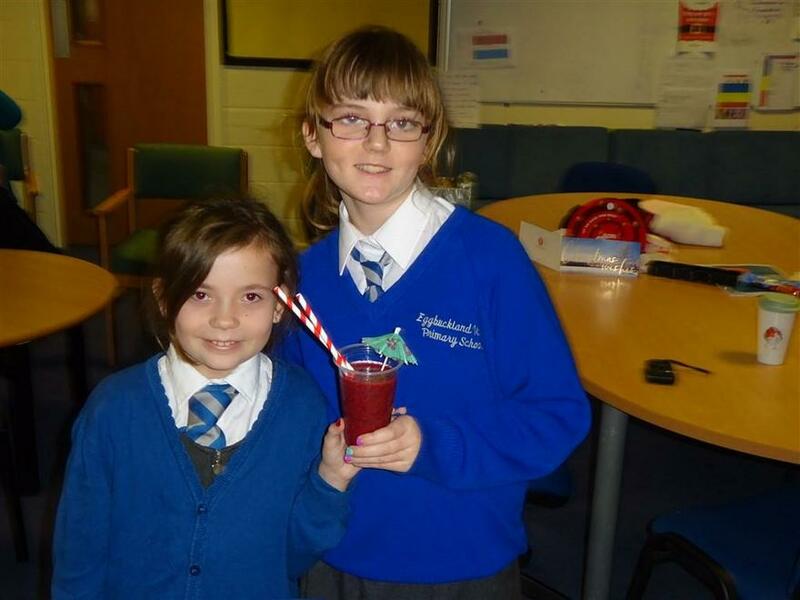 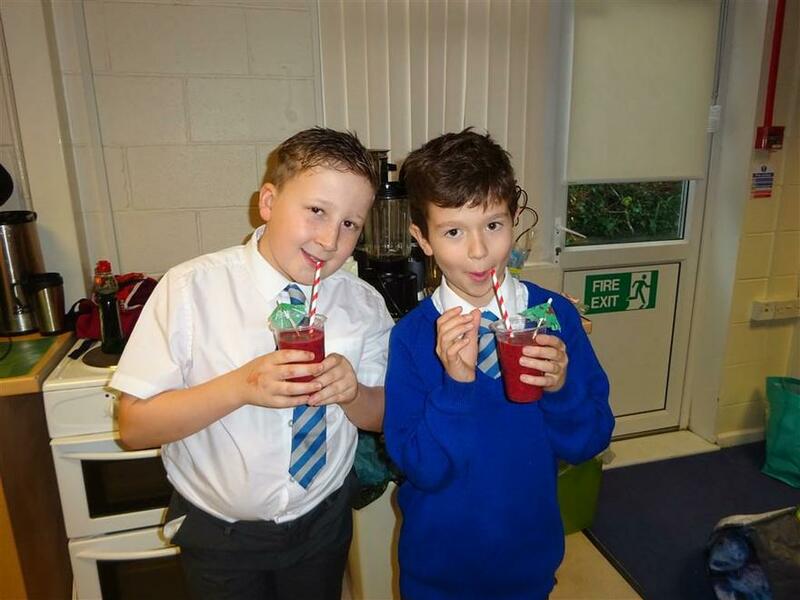 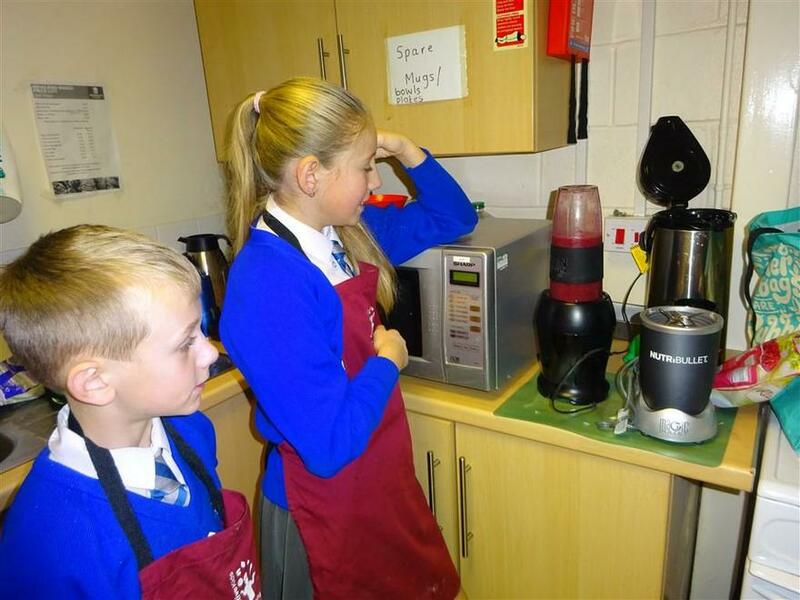 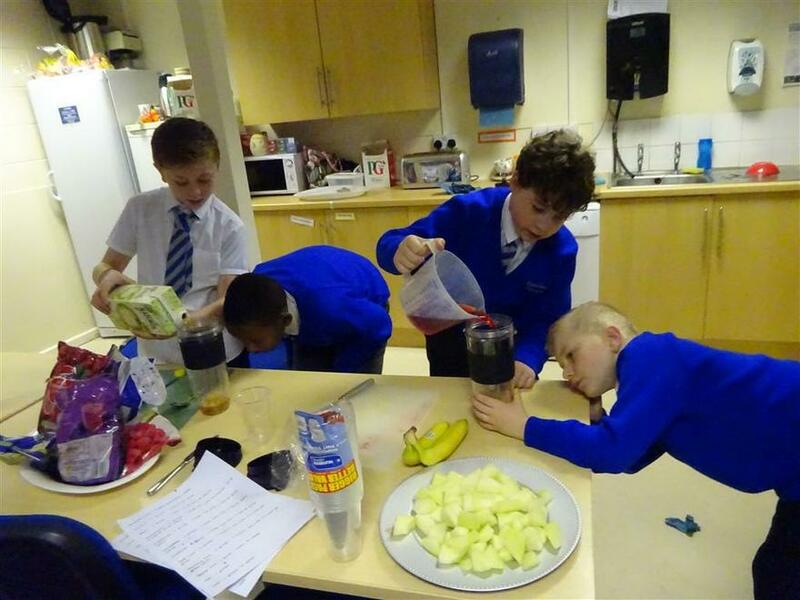 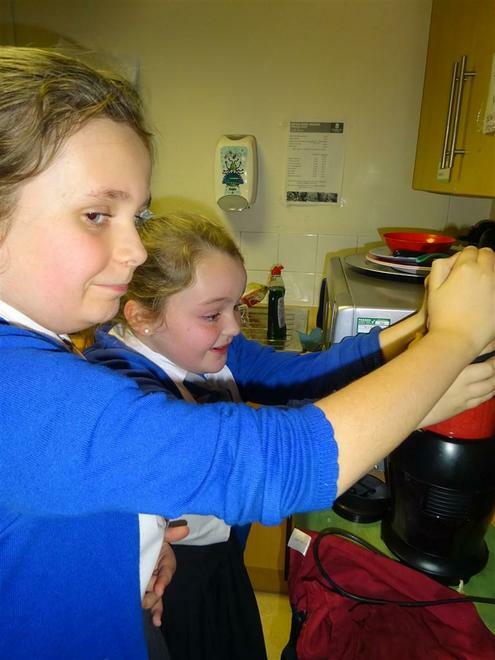 Year 5 tasted, evaluated, planned and created their own smoothies just before Christmas. 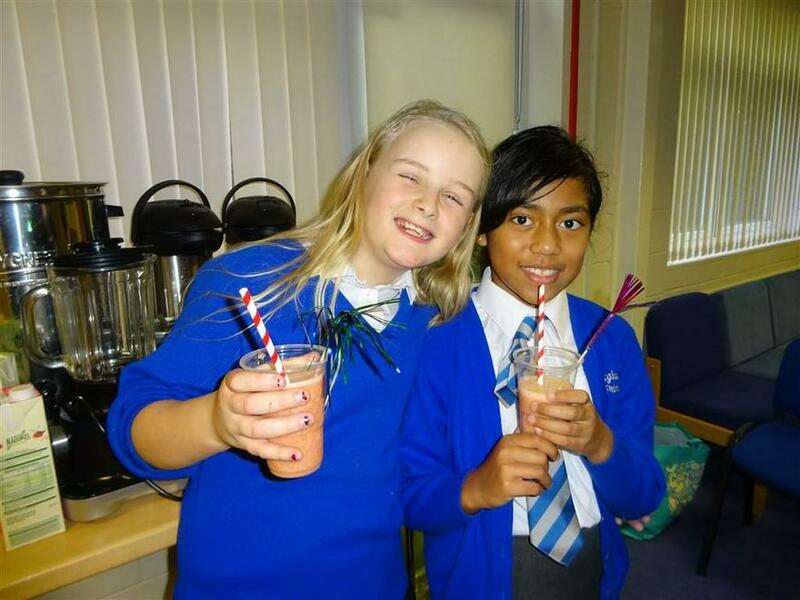 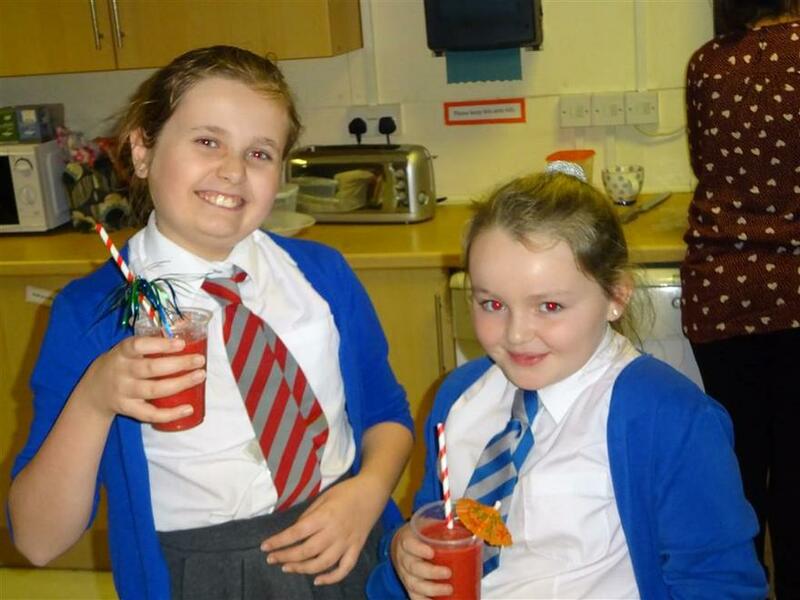 It was a huge success and the children were (mostly) delighted with their smoothies! 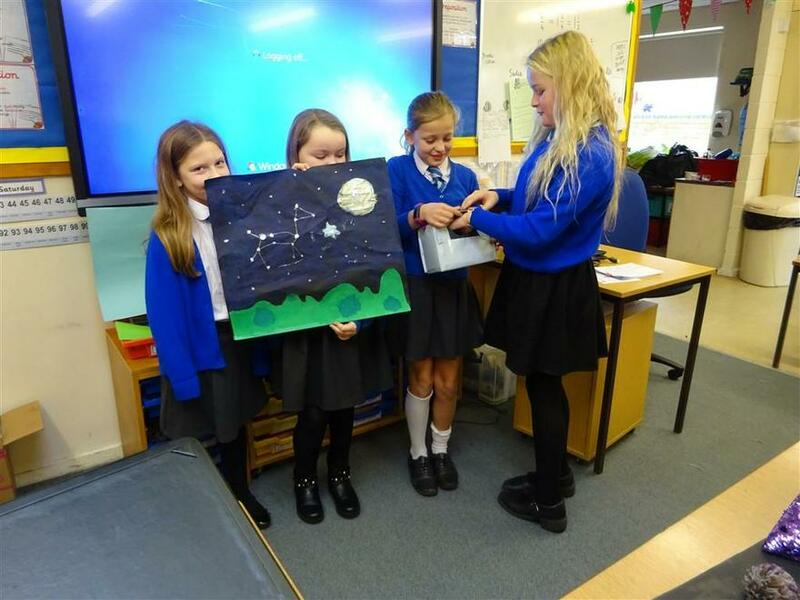 They worked really hard and really enjoyed the whole process. 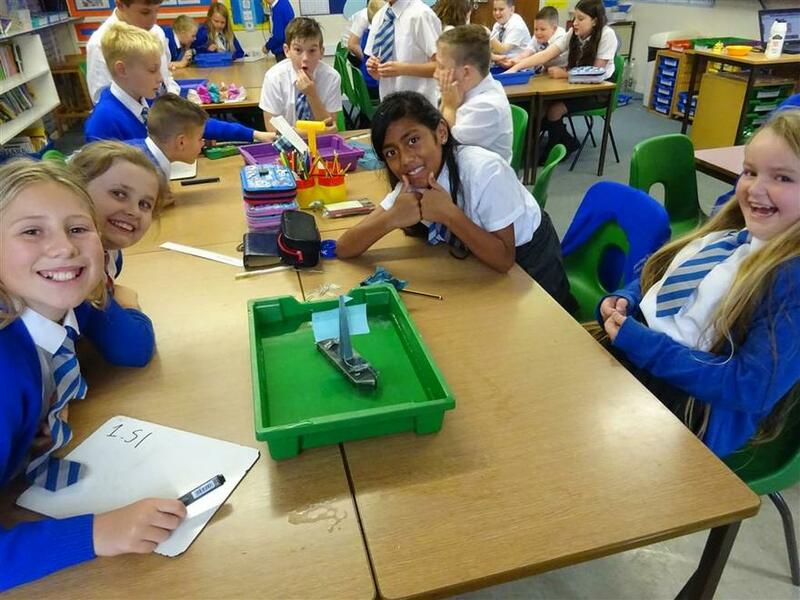 Well done Surfers! 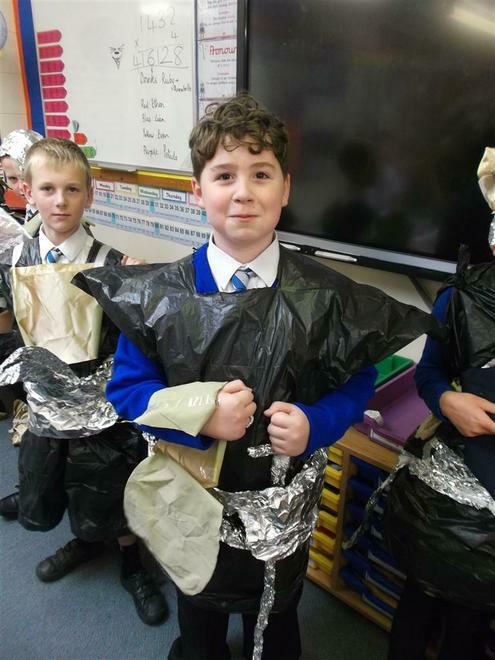 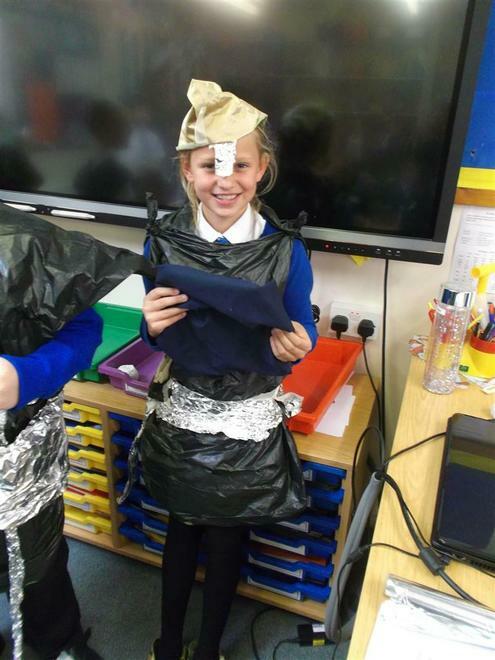 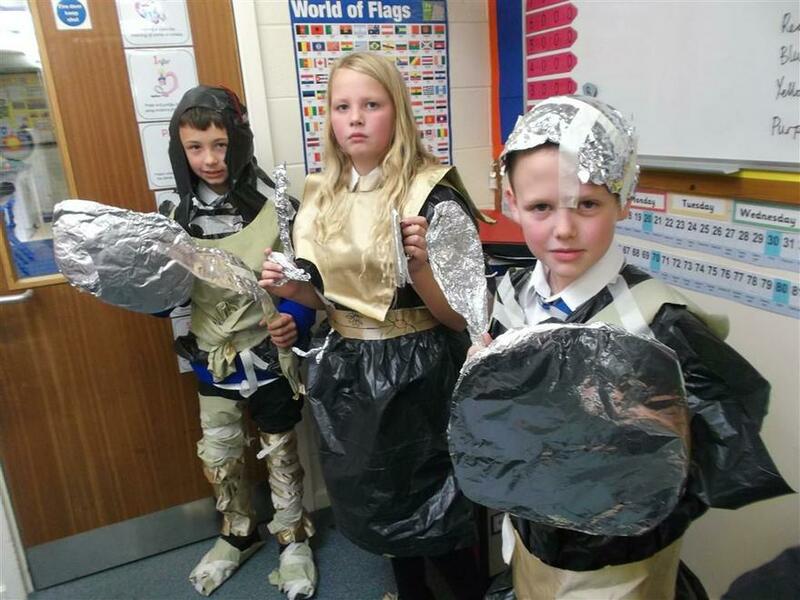 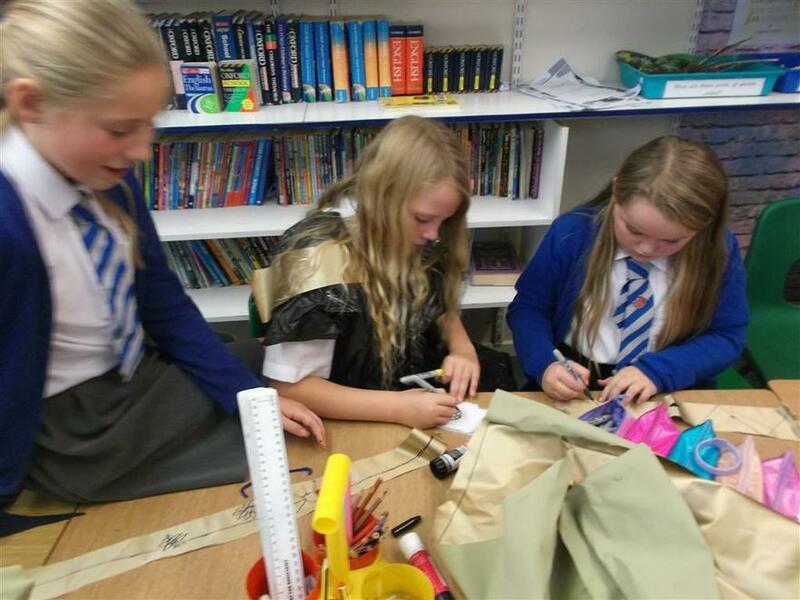 Year 5 Surfers recently applied their learning about the Vikings to work in groups to create outfits fit for a Viking Warrior! 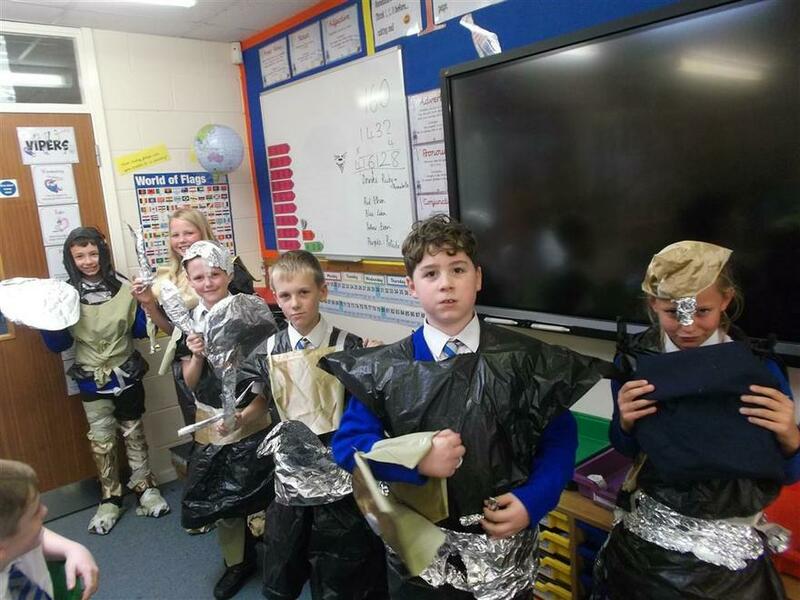 They were then given a range of scenario's and depending on if their Warrior had the necessary clothing or weapons, they survived . 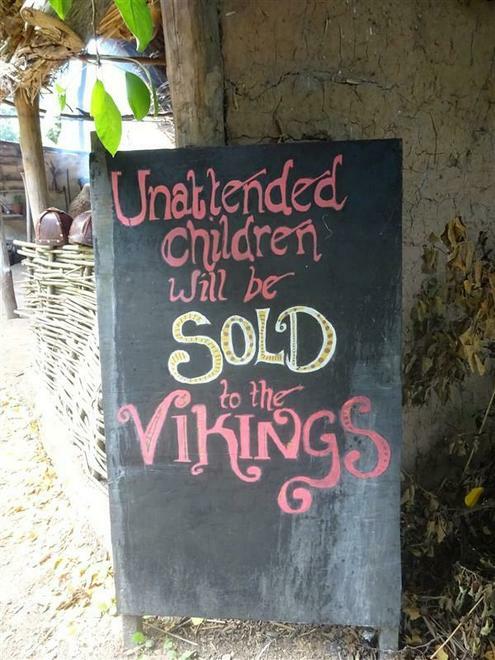 . . or not! 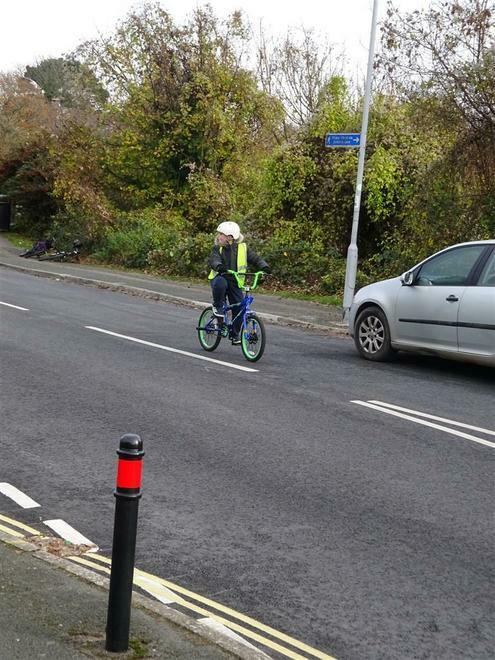 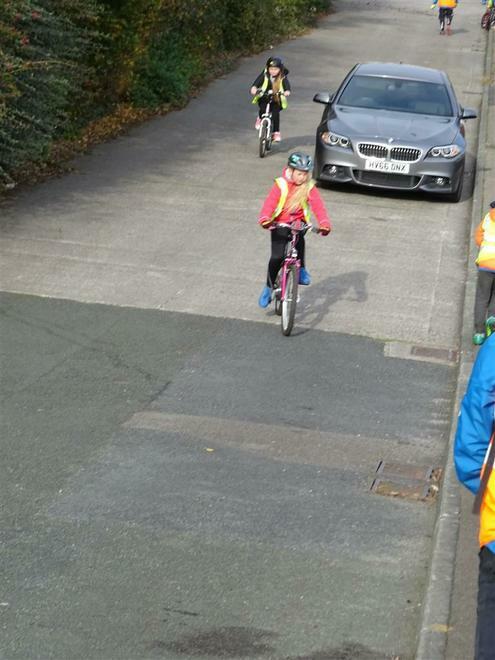 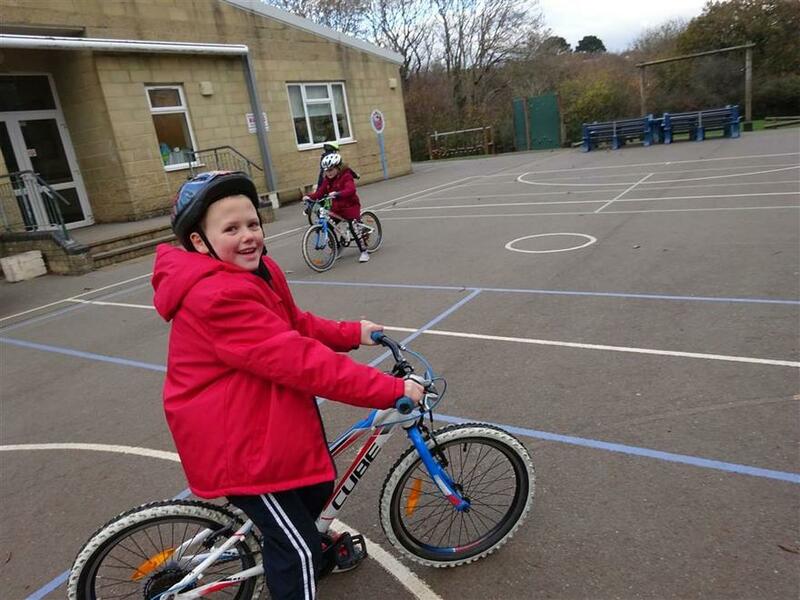 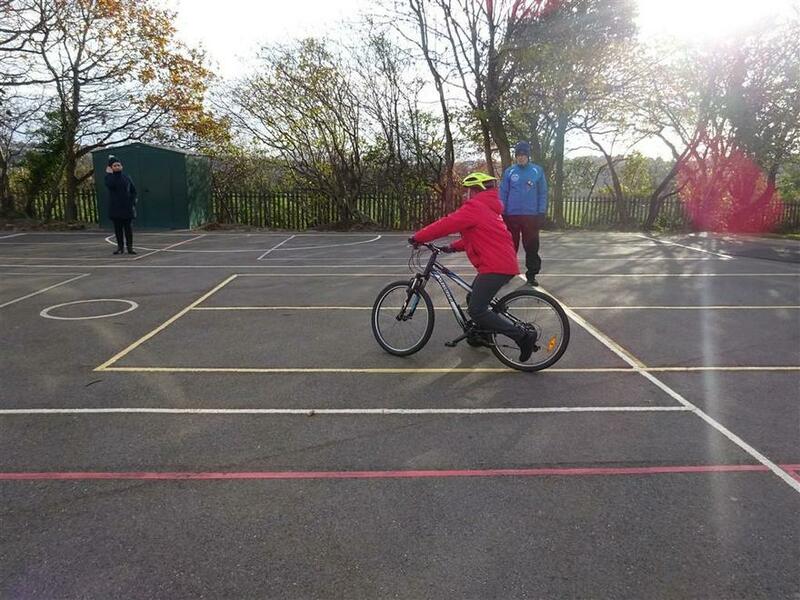 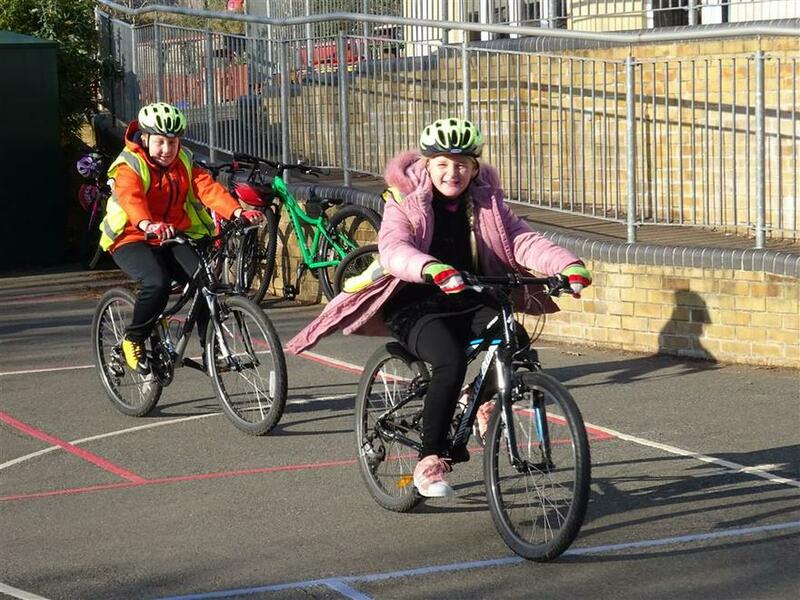 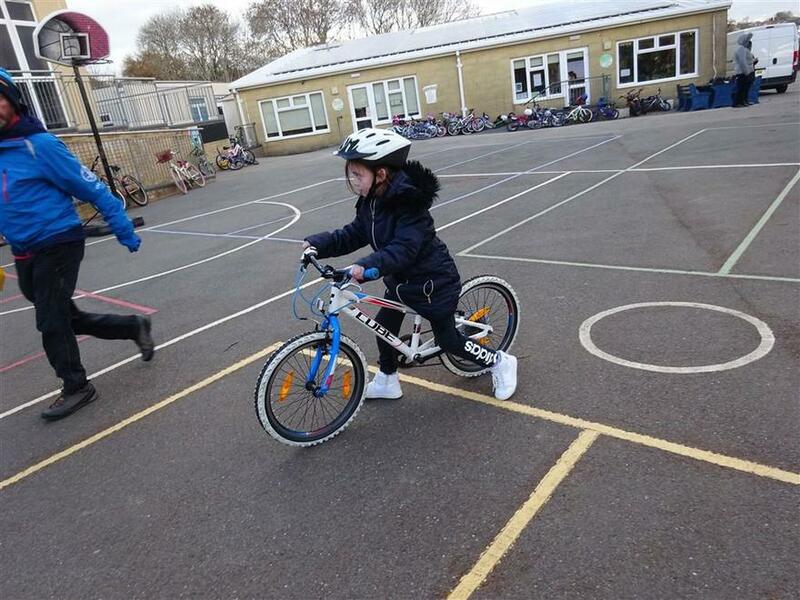 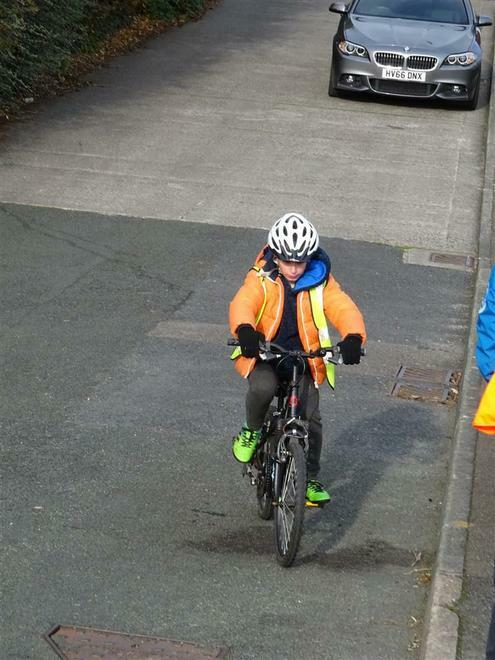 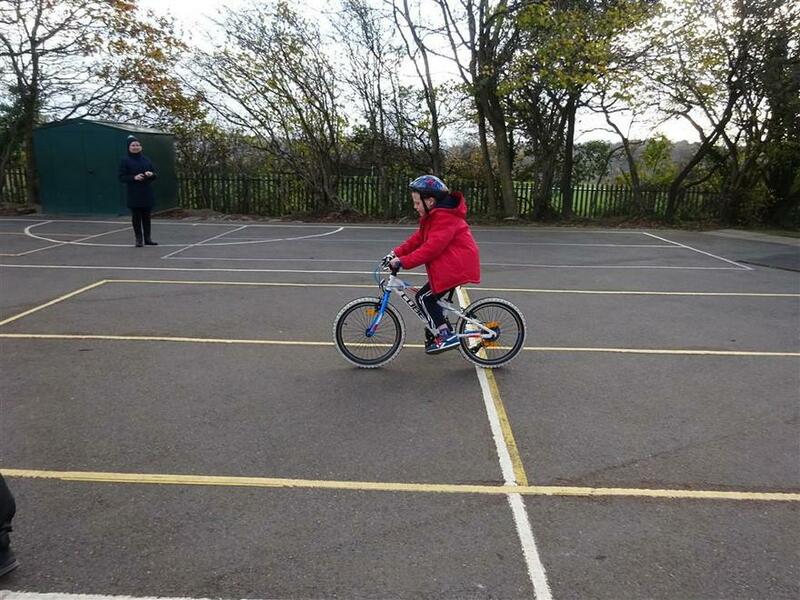 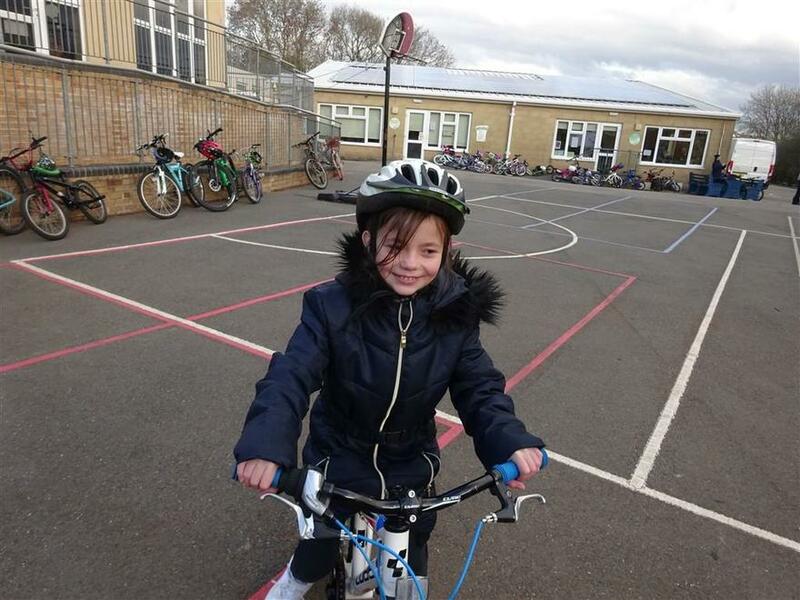 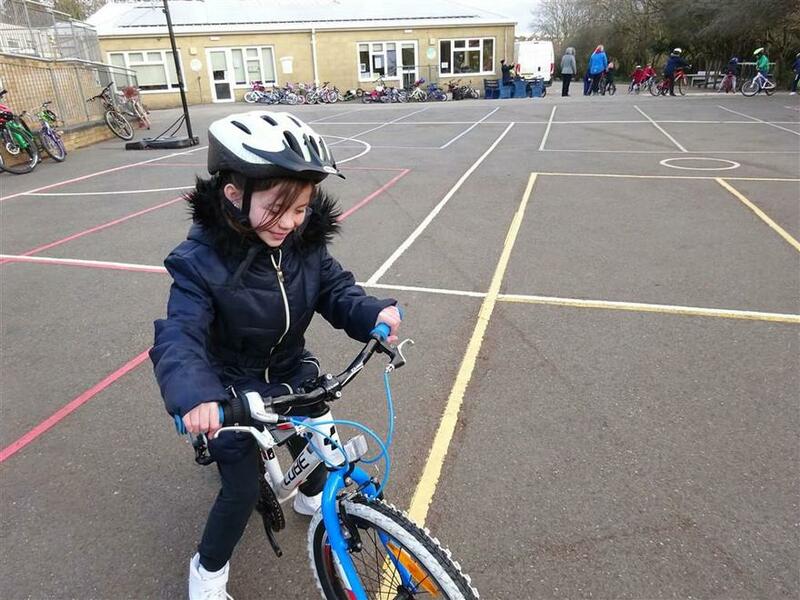 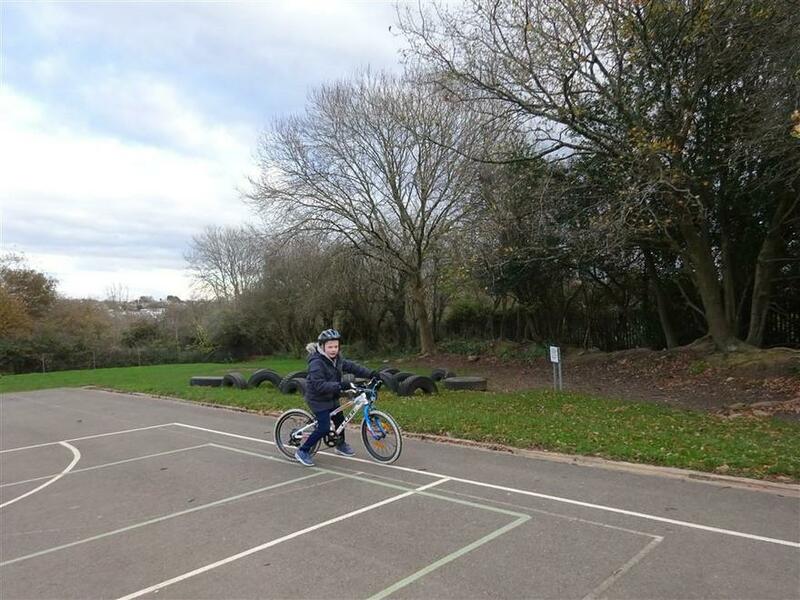 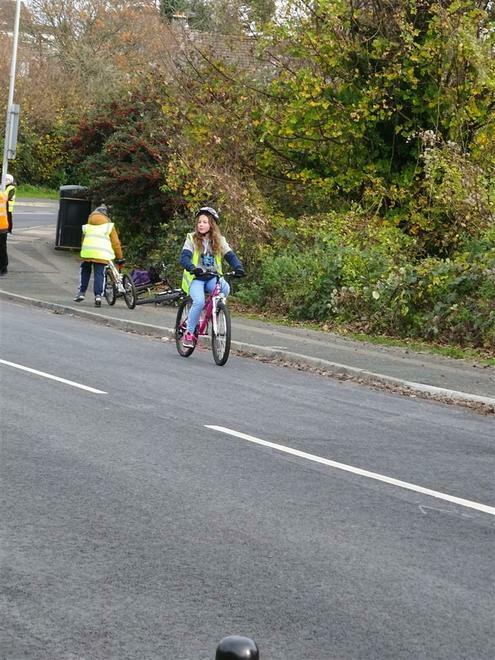 Year 5 have been enjoying Bike-ability training this week despite the wintery weather conditions. 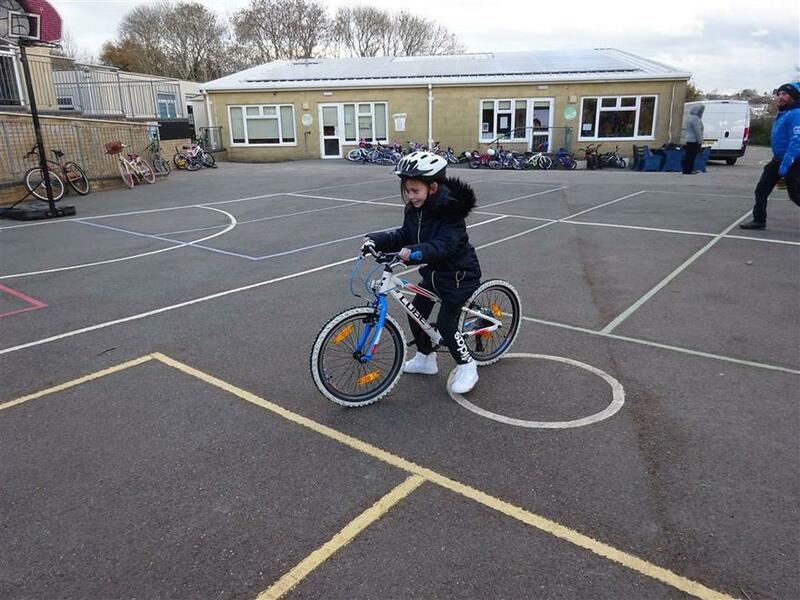 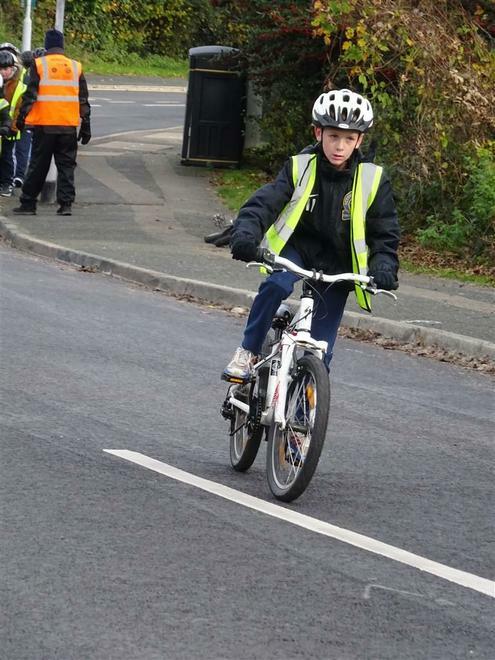 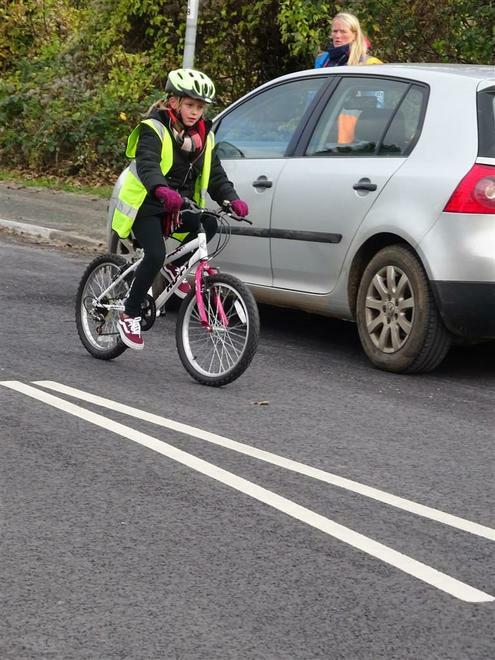 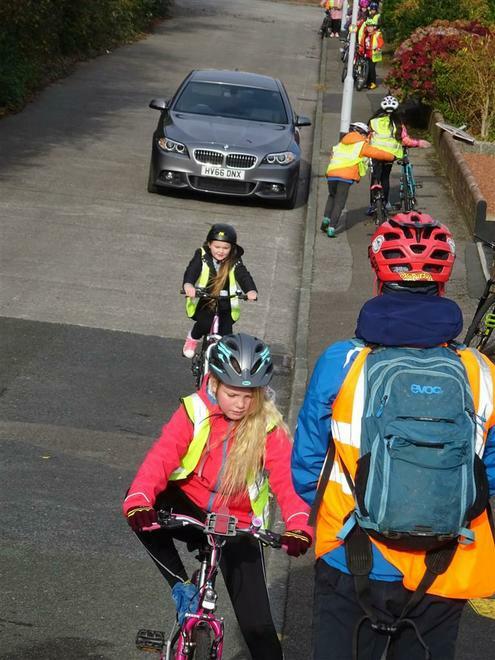 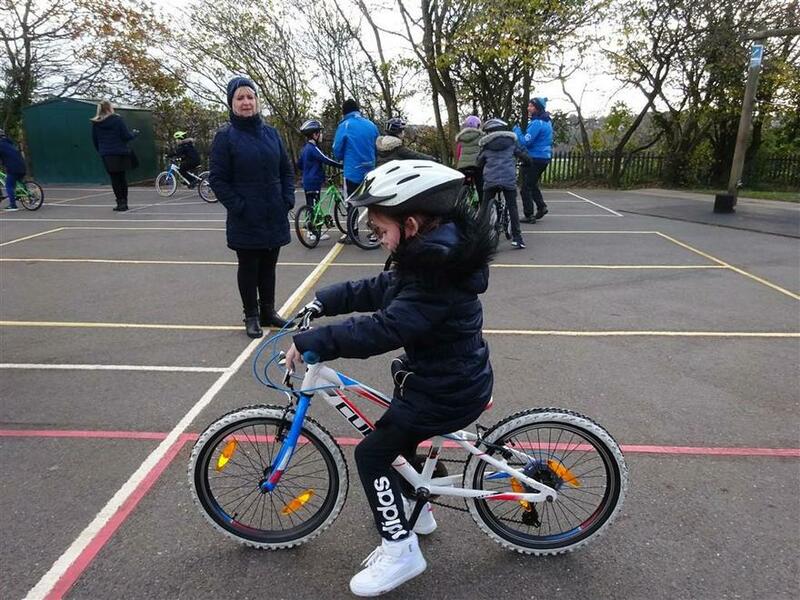 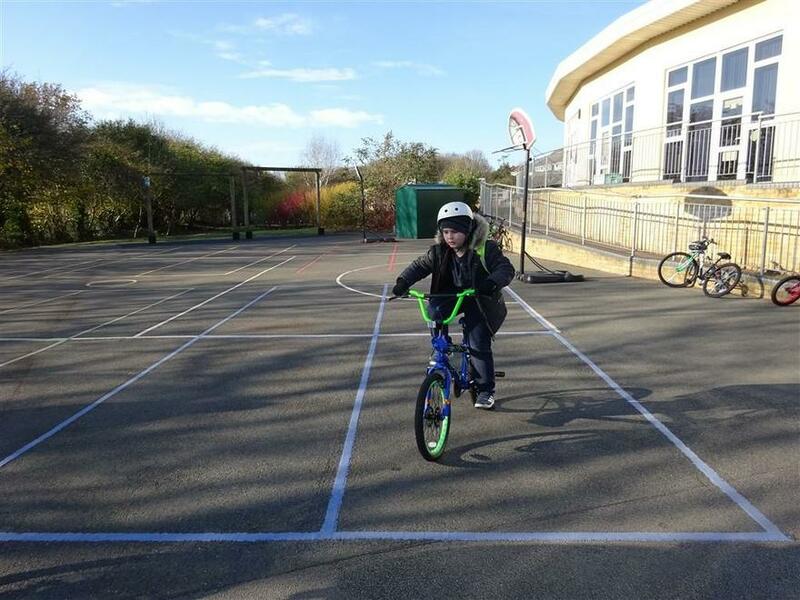 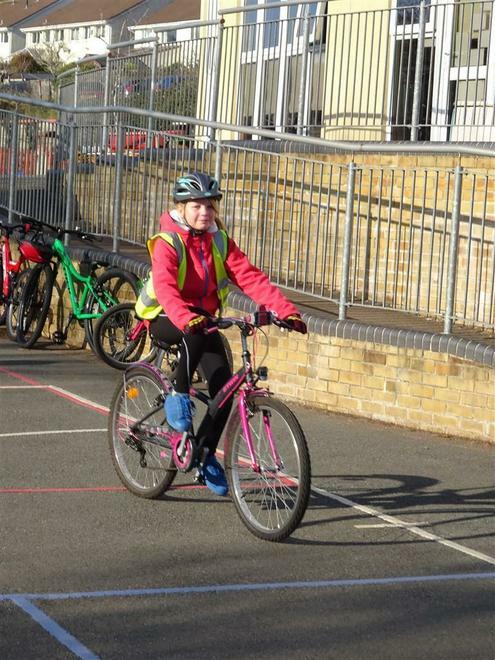 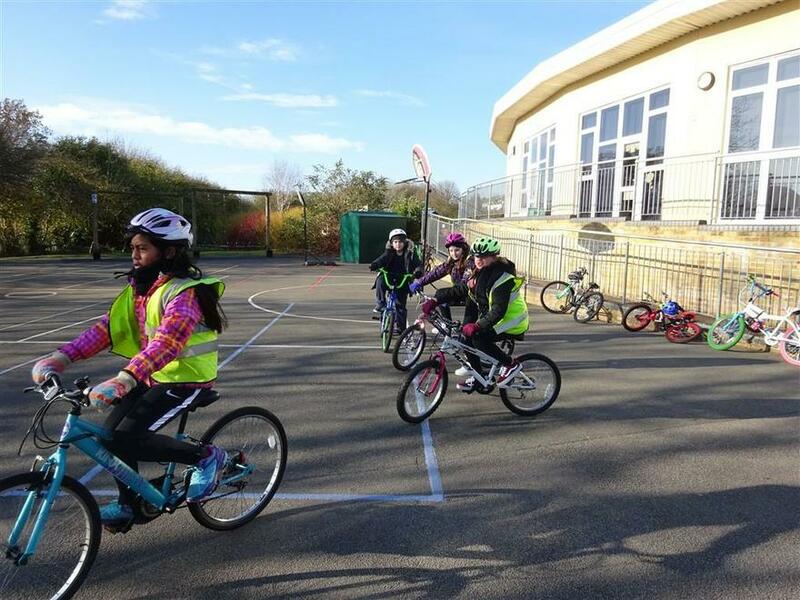 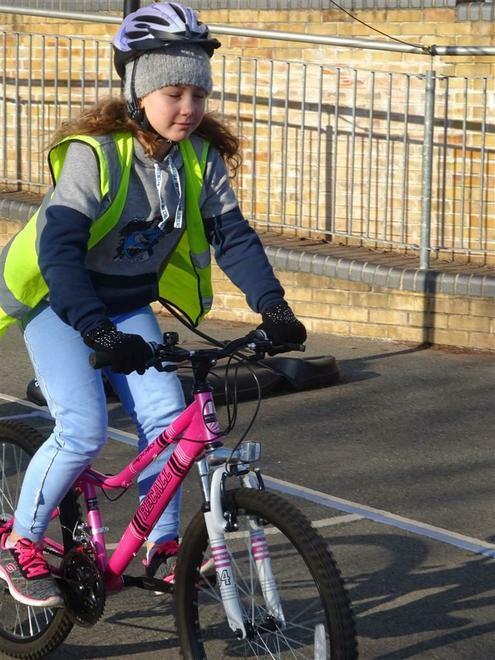 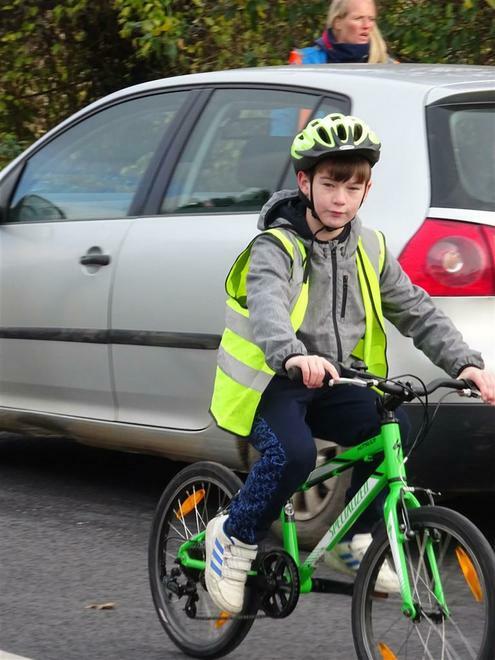 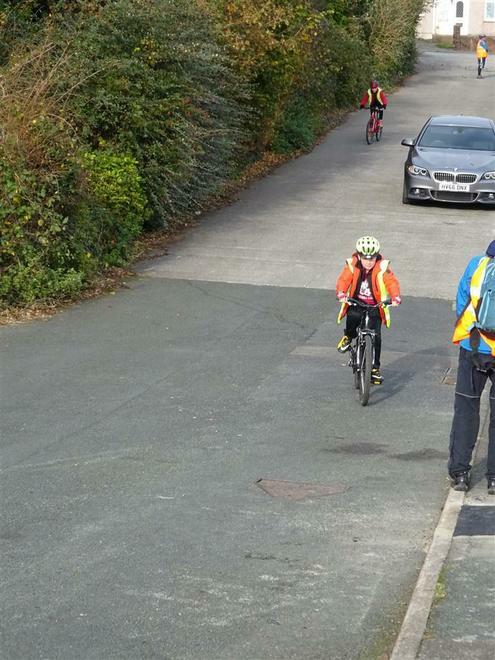 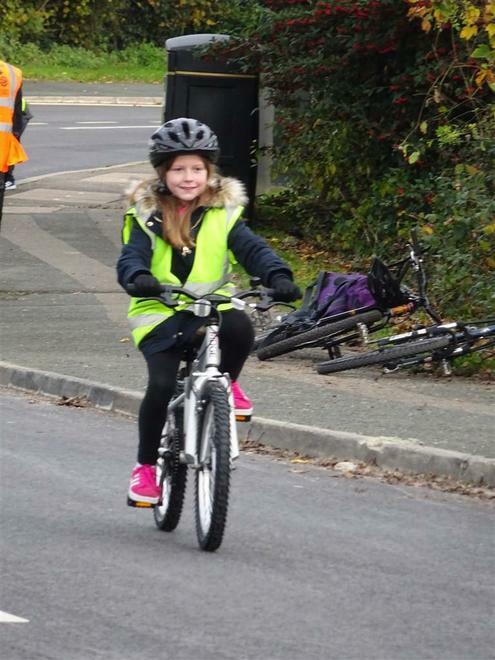 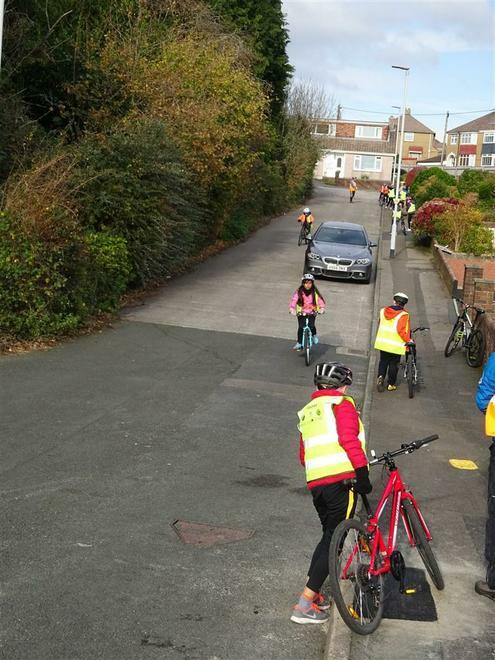 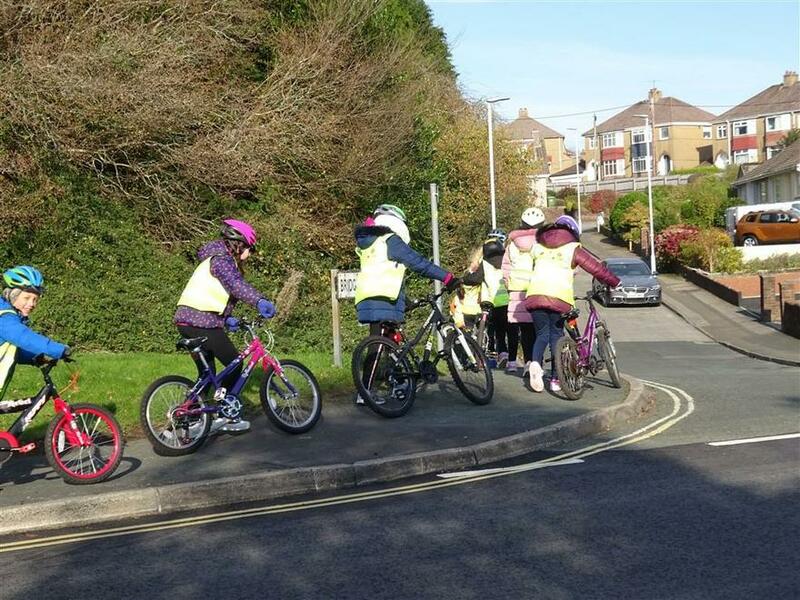 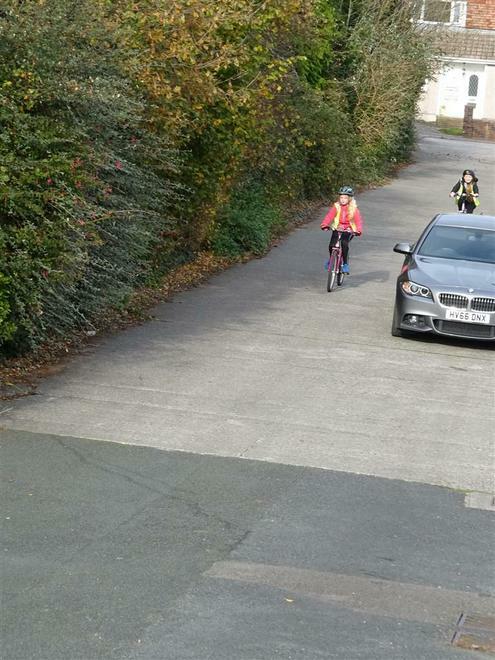 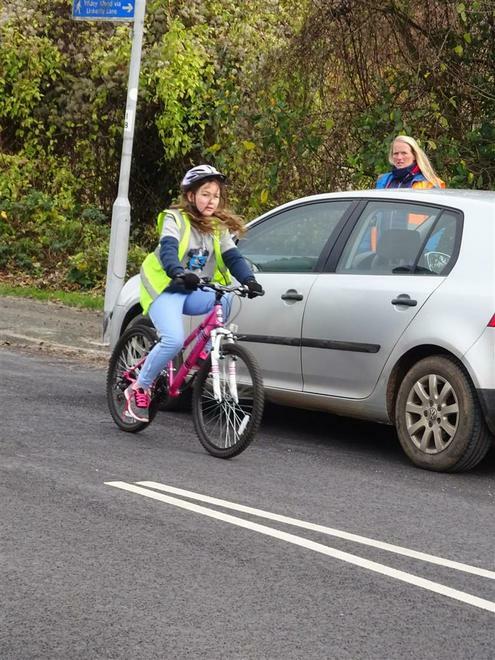 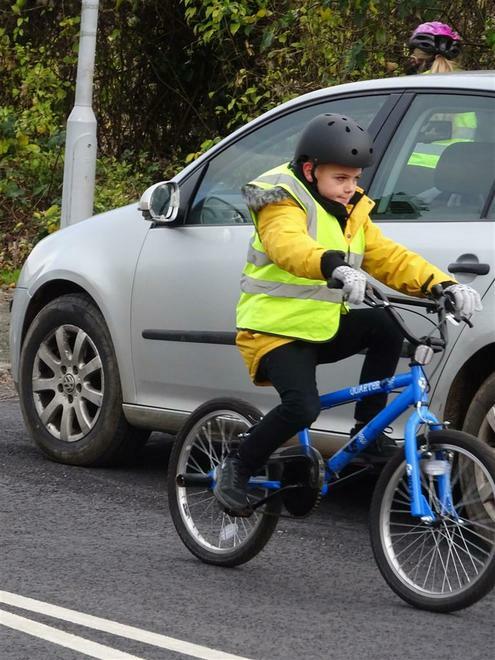 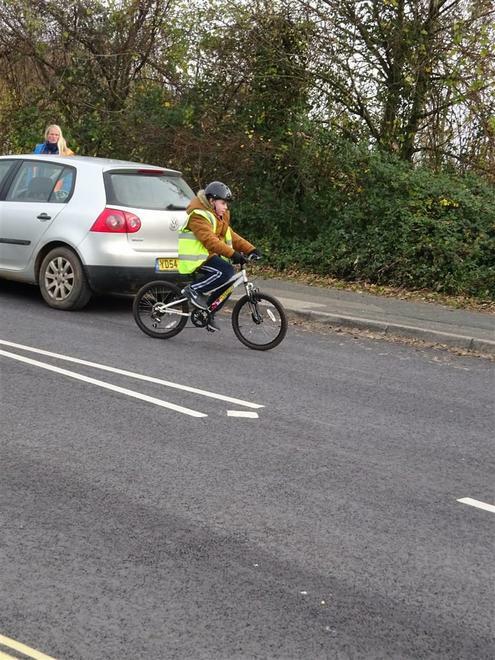 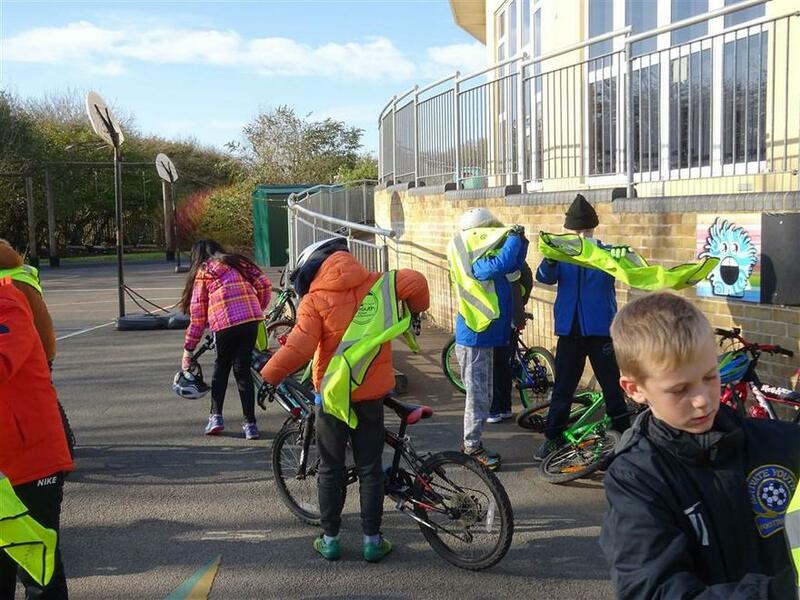 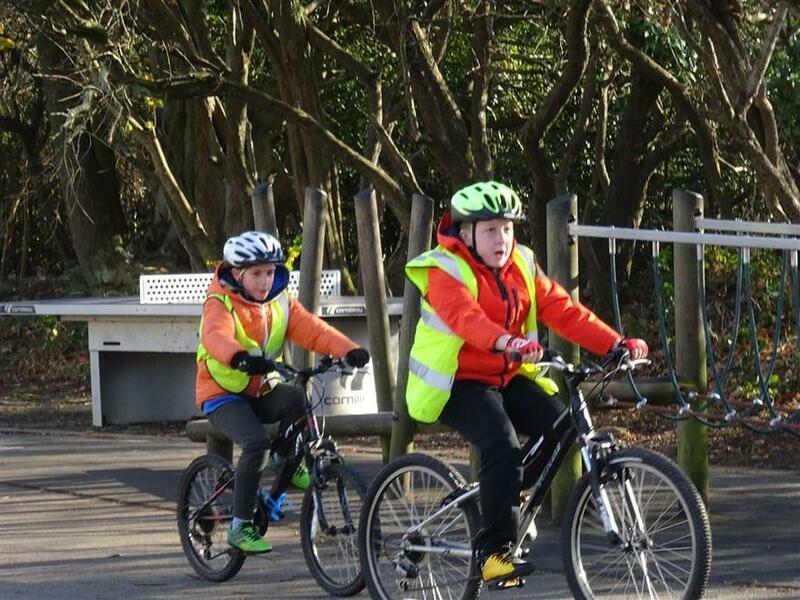 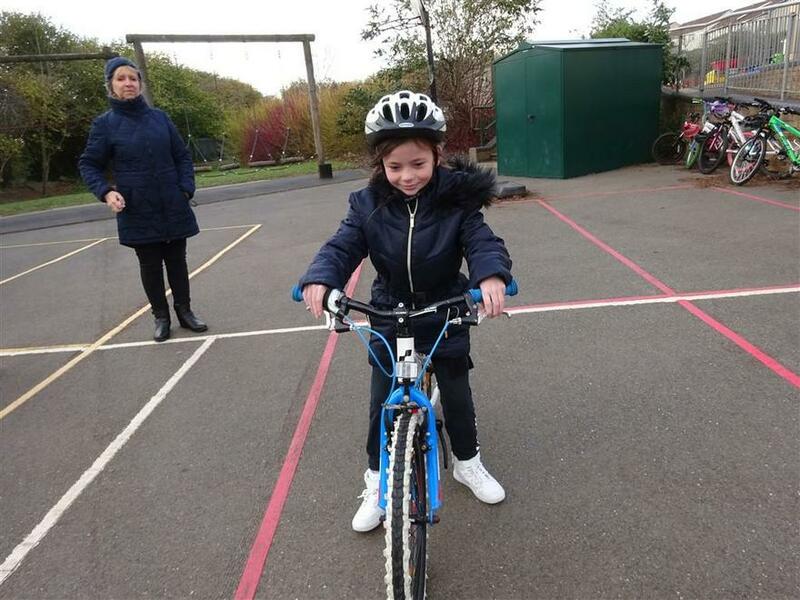 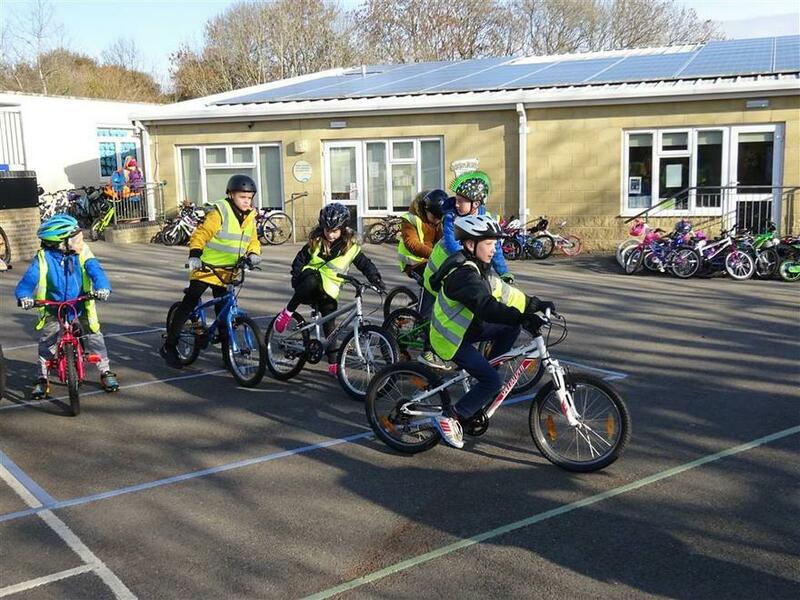 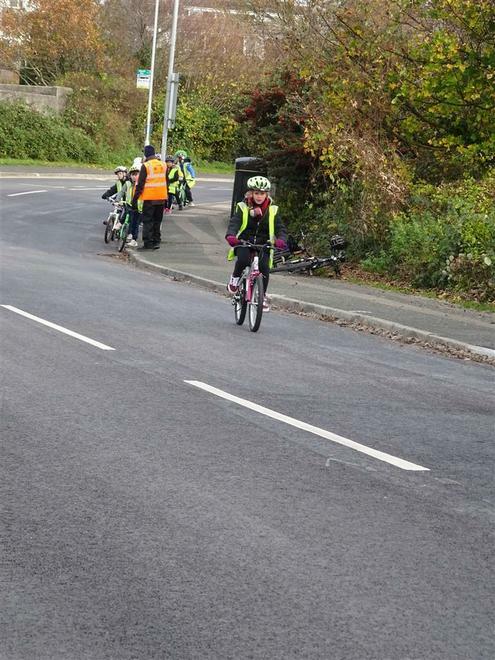 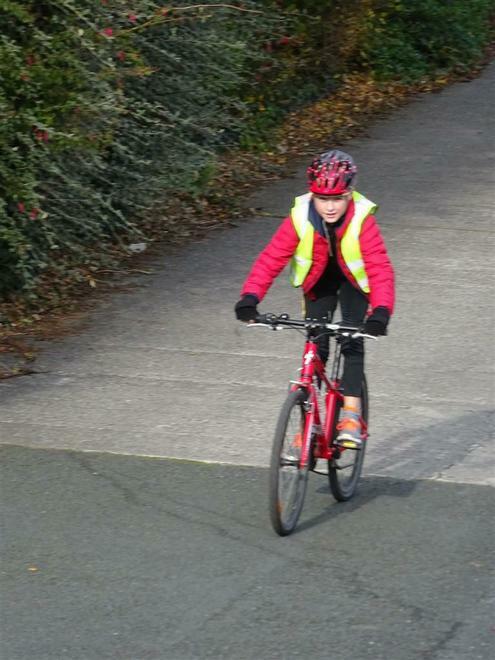 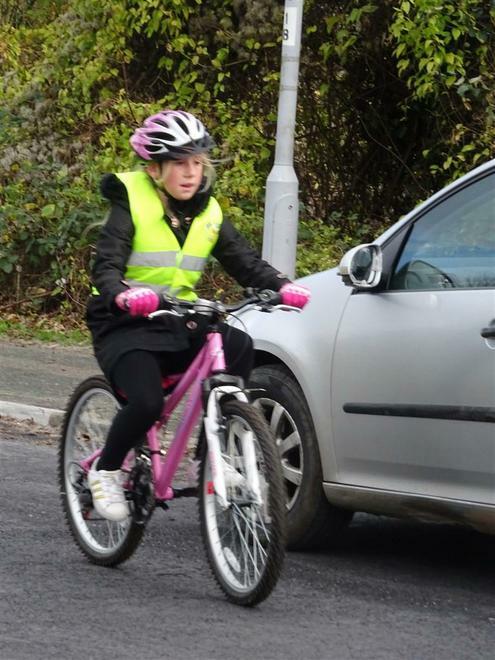 Every child in the year group has made progress in their bike-handling skills, achieving either Learn-to-Ride, Level 1 or Level 2 Bike-ability certificates. 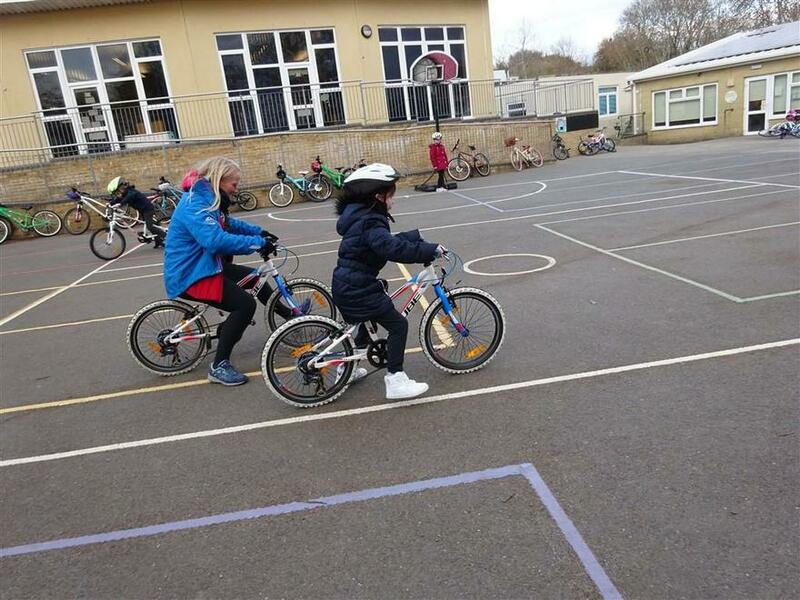 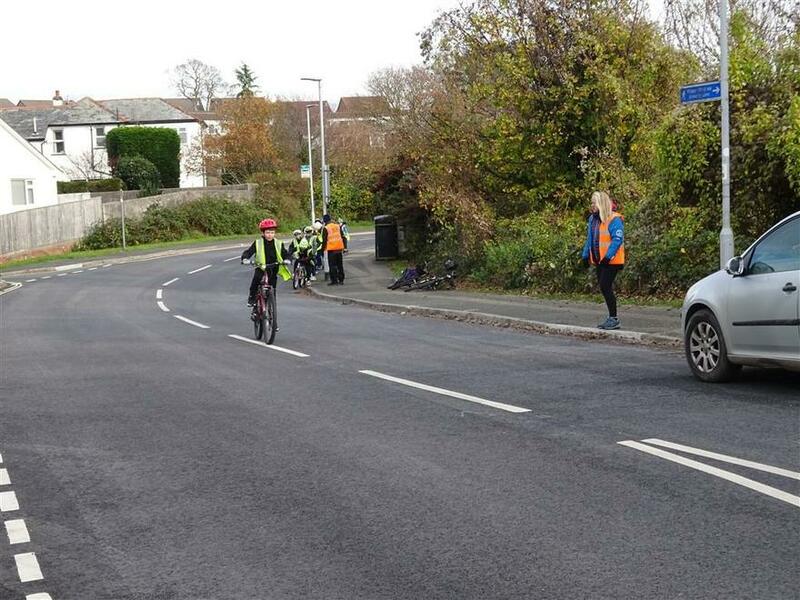 We must say a MASSIVE 'Thank You' to our cycle trainers from Plymouth SSP. 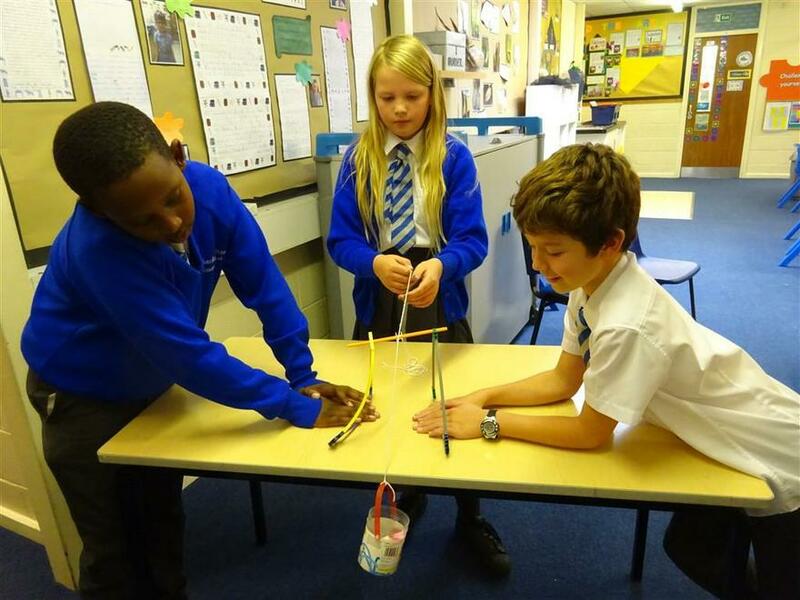 Year 5 have been busy studying Forces and their effects in science lessons this term. 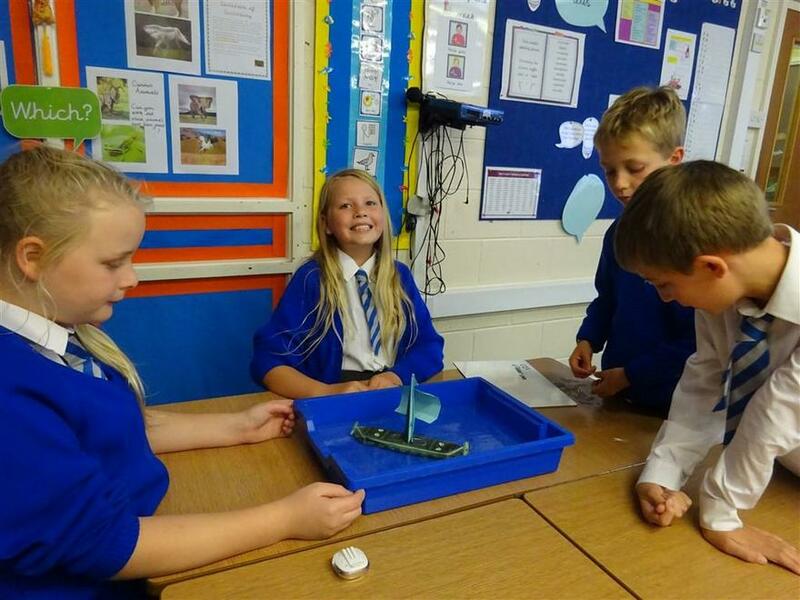 We have had lots of challenges around air resistance, water resistance and friction to investigate. 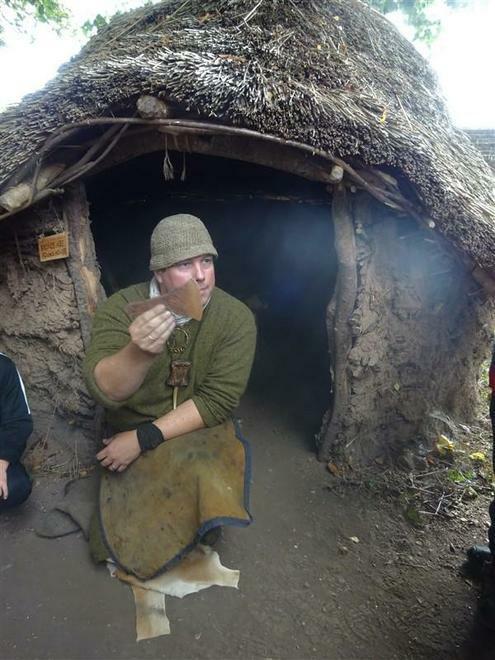 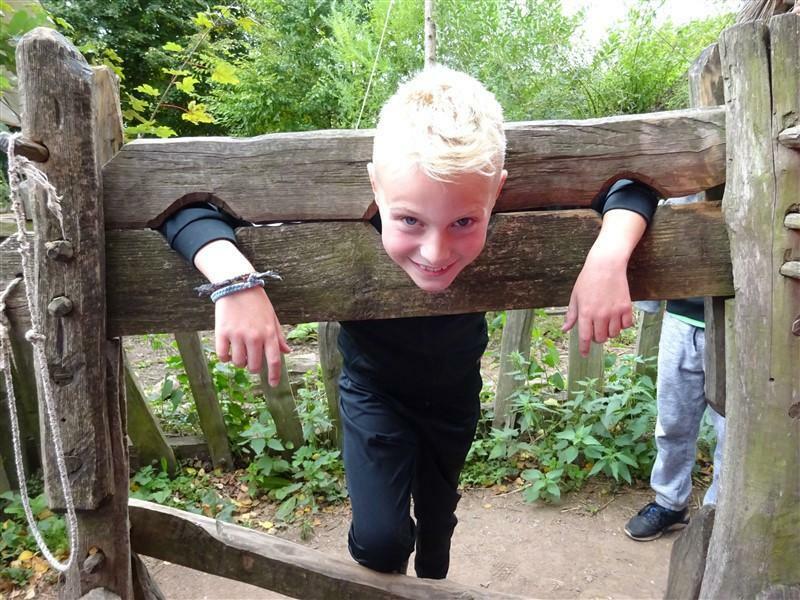 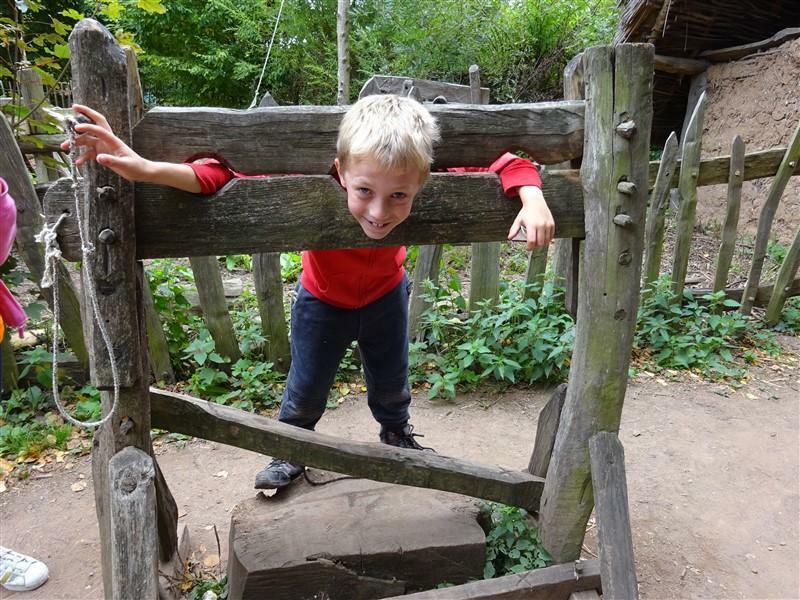 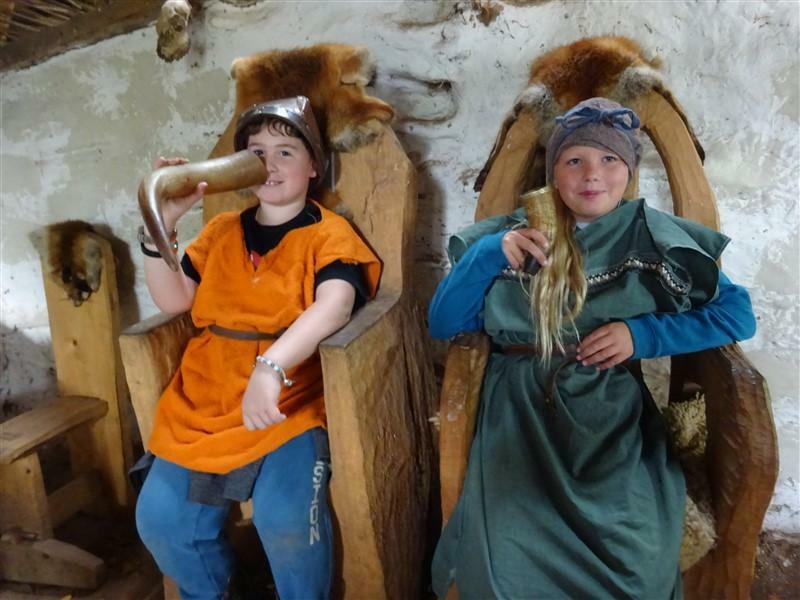 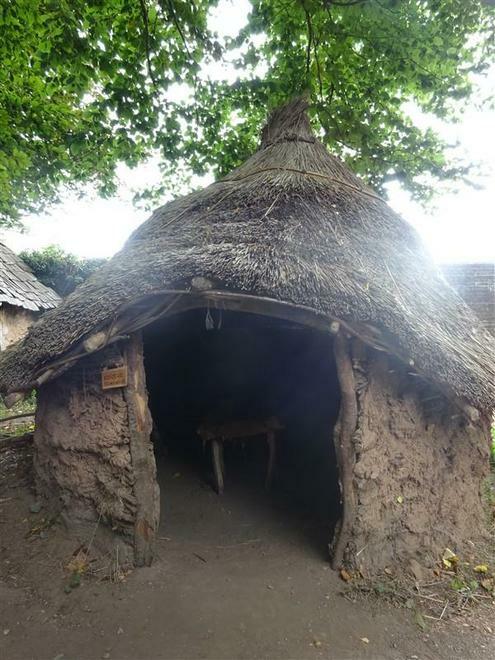 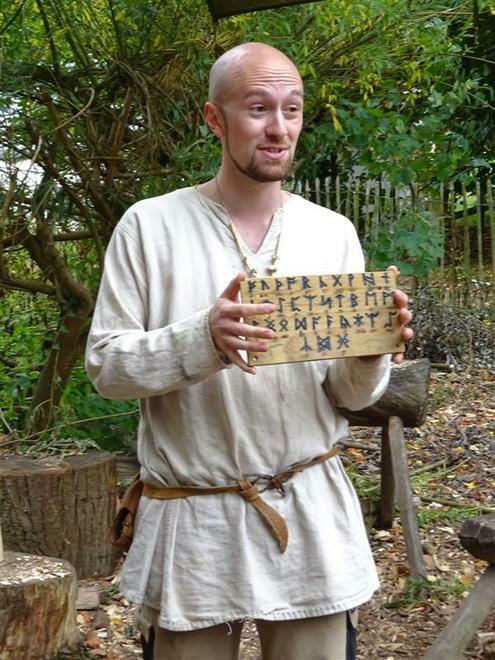 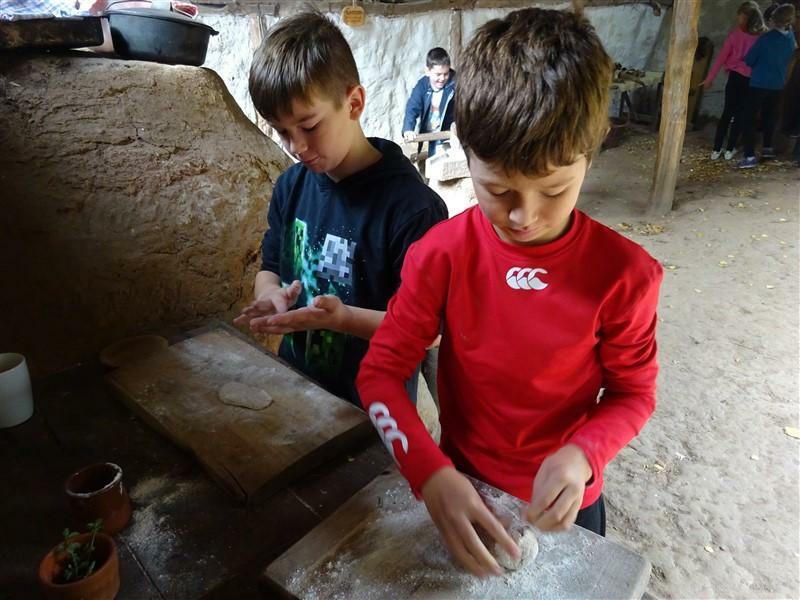 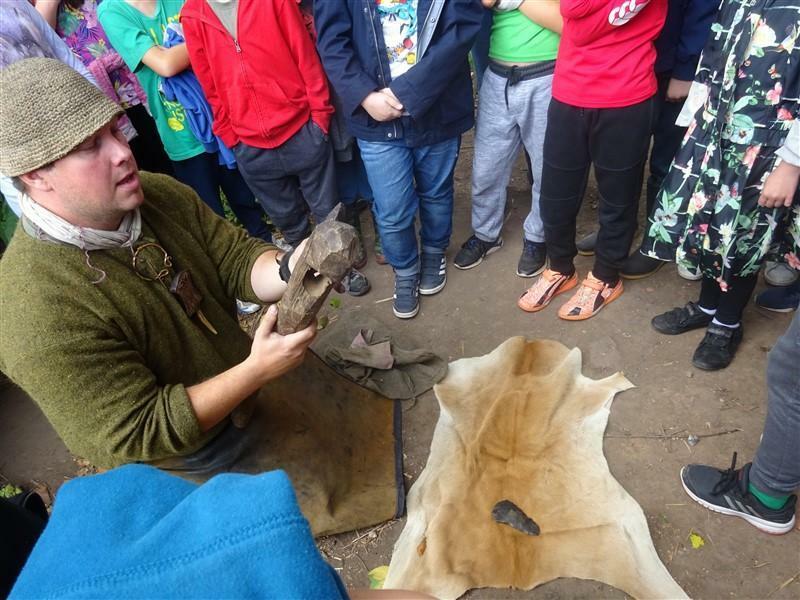 In term 1, Year 5 Surfers and Stingray classes visited an Anglo-saxon village at Wildwood Escot. 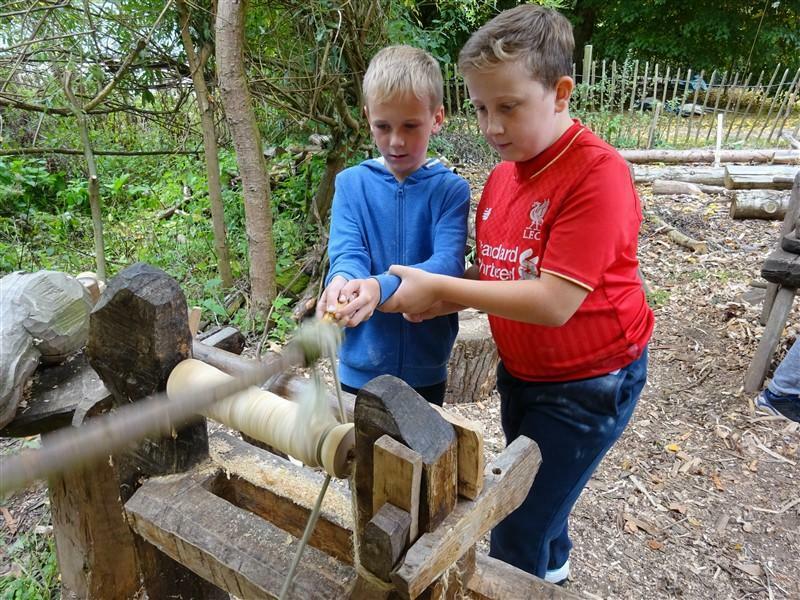 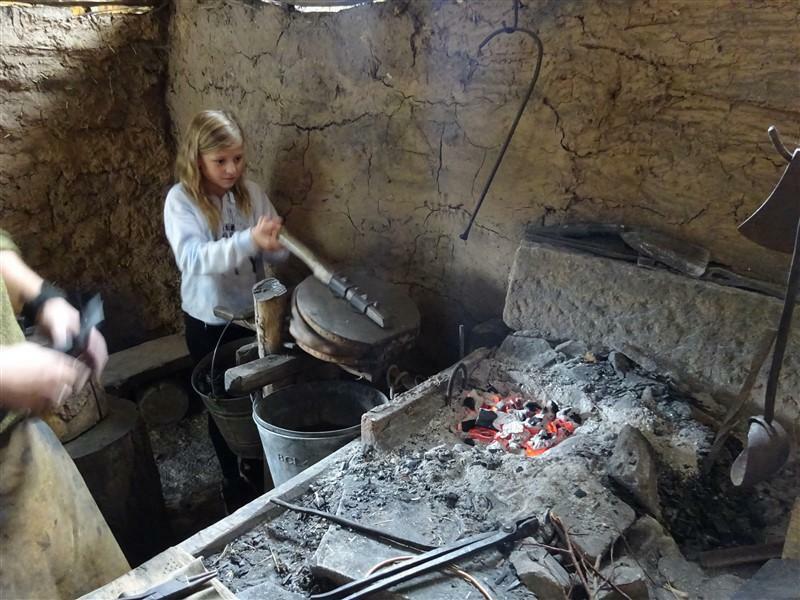 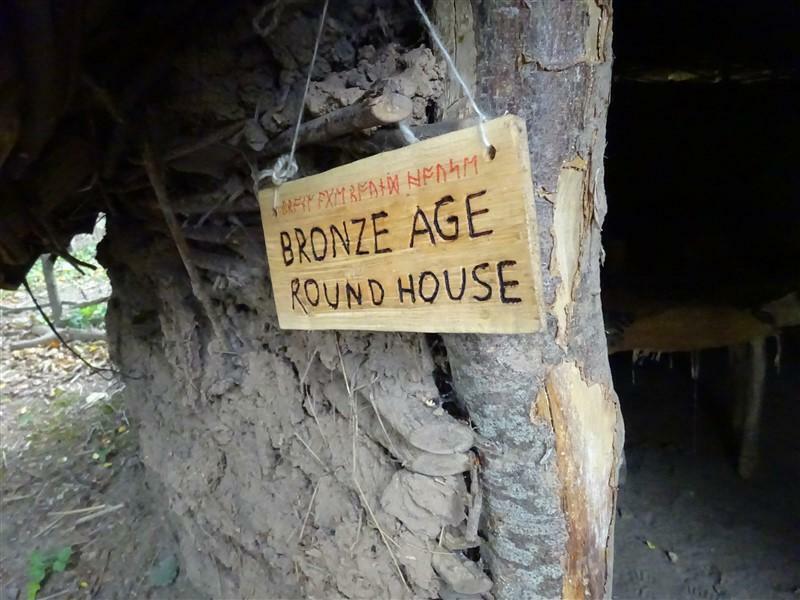 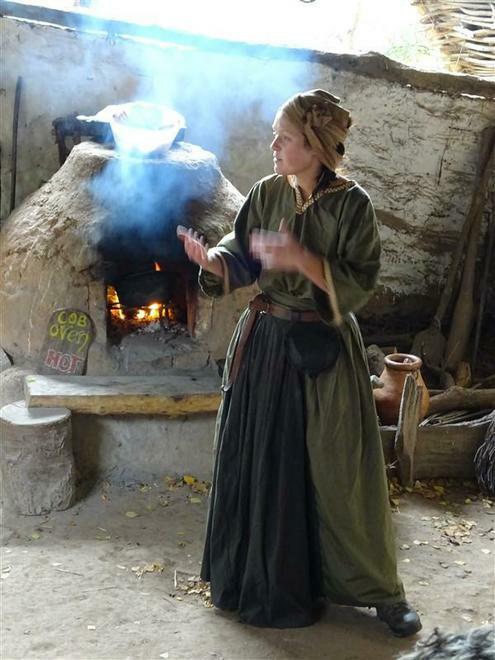 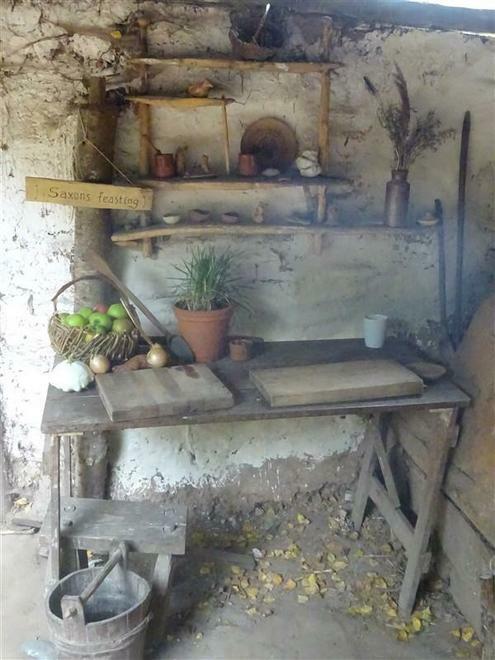 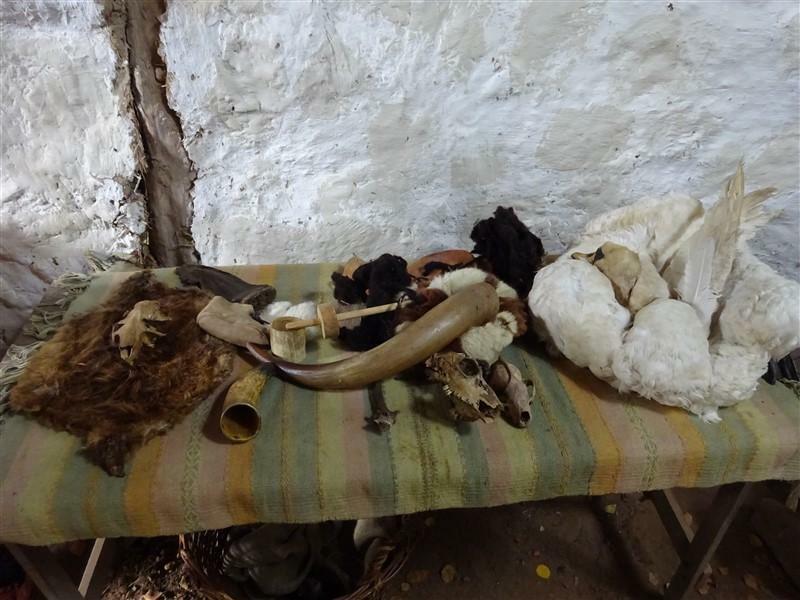 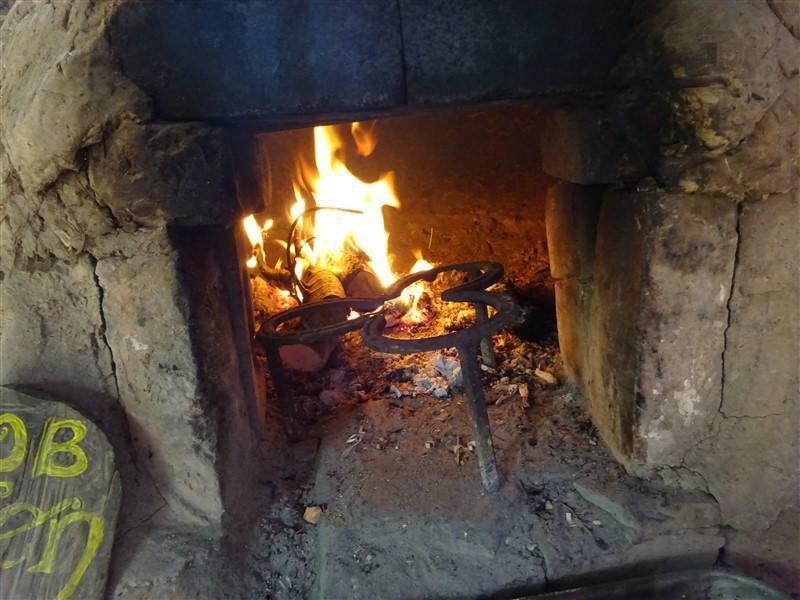 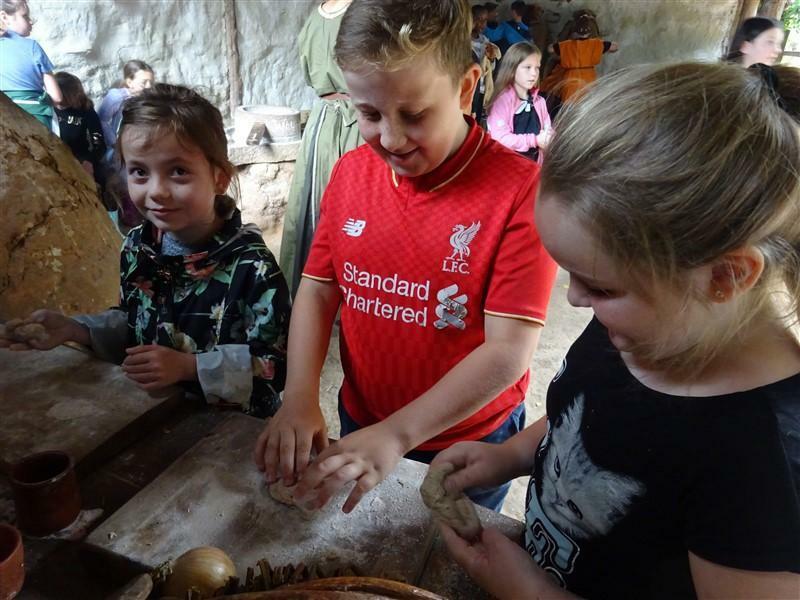 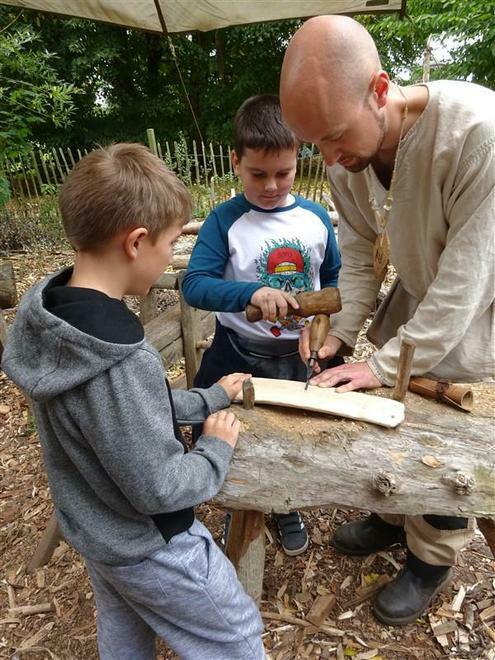 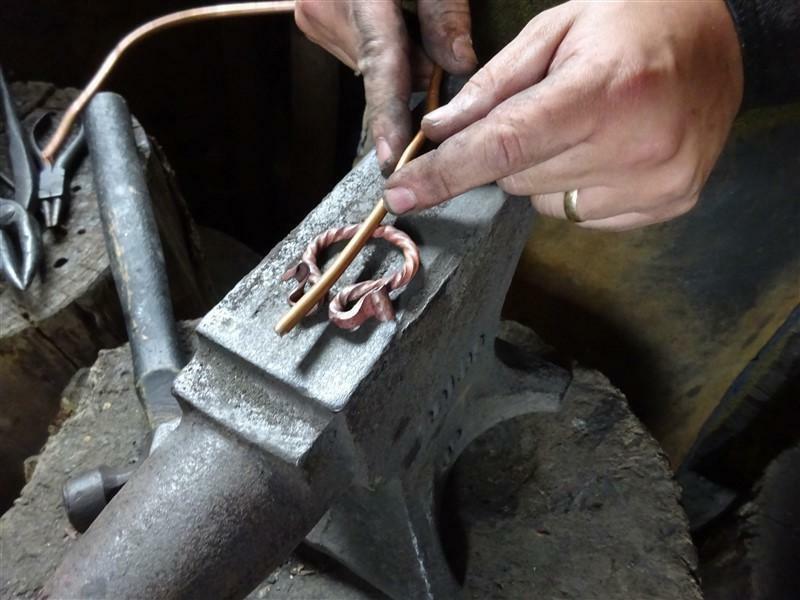 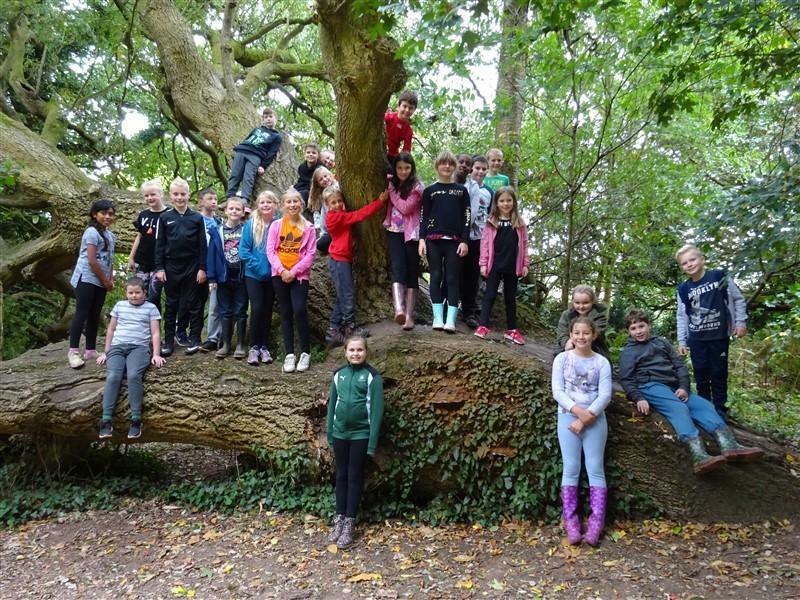 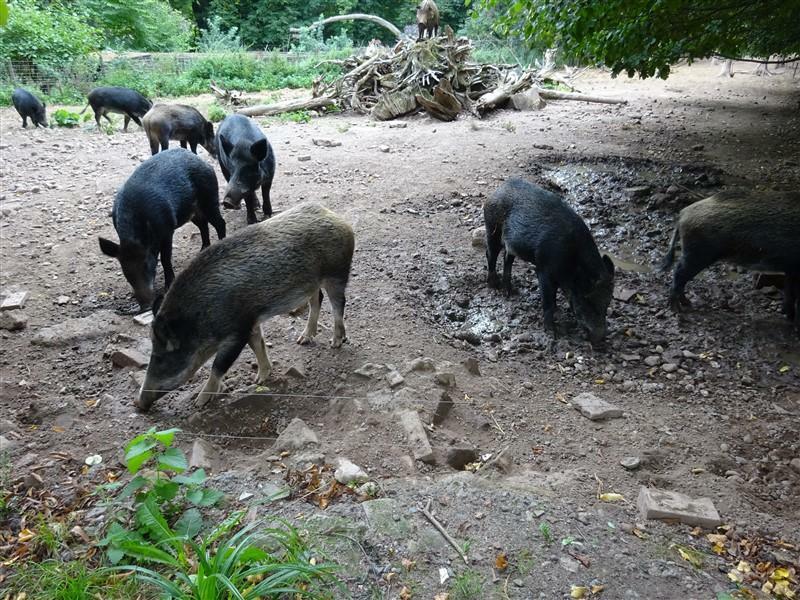 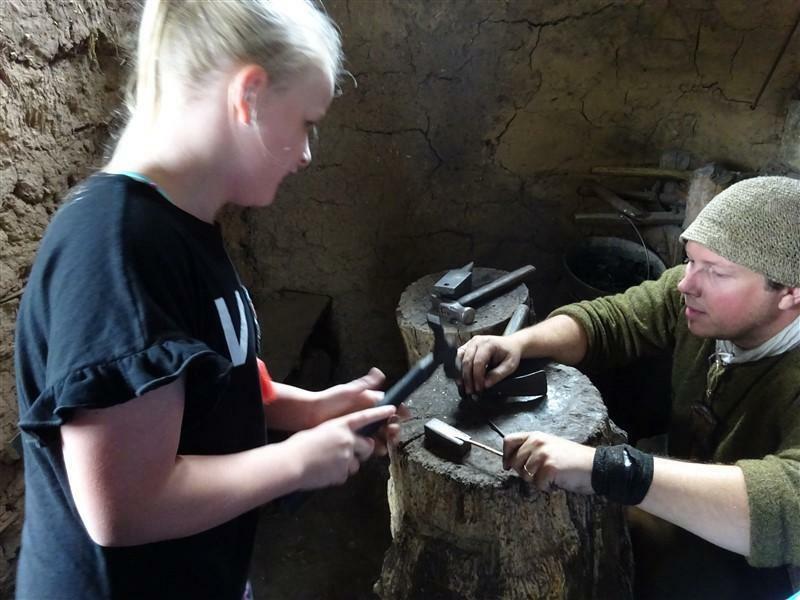 They had the most fantastic day of learning alongside the Anglo-saxon villagers Matt, Becca and Jessi, metal-working, preparing food, crafting wood, making coins, spotting wild animals and foraging for medicinal plants. 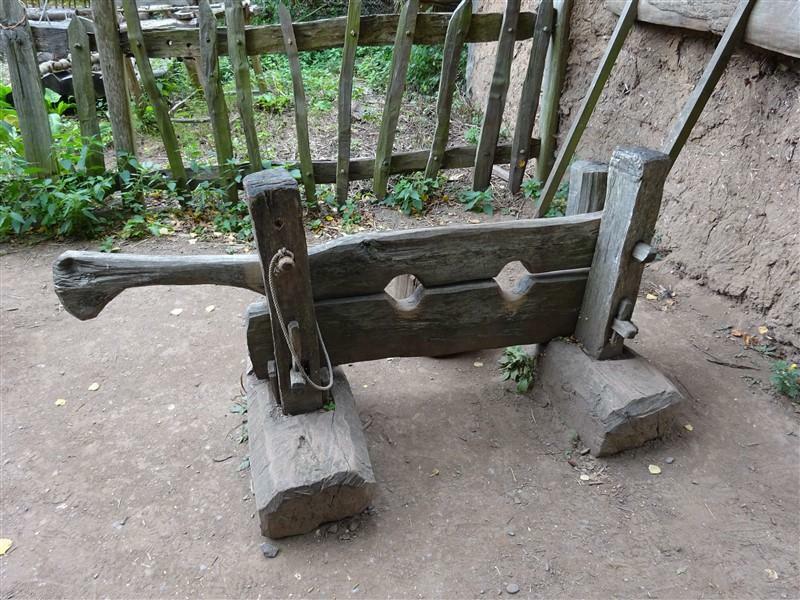 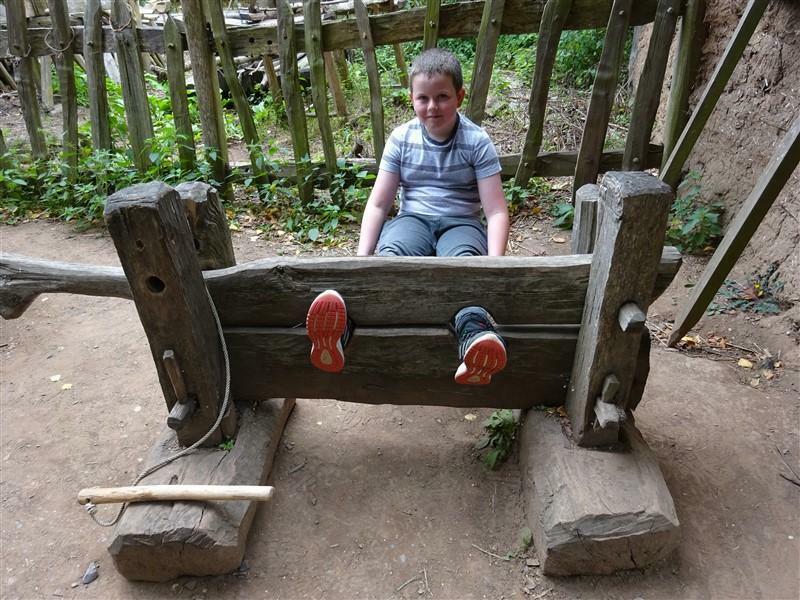 The visit has informed all our history lessons throughout the term. 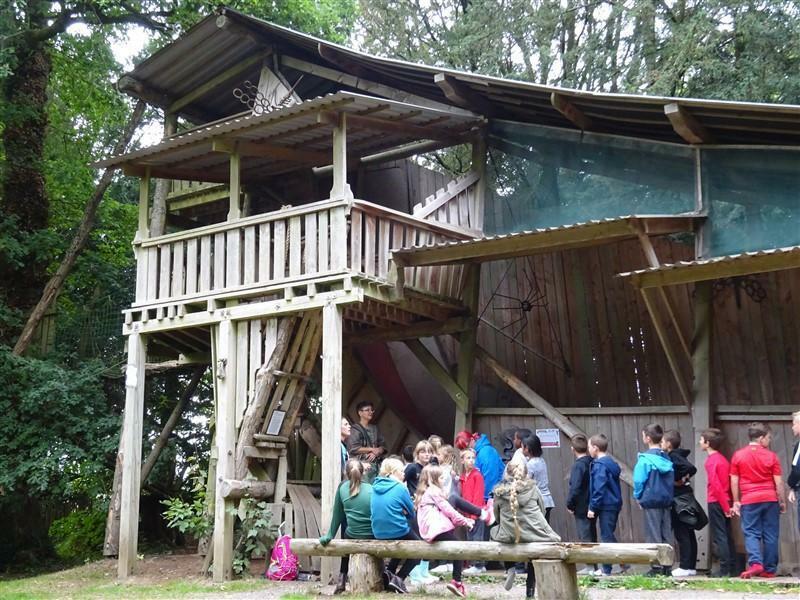 The jaw-dropping drop slide was the highlight of a wonderful day out! 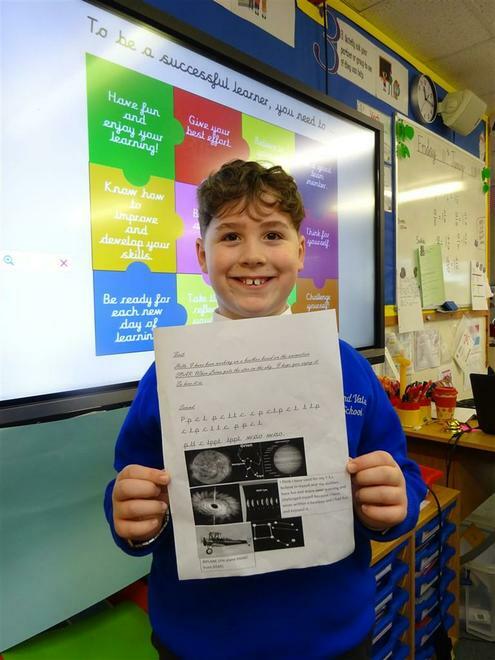 The Year 5 teachers have put together some useful links to websites which the children use for numeracy so they can practice at home. 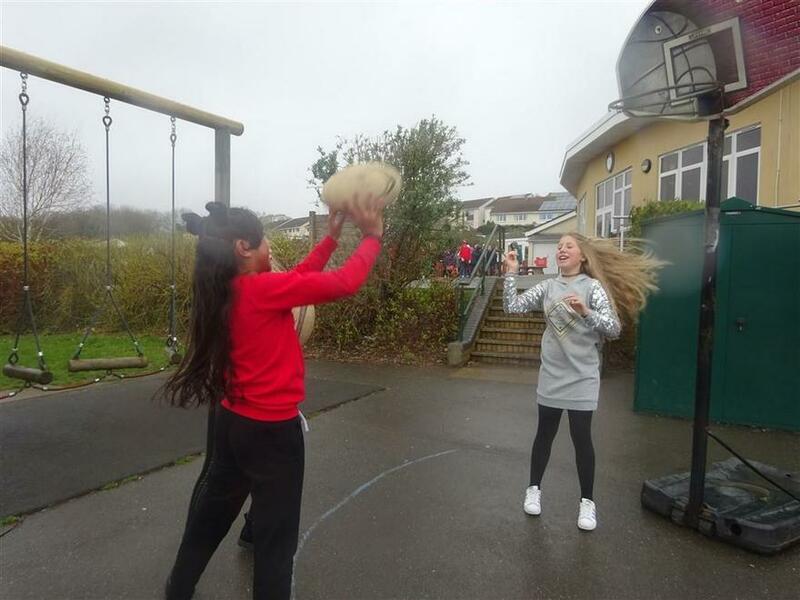 Year 5 have new blogs. 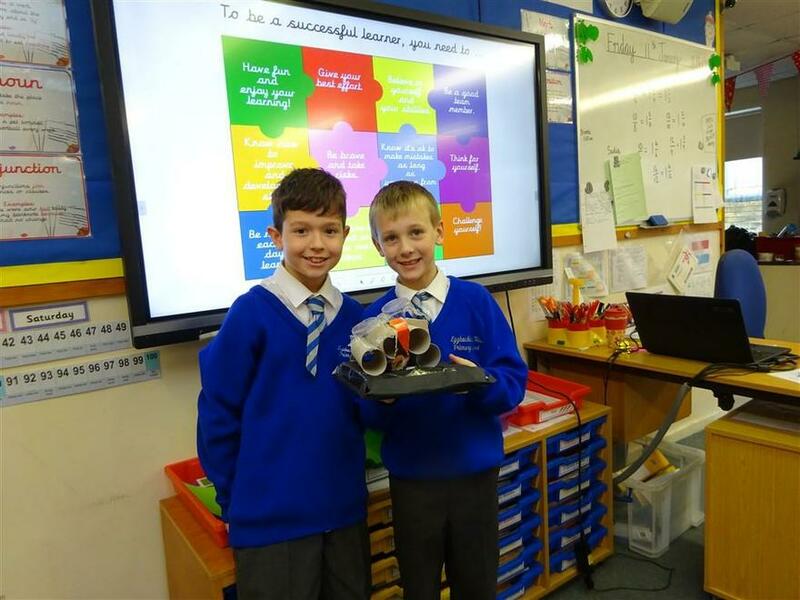 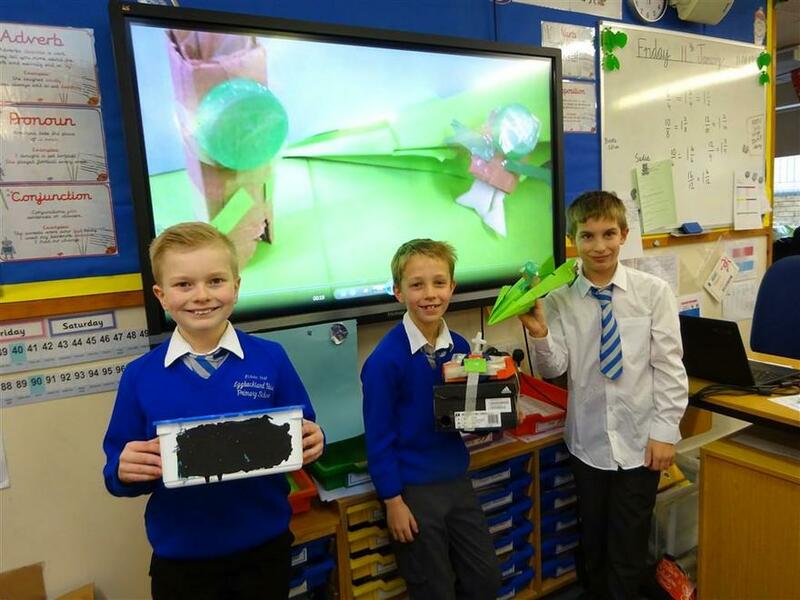 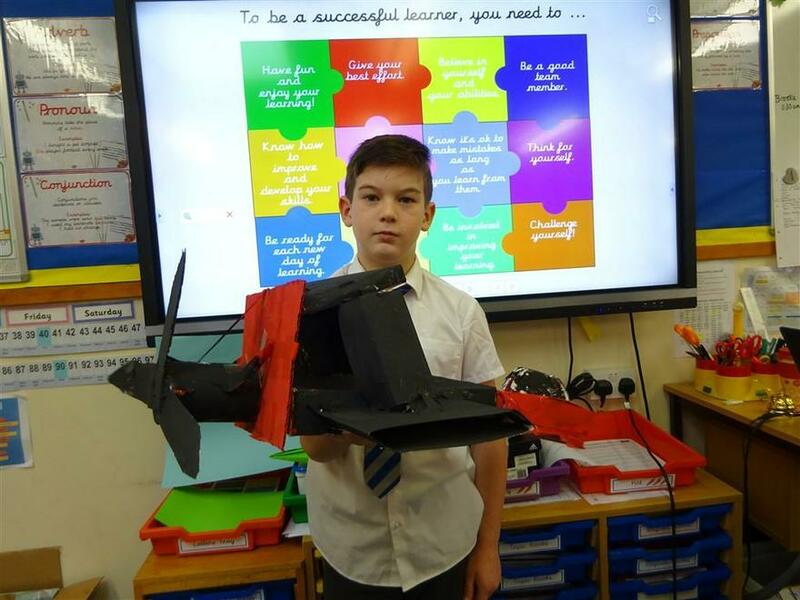 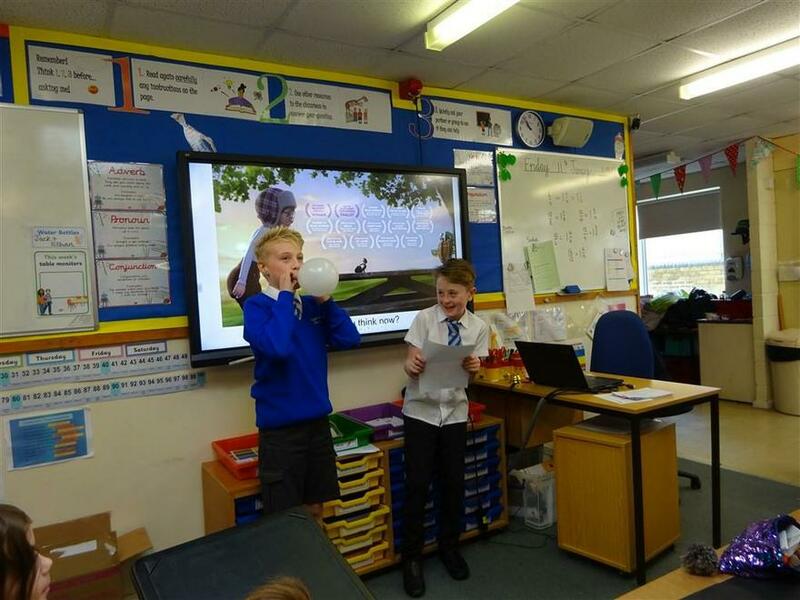 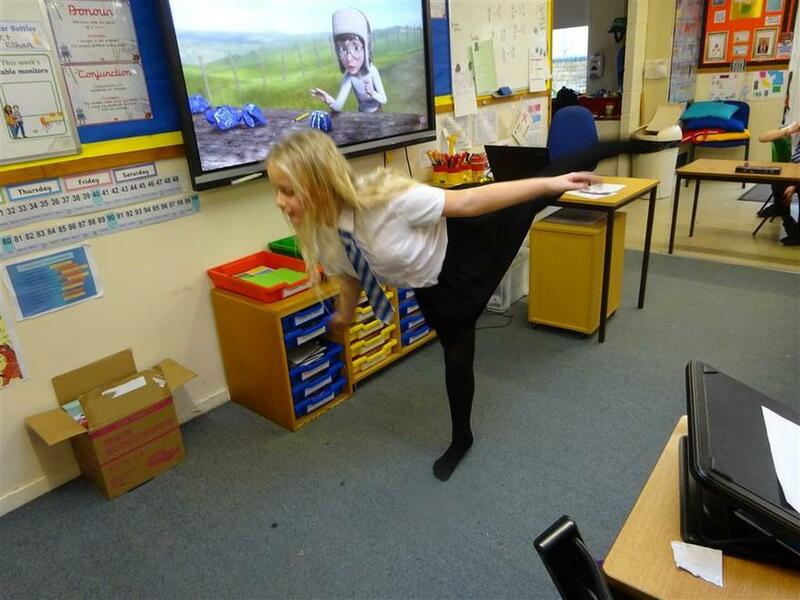 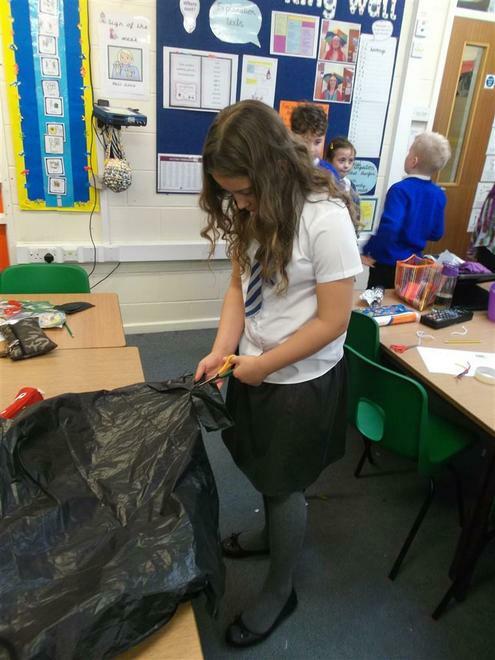 Come and have a look at what we've been doing in year 5 by following the link below.